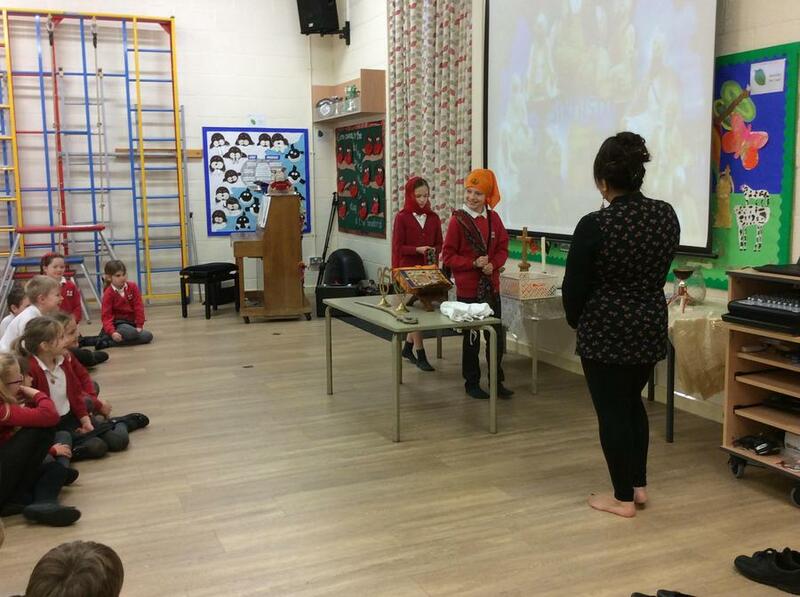 This half term our topic has been 'The Art of Food'. 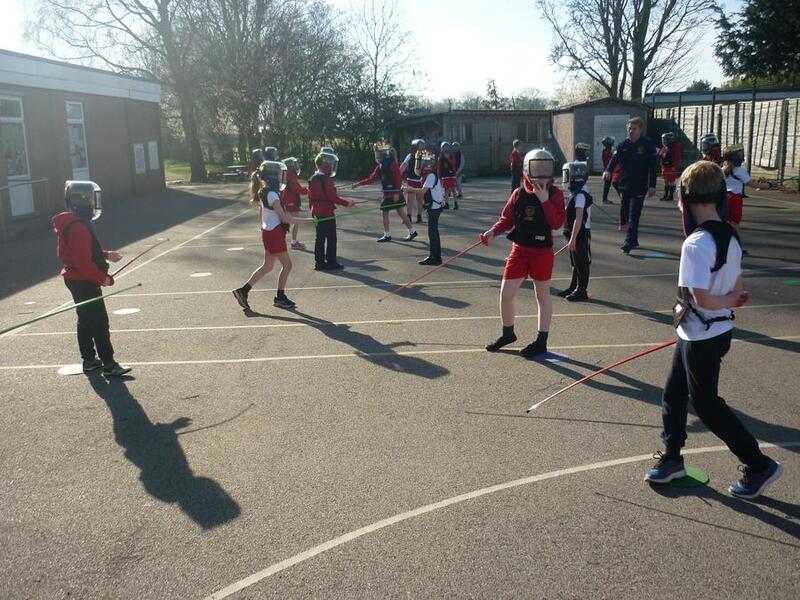 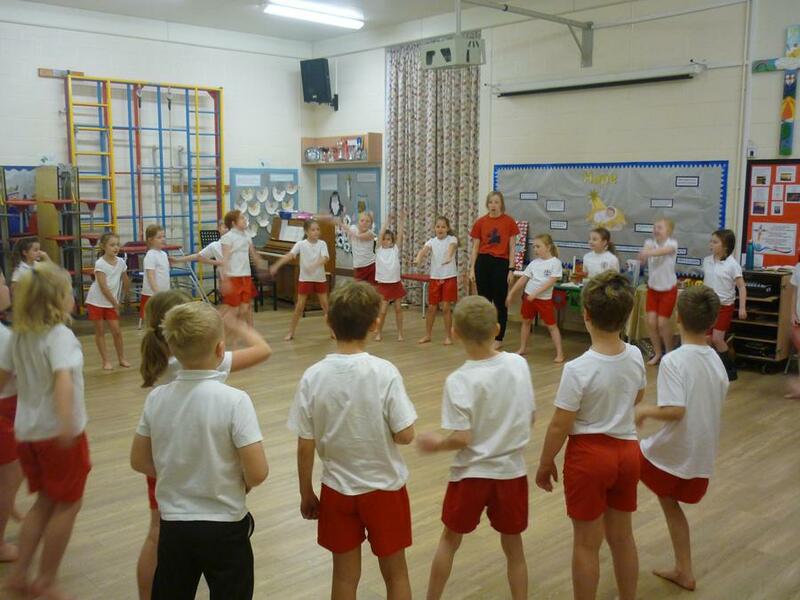 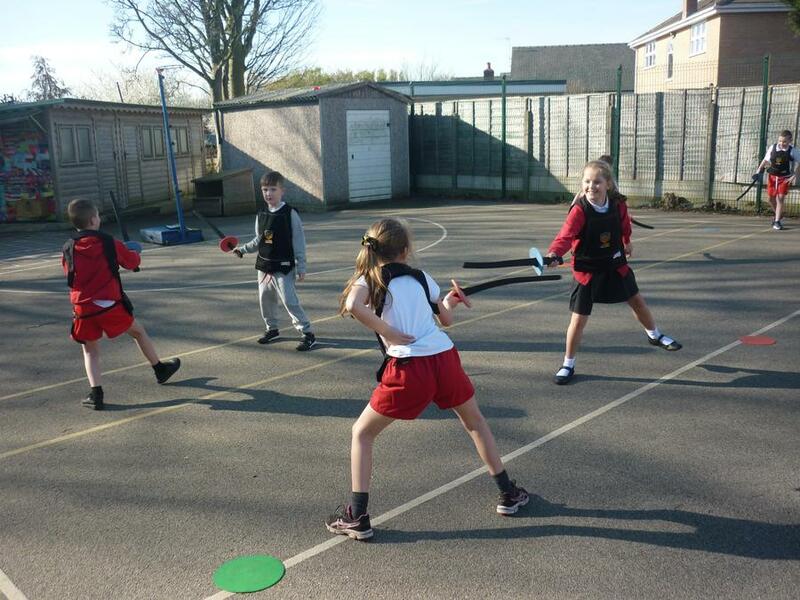 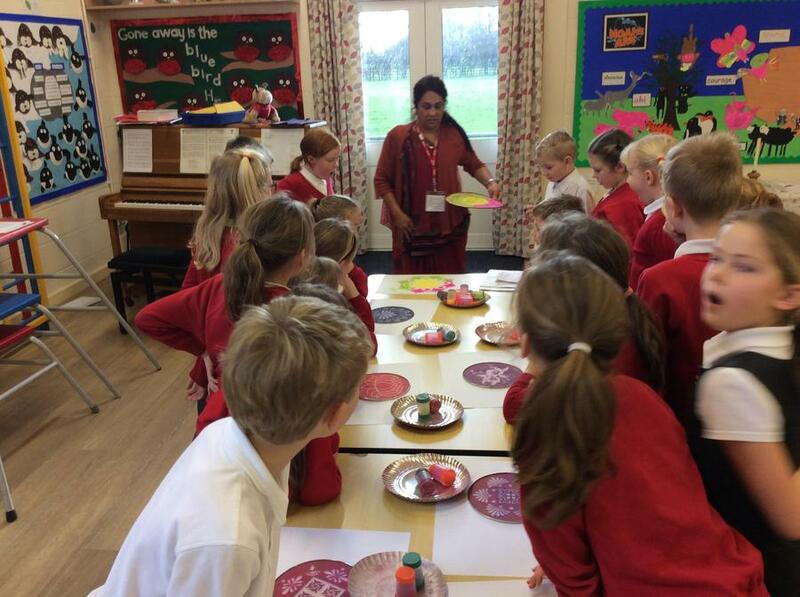 The children have enjoyed learning all about different food groups, types of food and the importance of having a healthy, balanced diet. 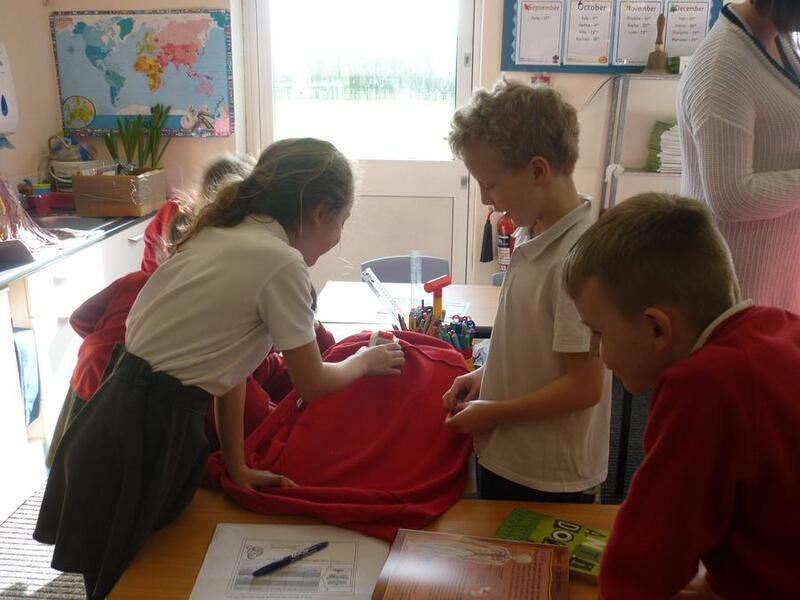 In science the children have learnt all about the human and animal digestive system and teeth. 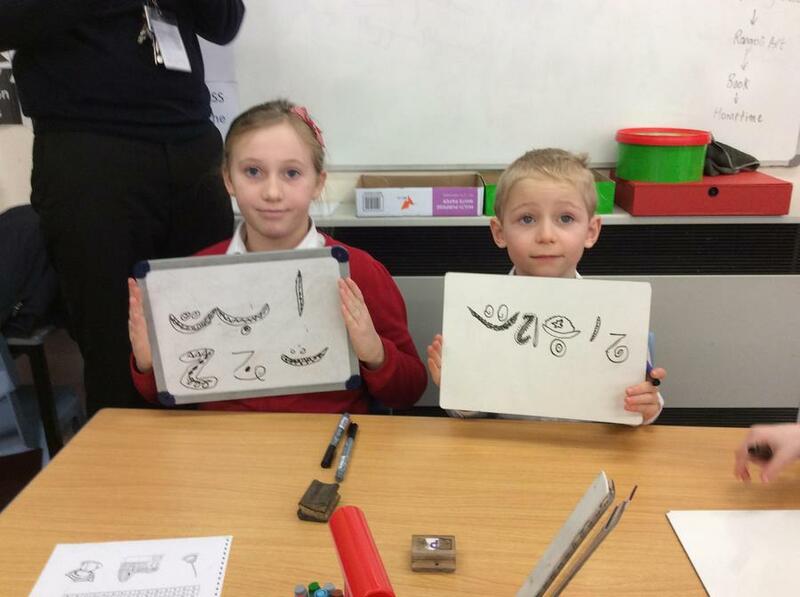 The children learnt about the different types of teeth in both animals and humans and compared the different types and their functions. 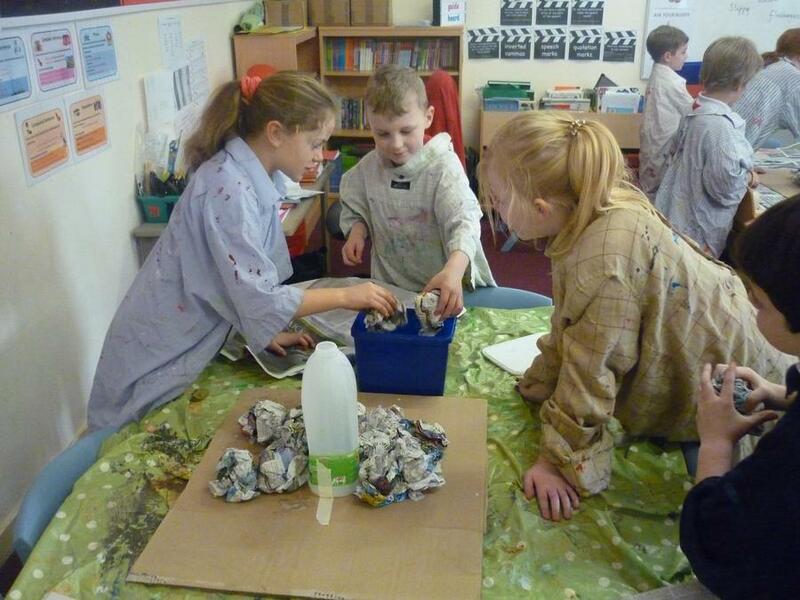 They were able to construct a variety of food chains, identifying the producers, predators and prey. 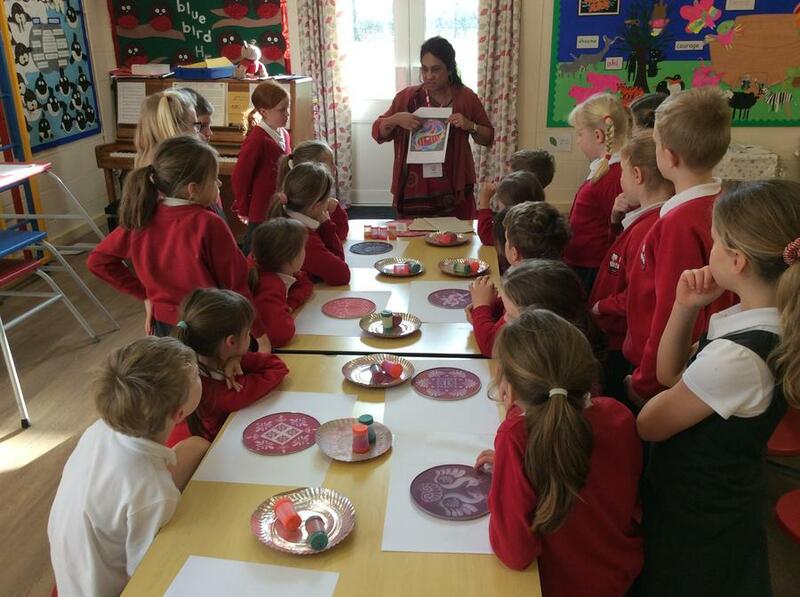 The children took part in an activity about looking after their teeth. 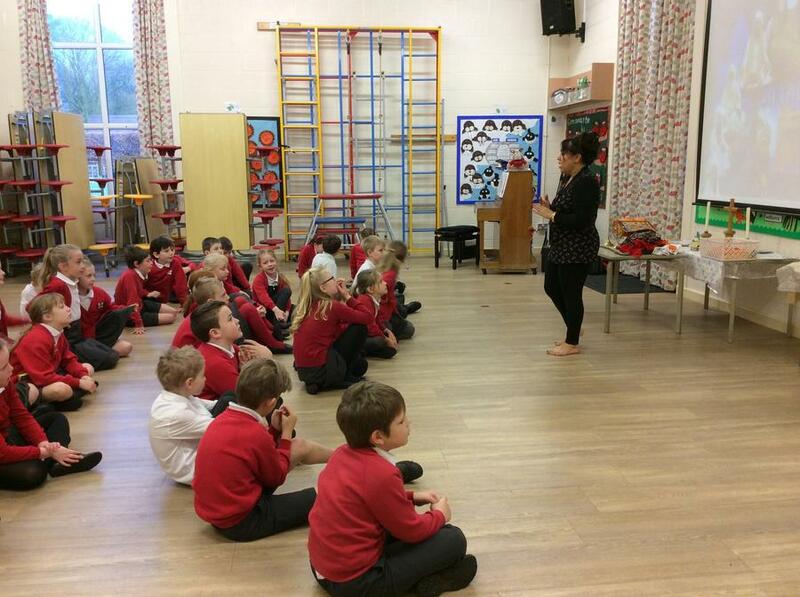 They had to brush their teeth and then chew on a disclosing tablet, which identified whether the children were brushing their teeth correctly. 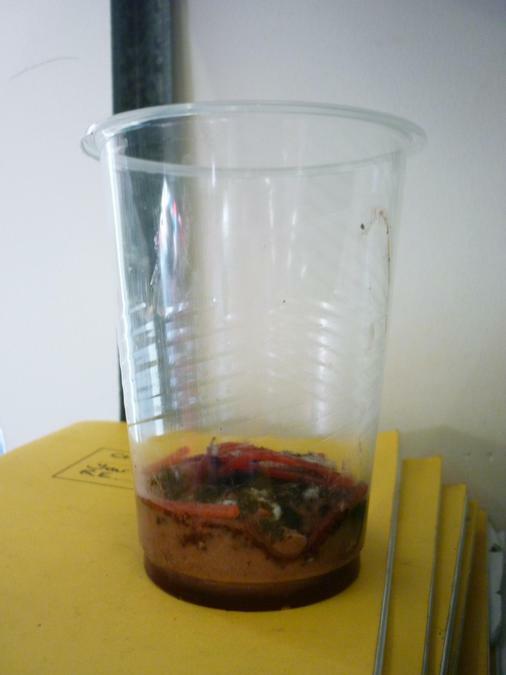 The children also learnt about the digestive system, finding out what the different parts are and how they work in order to pass food through our bodies. 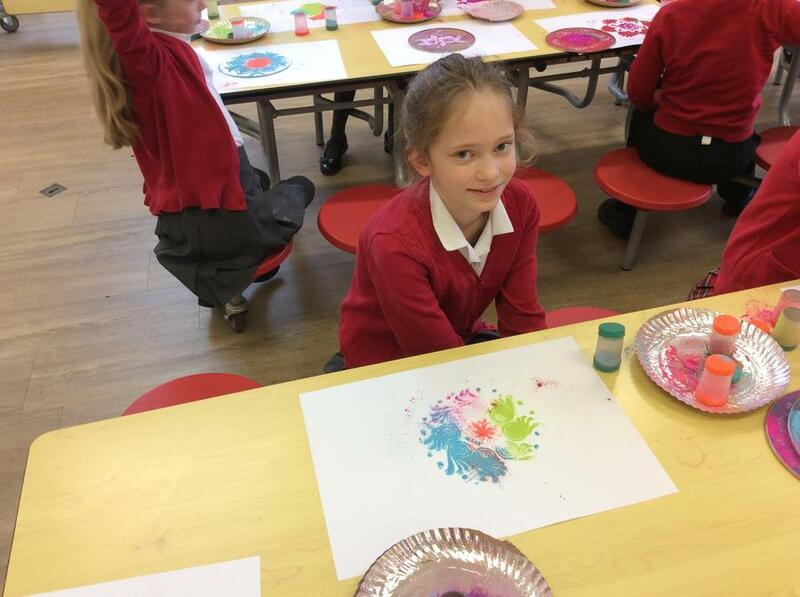 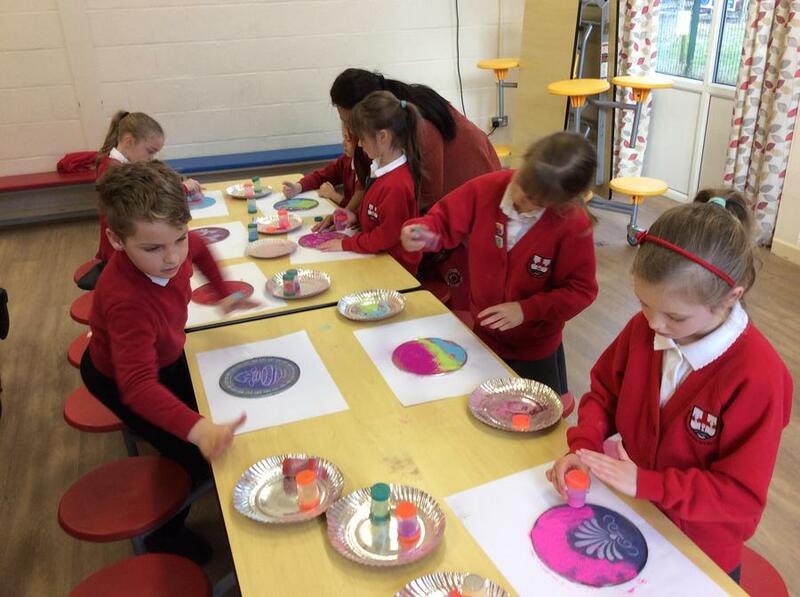 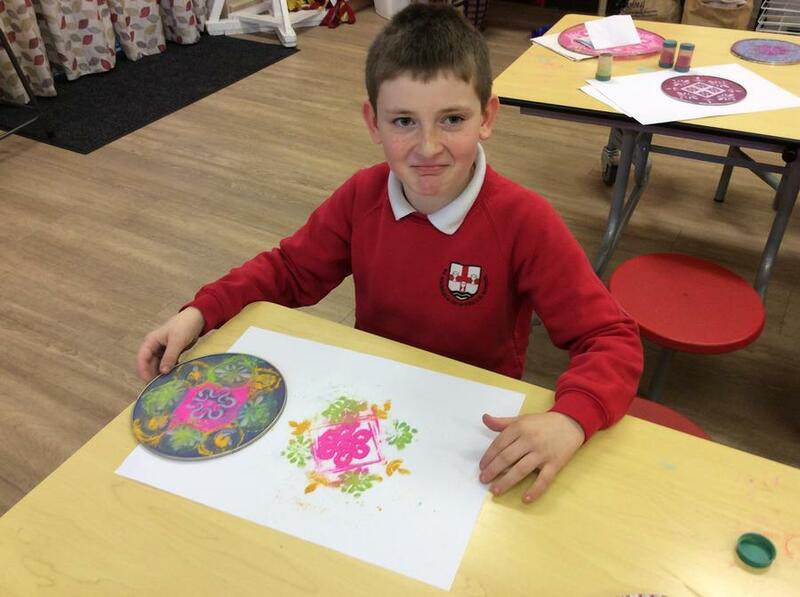 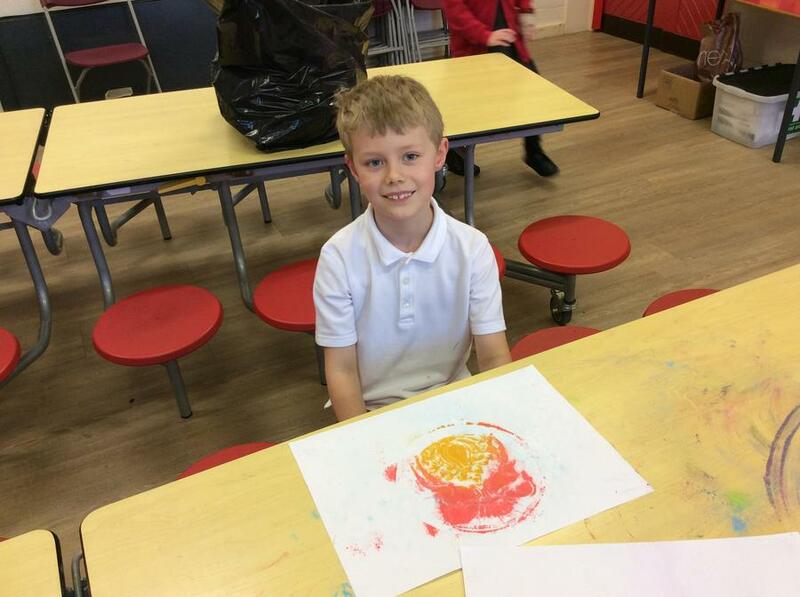 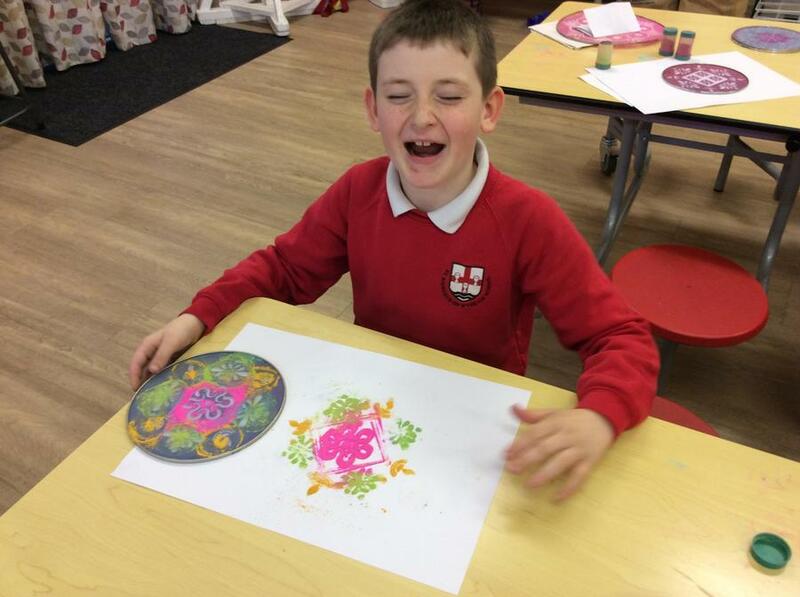 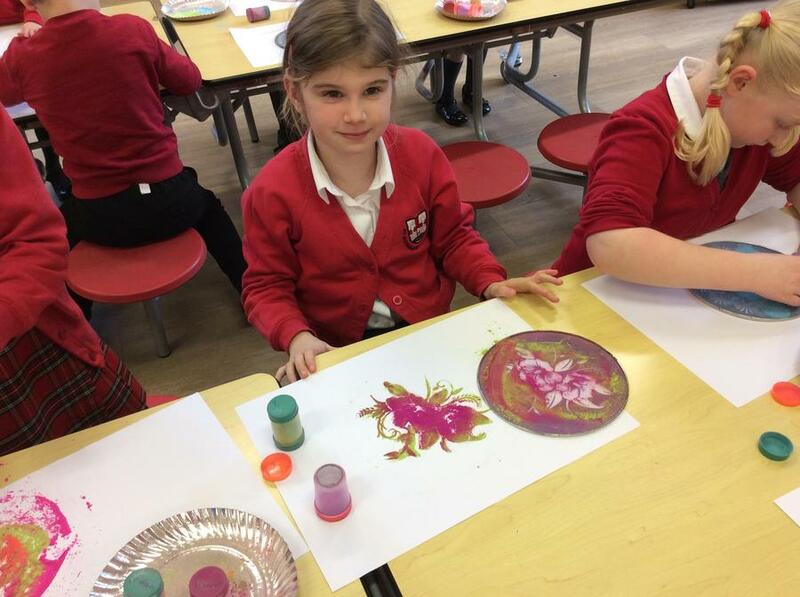 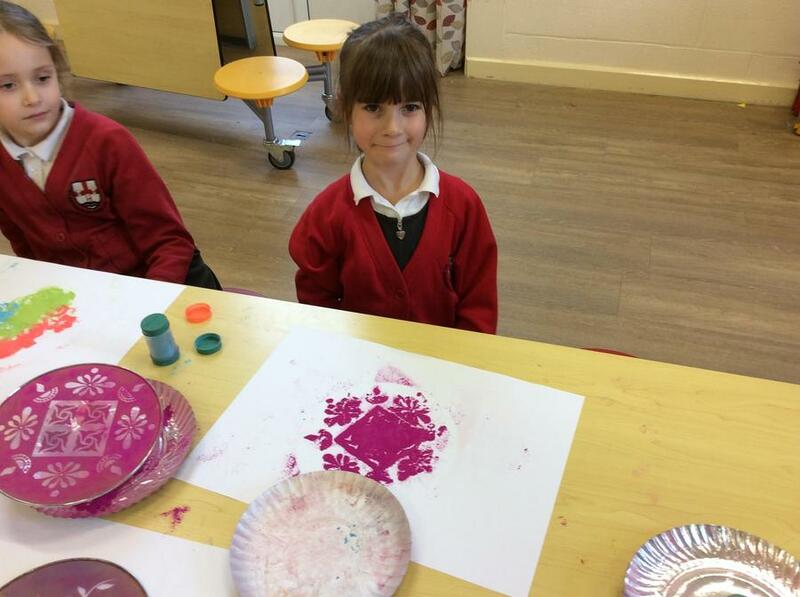 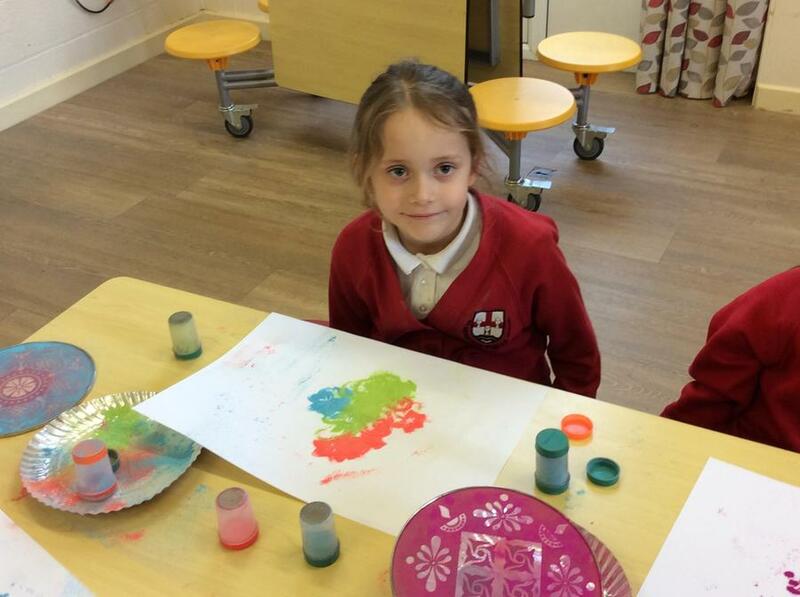 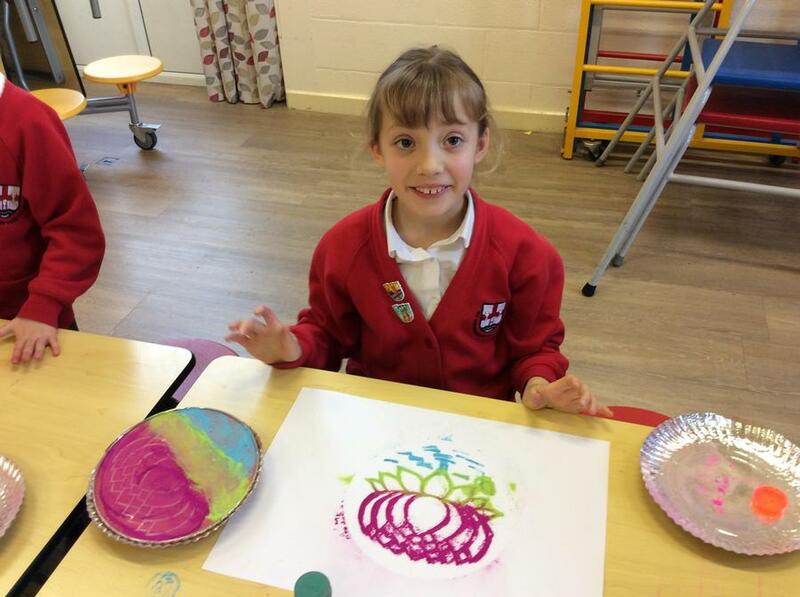 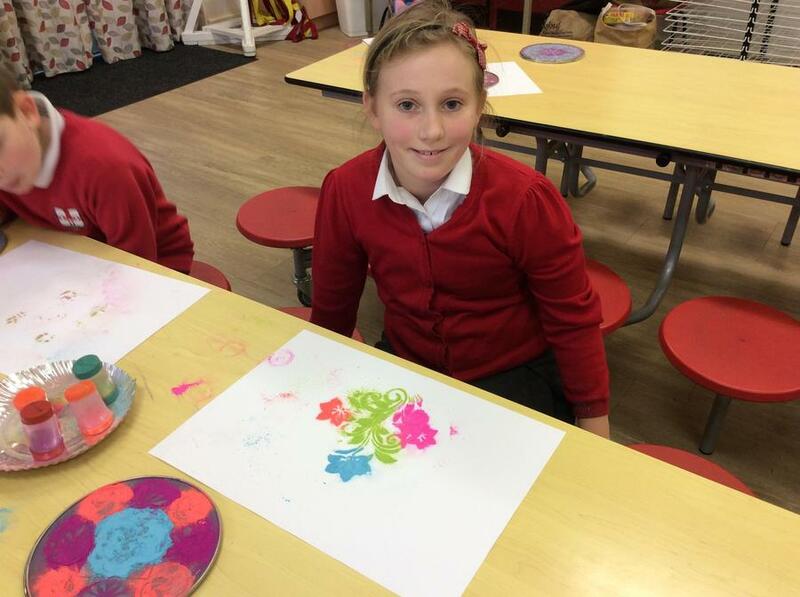 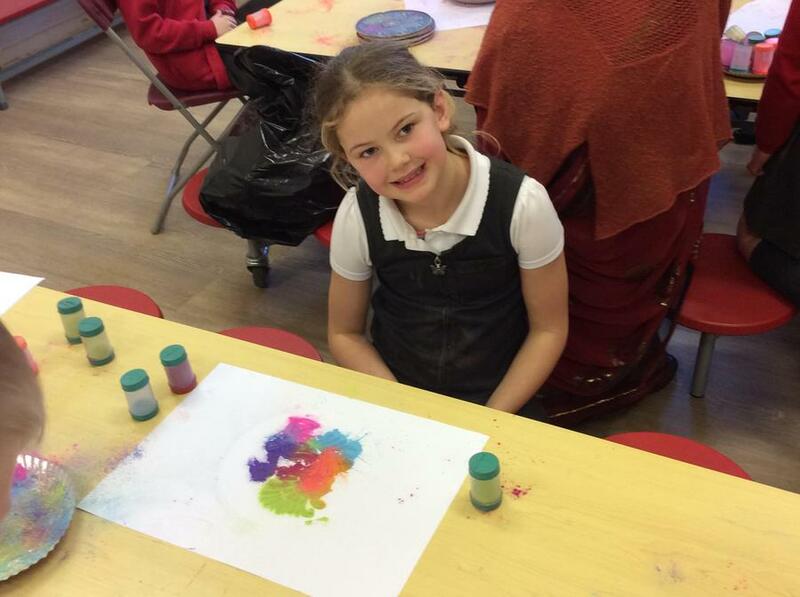 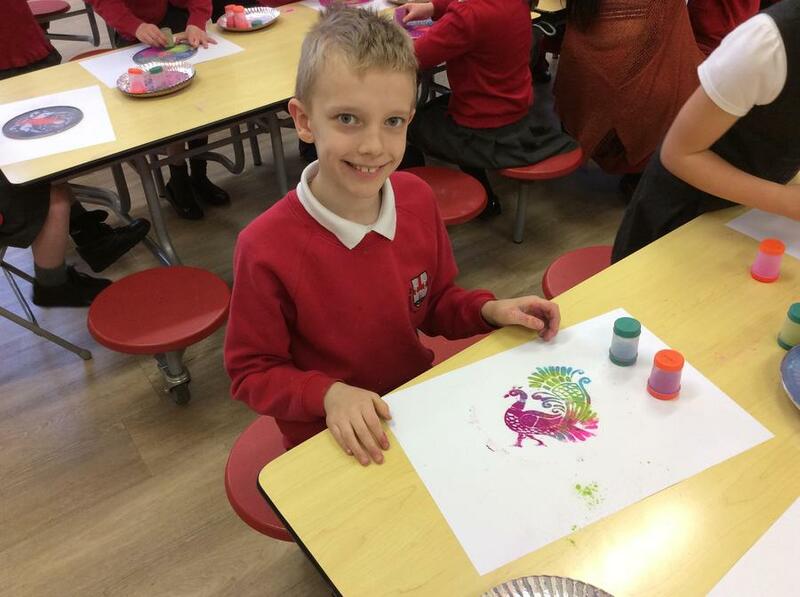 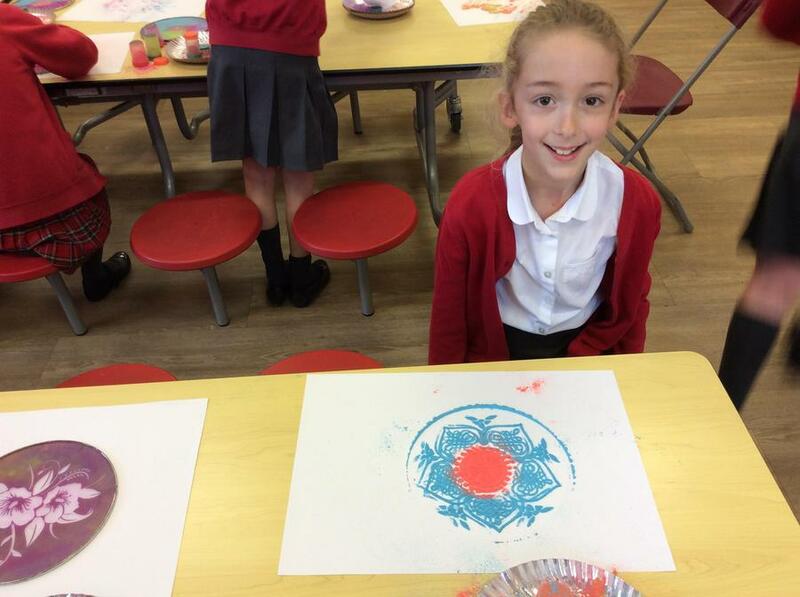 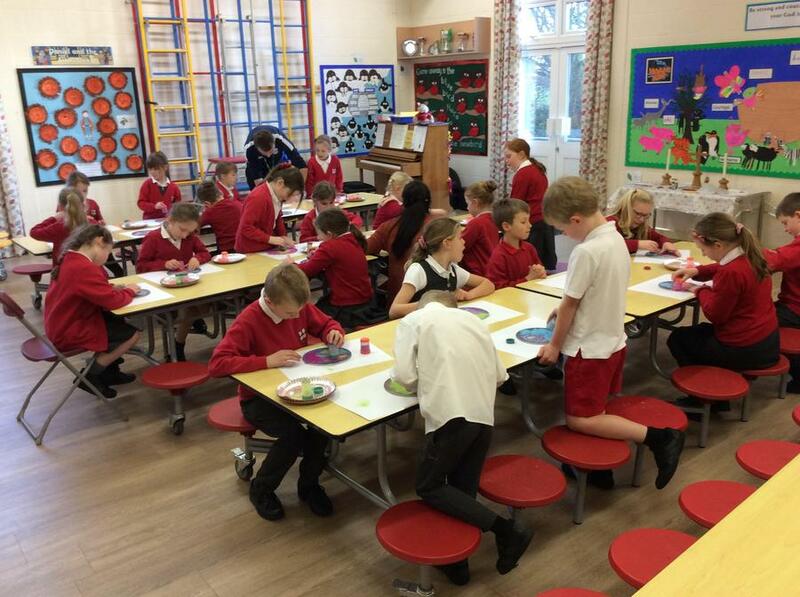 In art and DT, the children focussed on different pieces of artwork that were made using food. 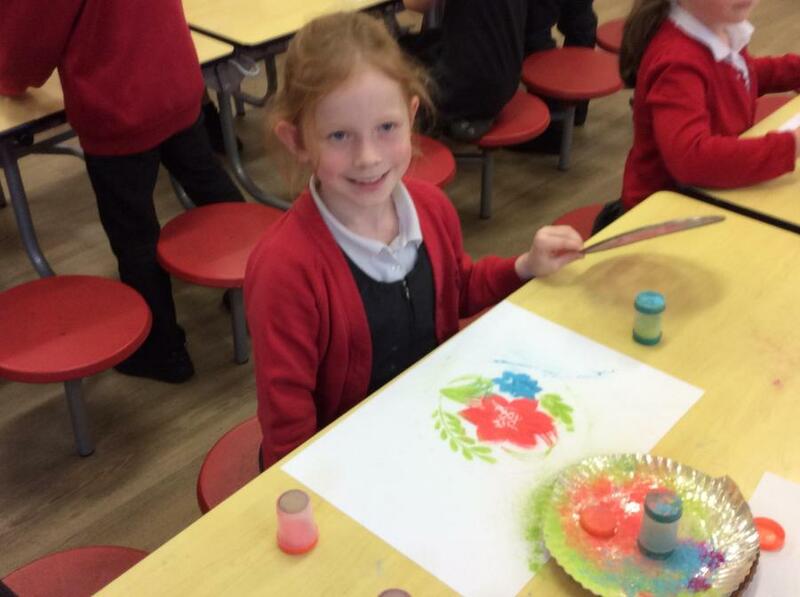 The children then designed their own sculptures that were faces made from different items of fruit and veg. 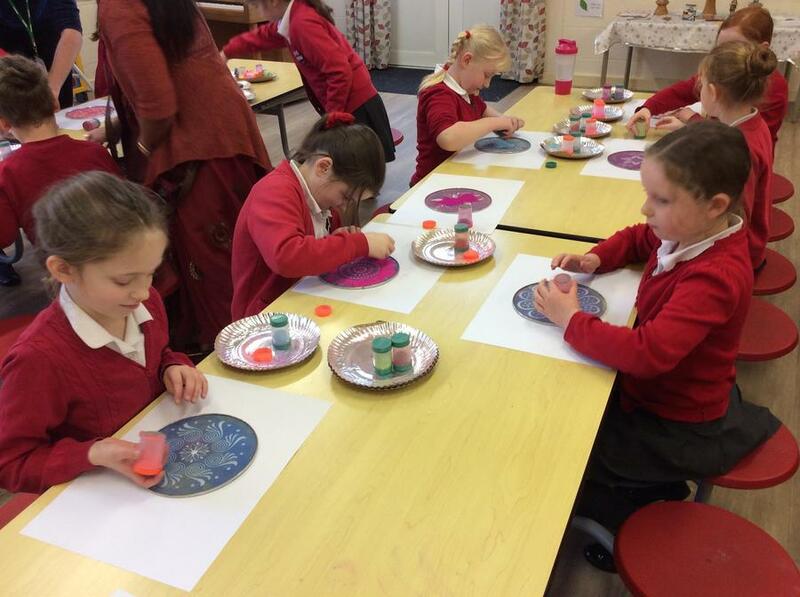 They were required to model the clay into different types of fruit and veg, paint them the appropriate colour and then assemble the sculpture to represent the face. 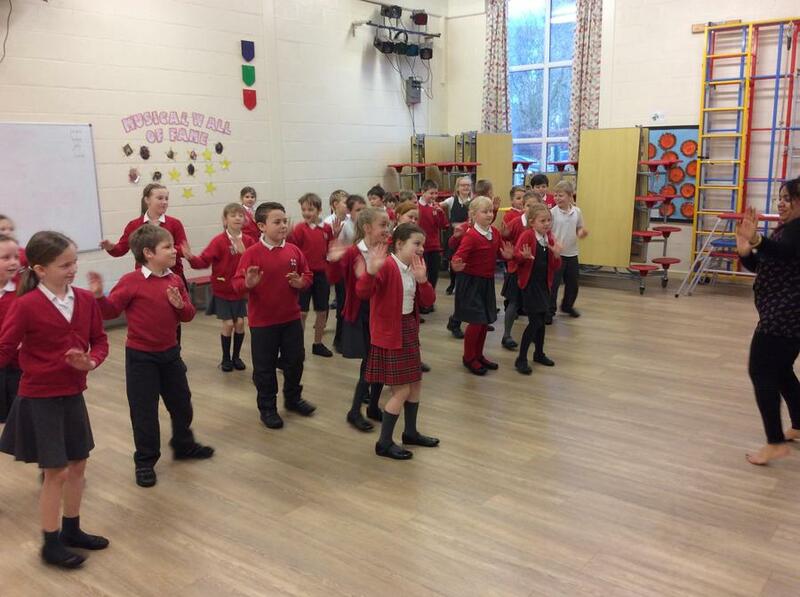 This half term the children have the topic of 'Rock and Roll'. 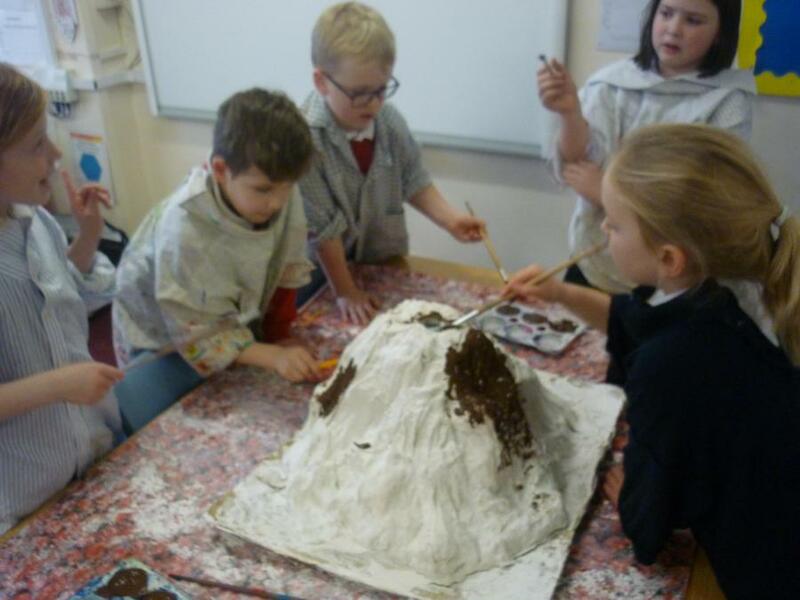 They have been learning all about volcanoes, looking at how they are formed, the different parts of a volcano and what the pros and cons of volcanoes are. 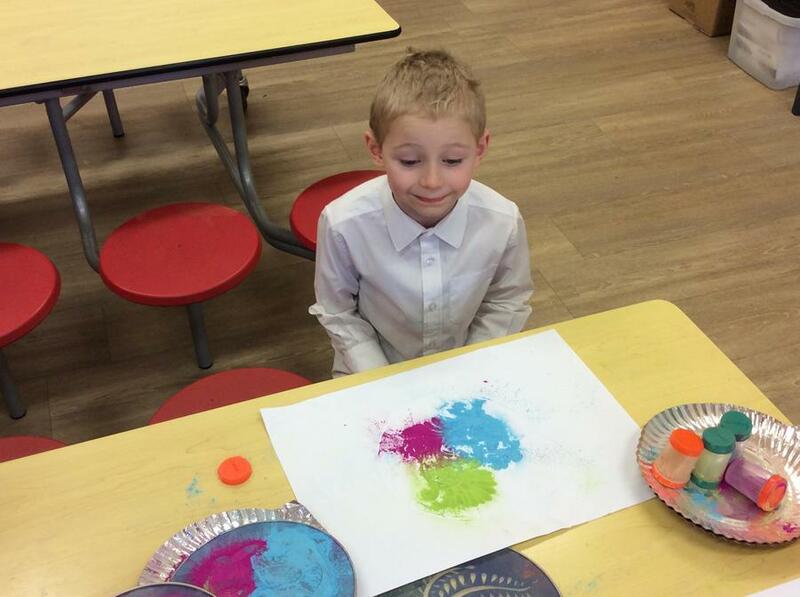 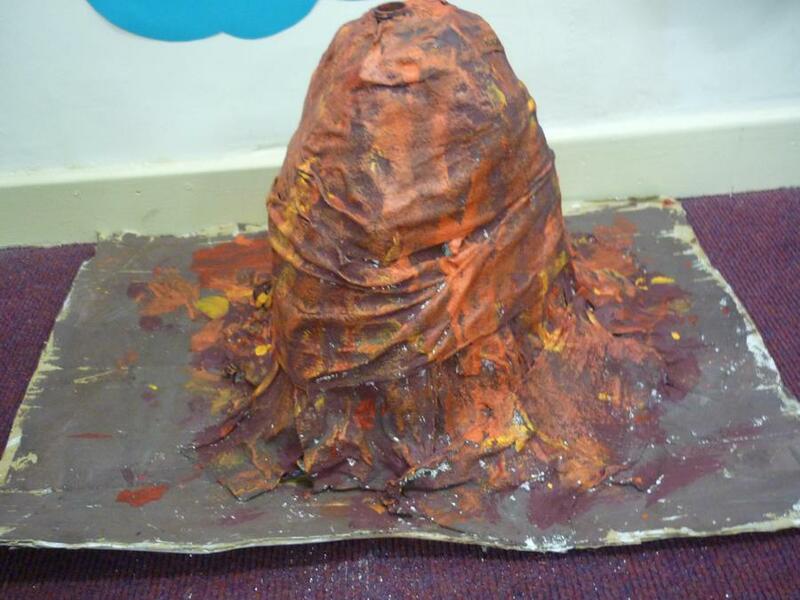 The children have been looking very carefully at these parts so that they can make their own volcanoes in DT. 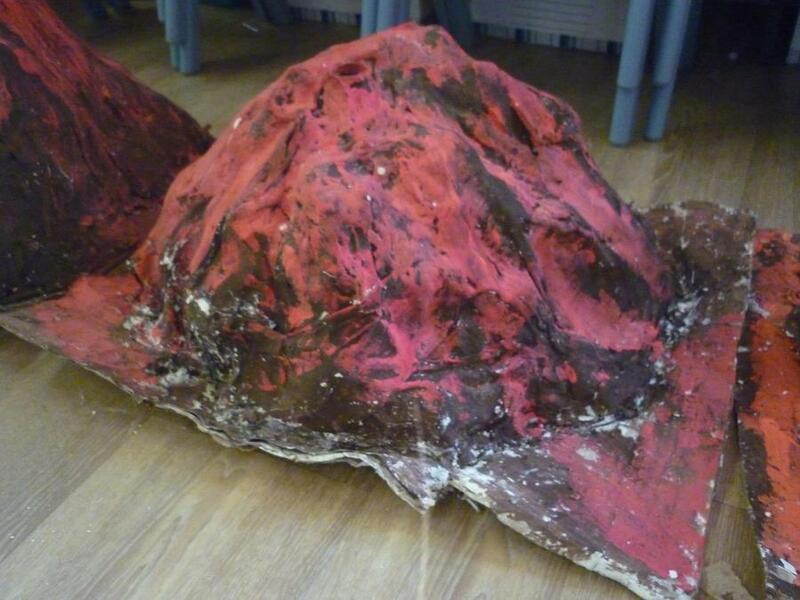 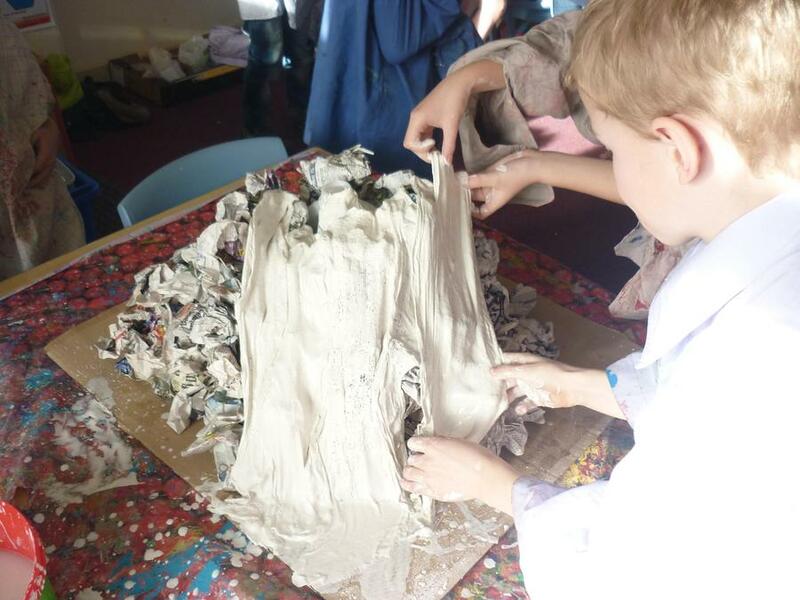 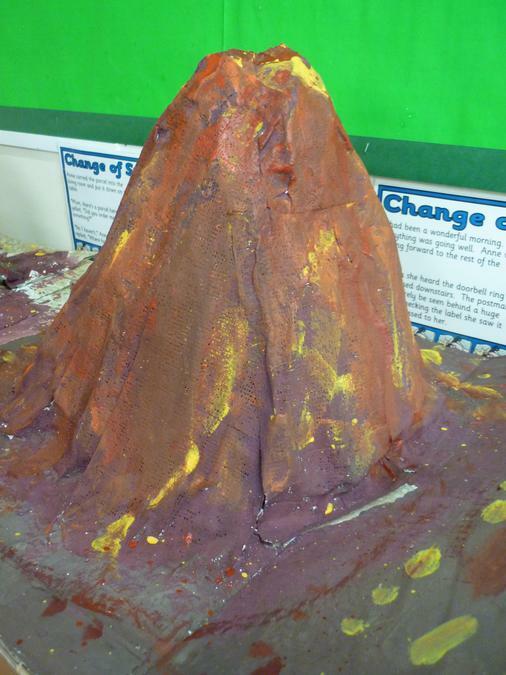 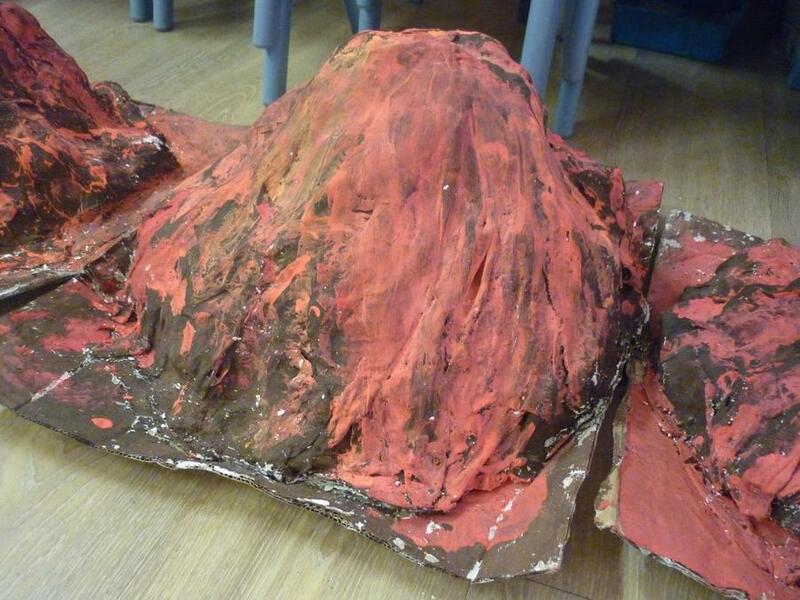 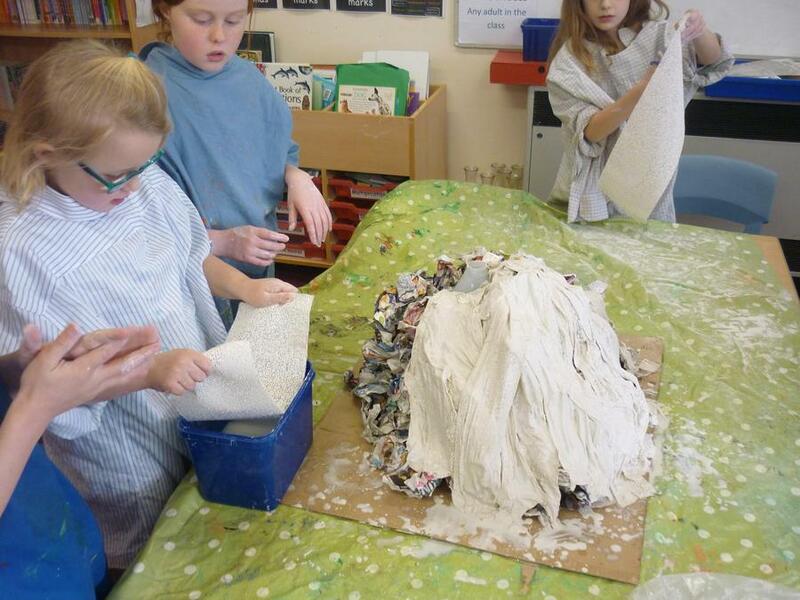 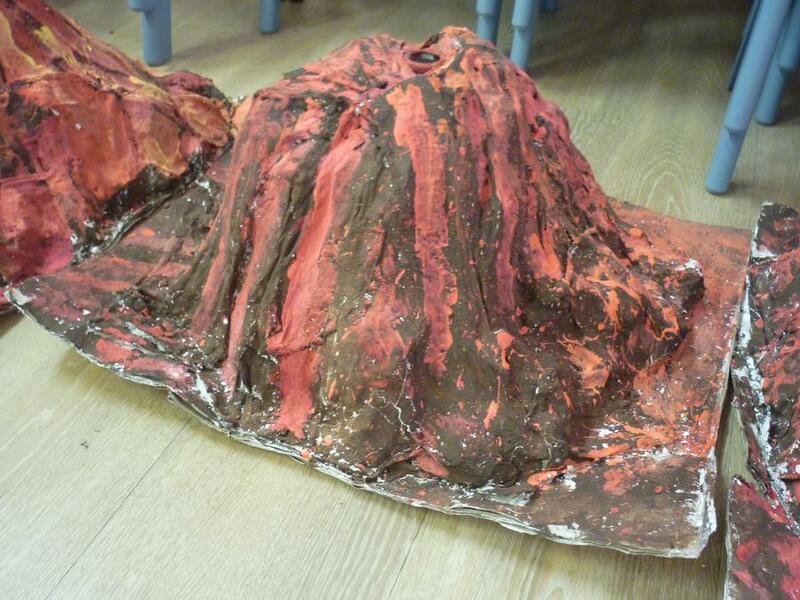 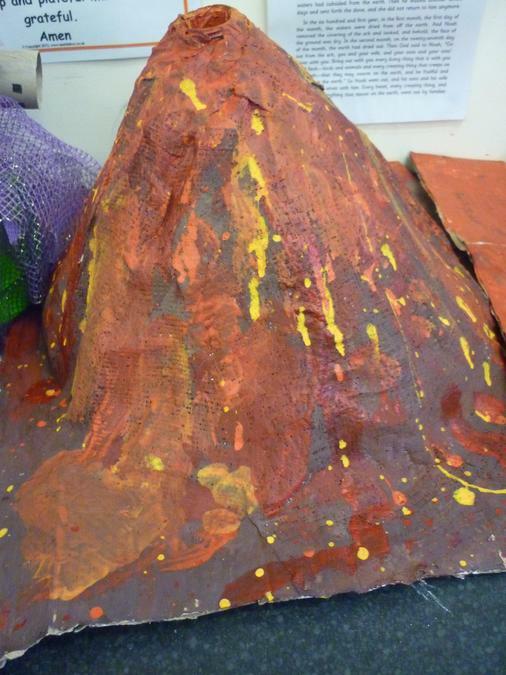 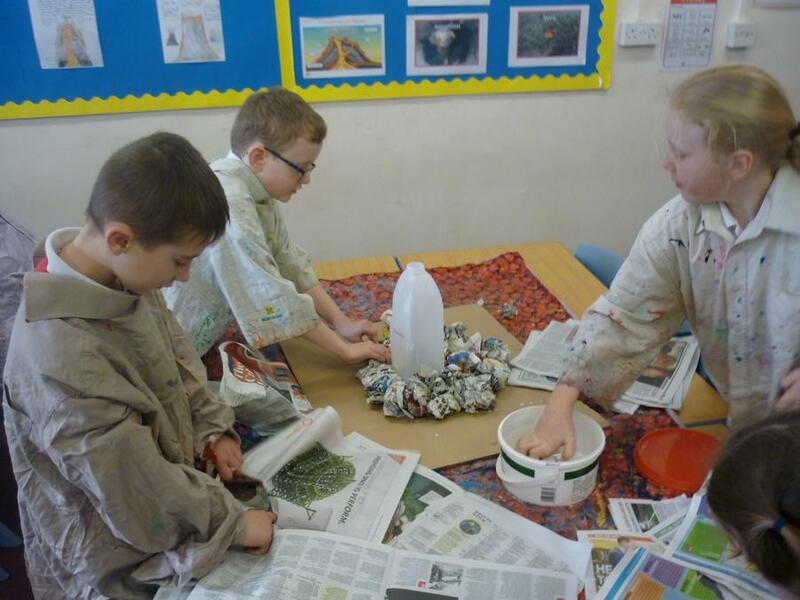 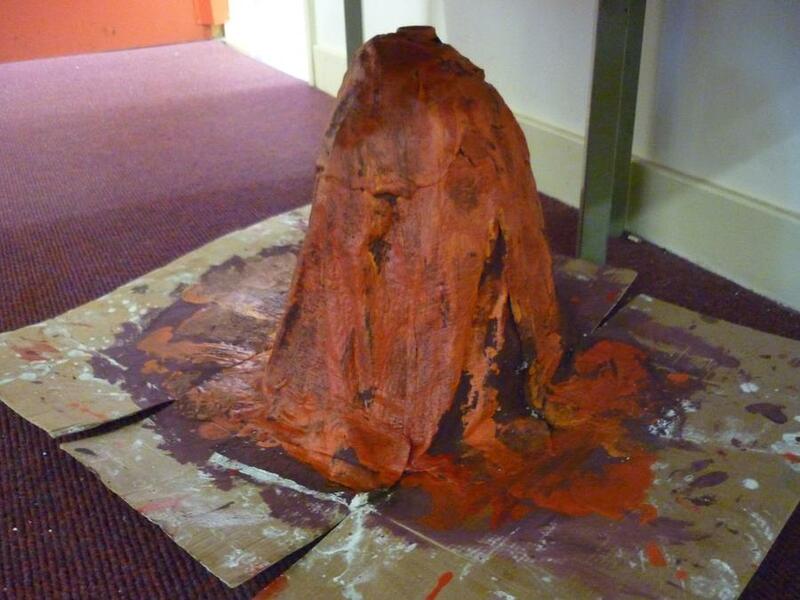 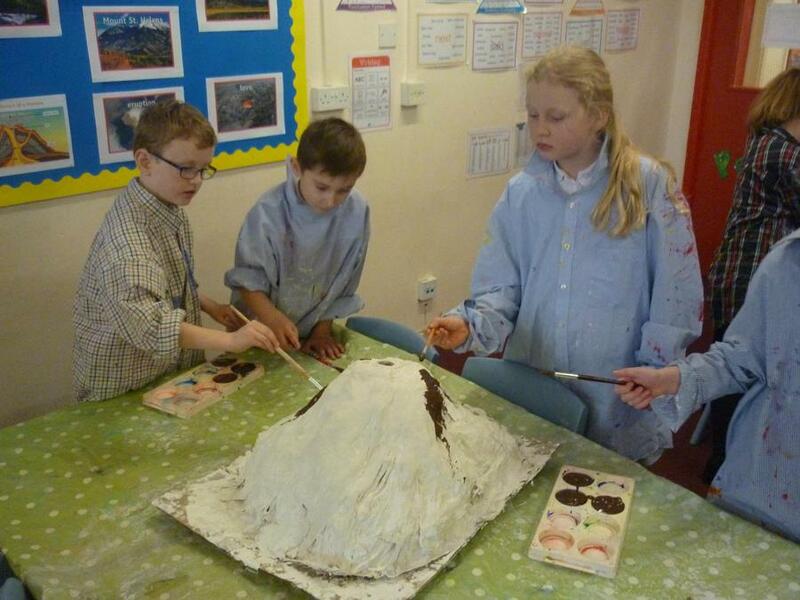 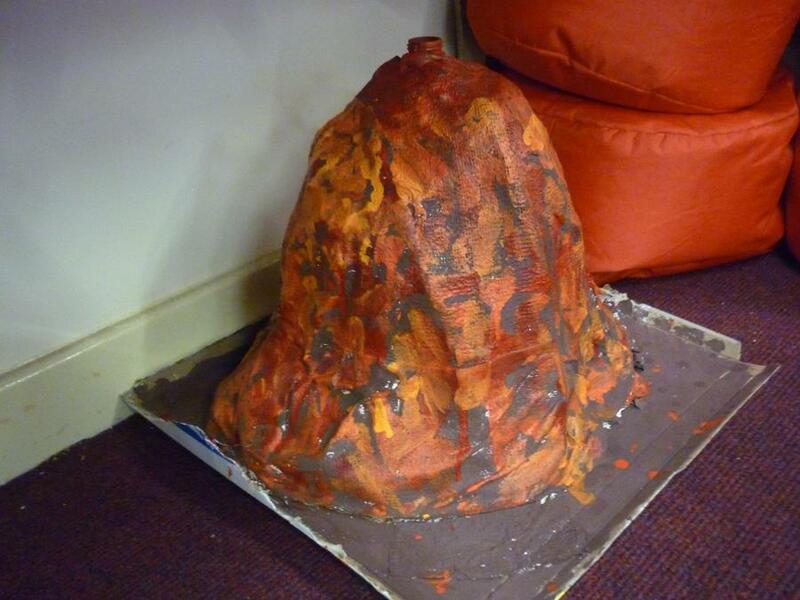 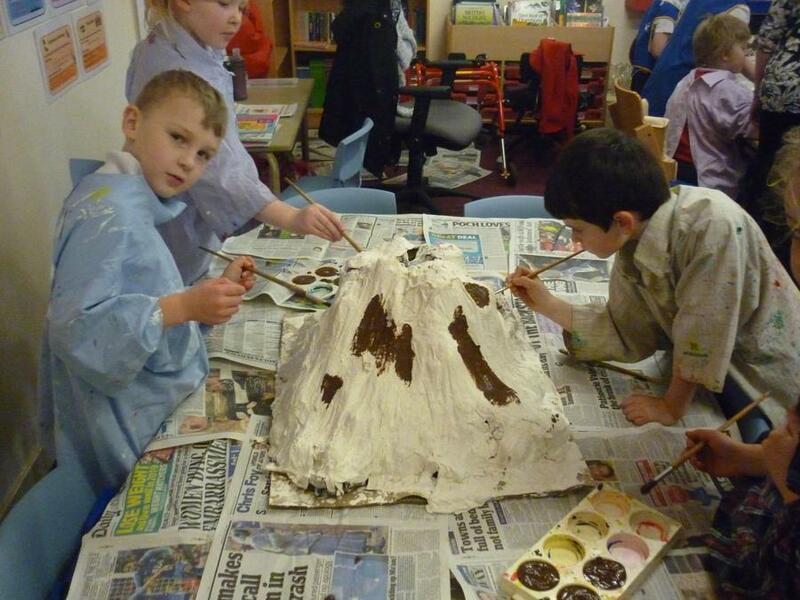 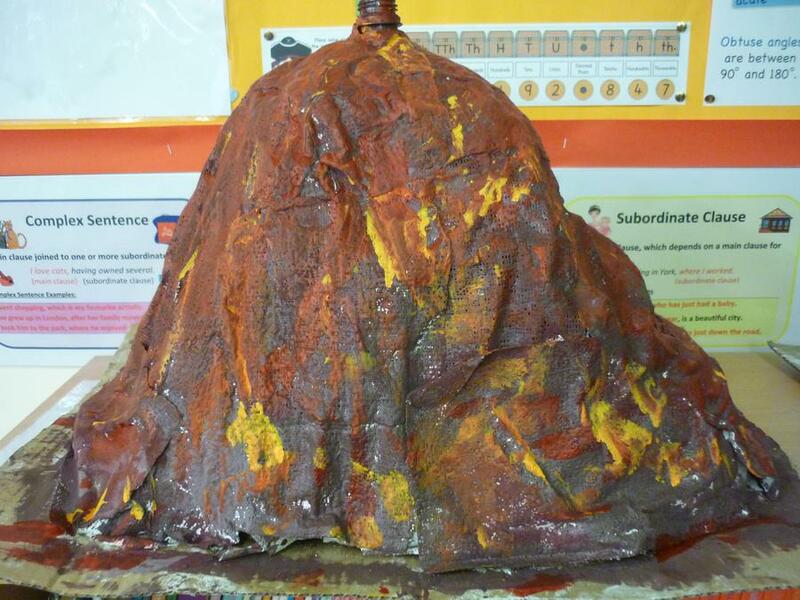 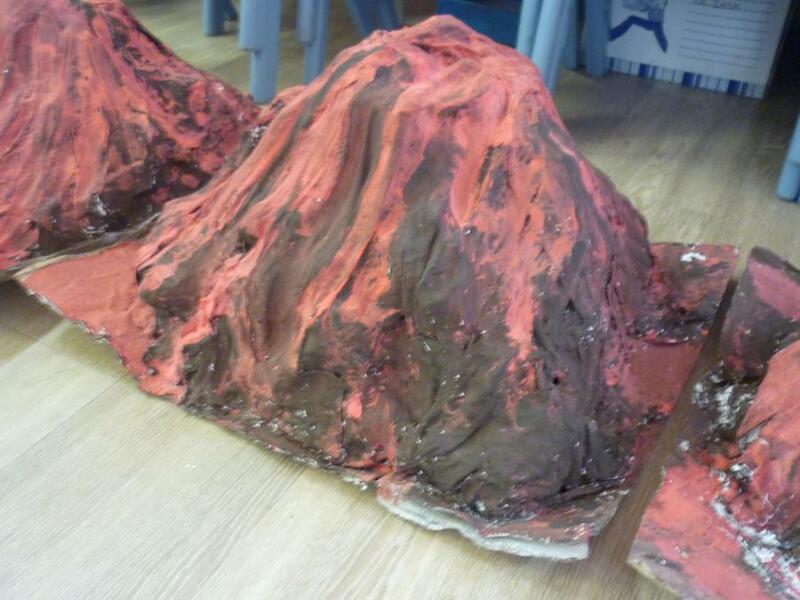 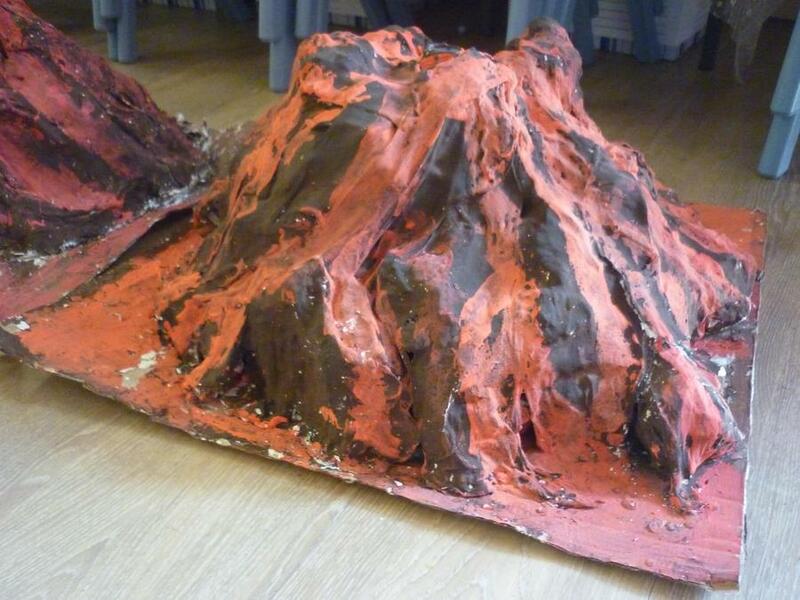 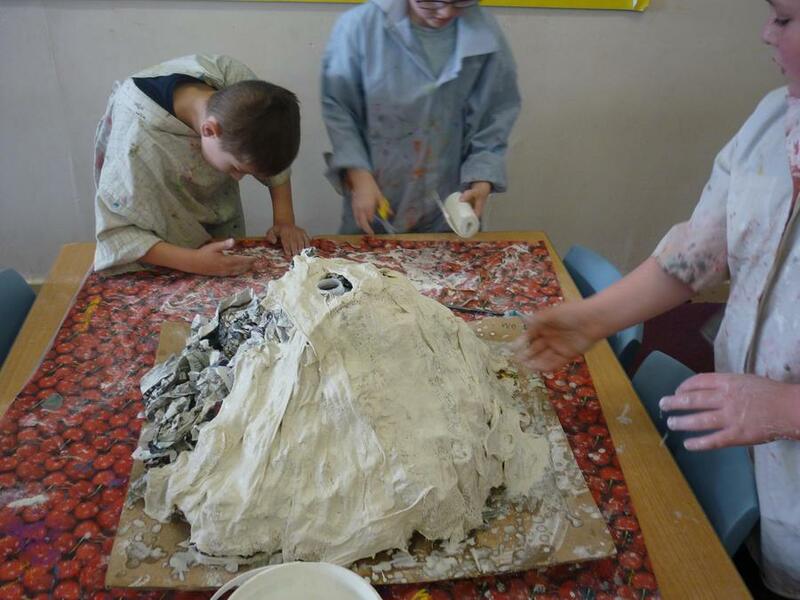 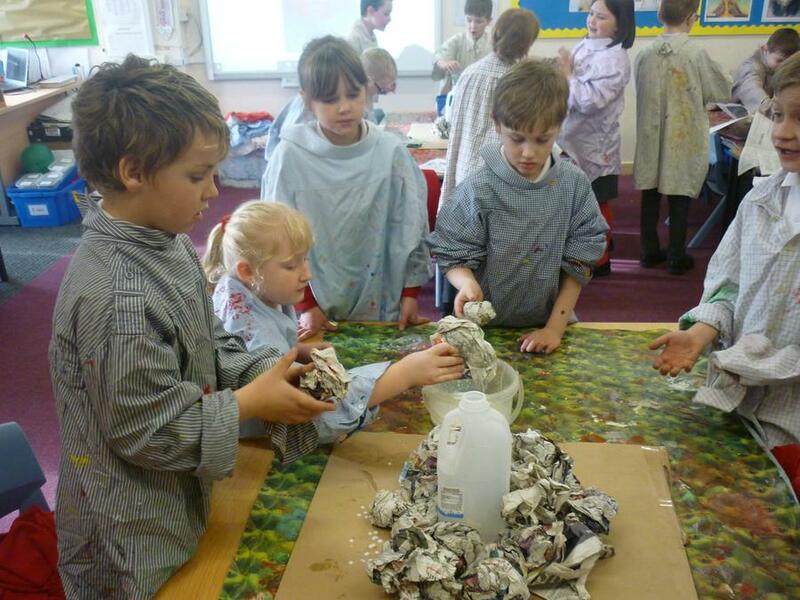 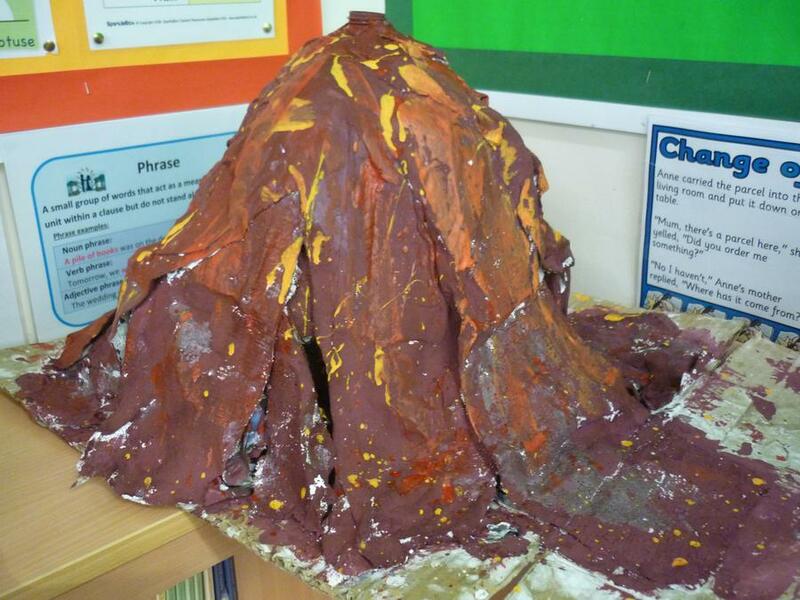 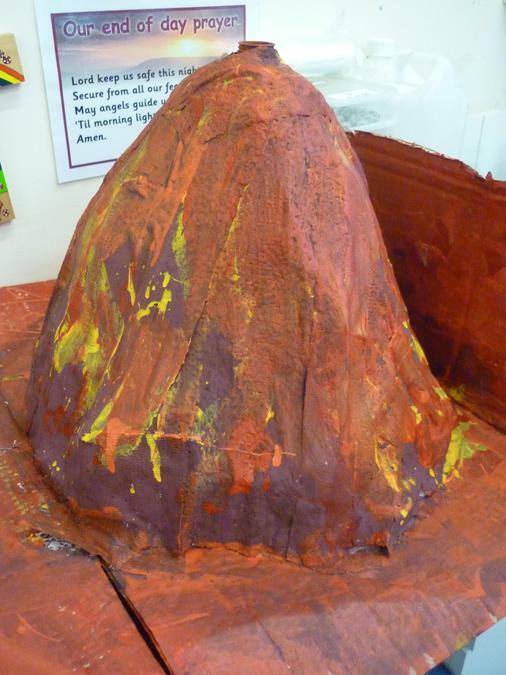 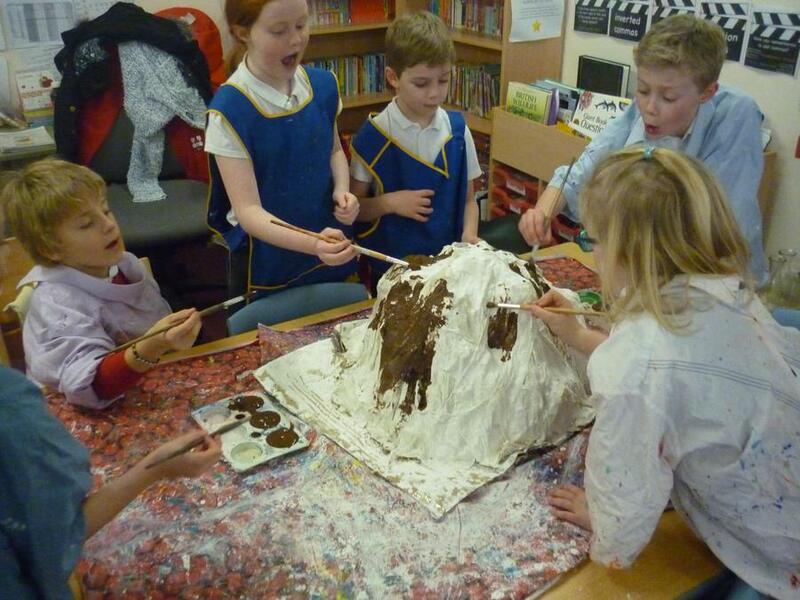 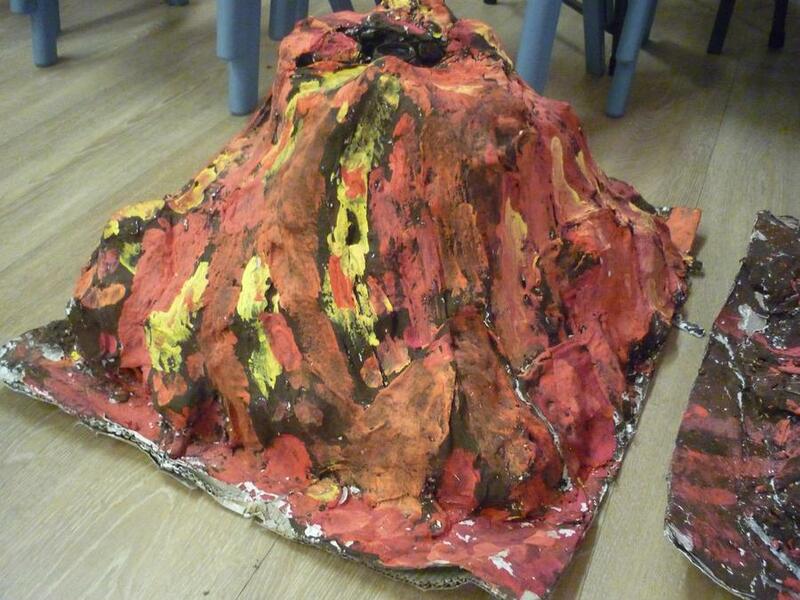 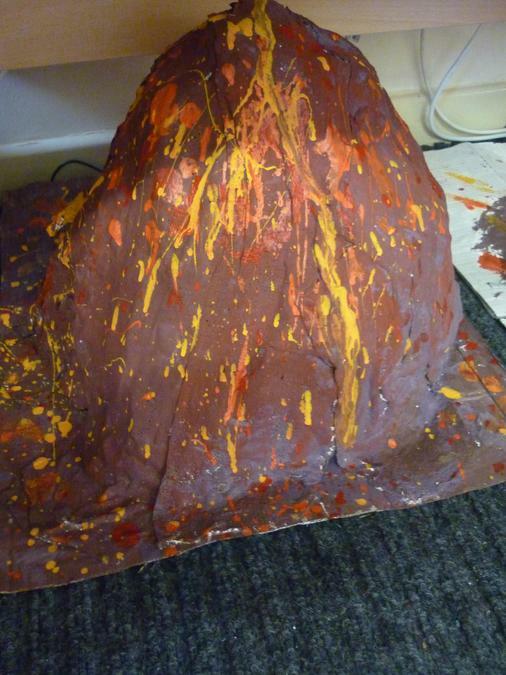 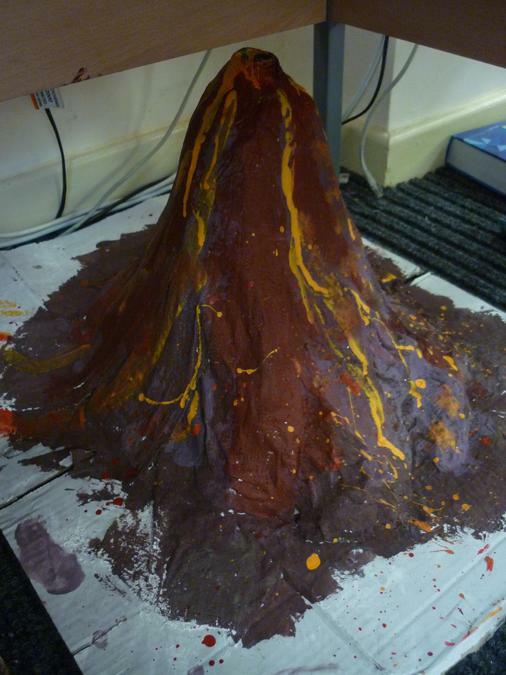 The children will use paper mache to form the outside of their volcano and will even make them erupt! 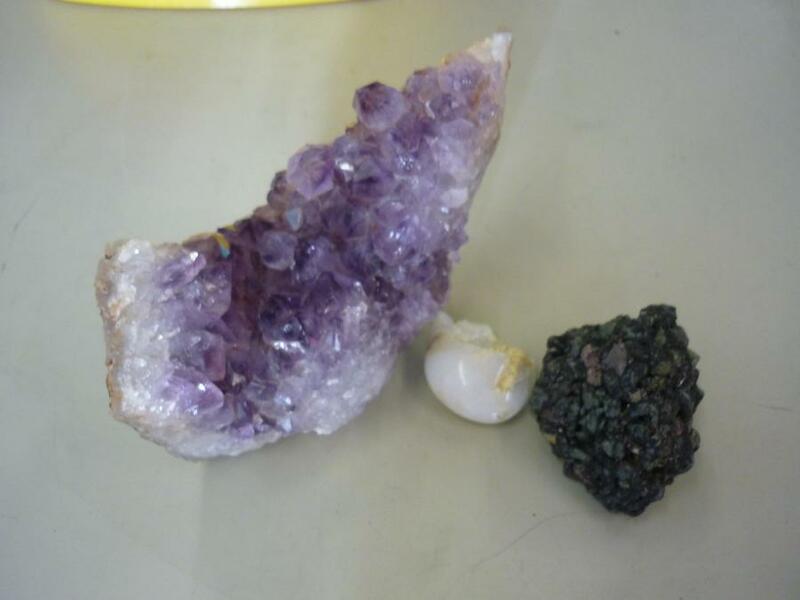 In science we have looked at a variety of rocks, thinking about what they could be used for, where they have come from and the properties of those rocks. 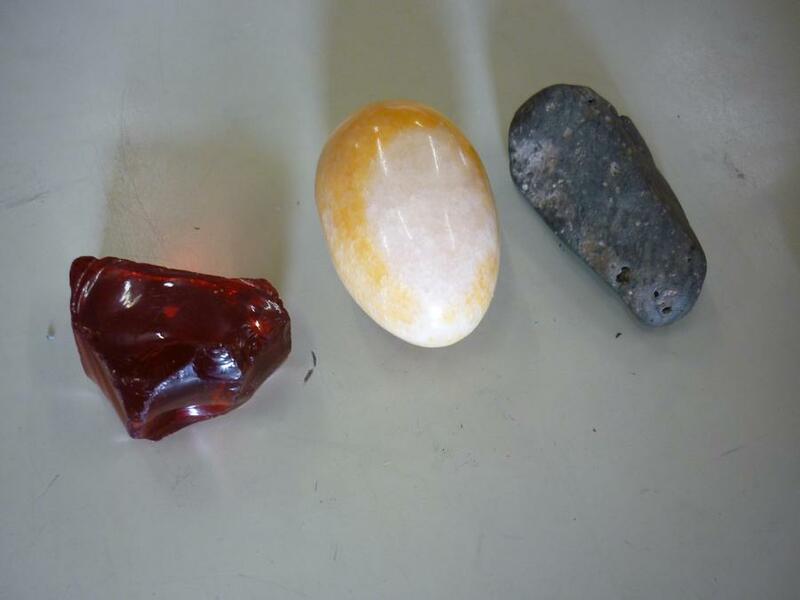 We have started a rock competition that the children have to bring in a variety of categories of rocks that they can enter a rock into. 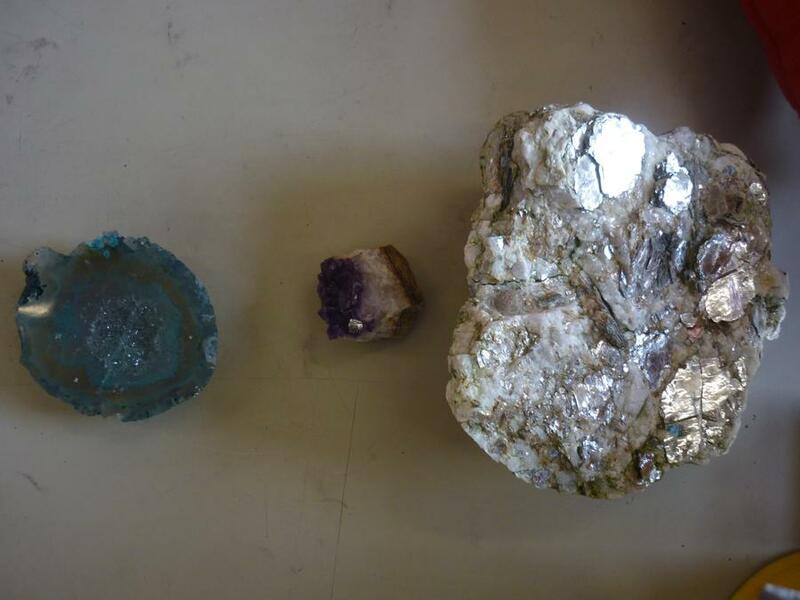 These include the shiniest rock, the smoothest rock, the ugliest rock and many more. 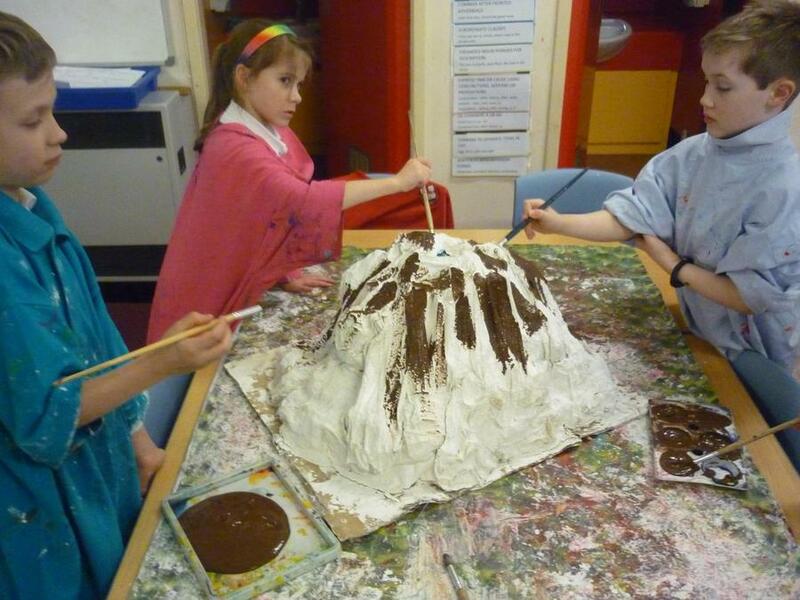 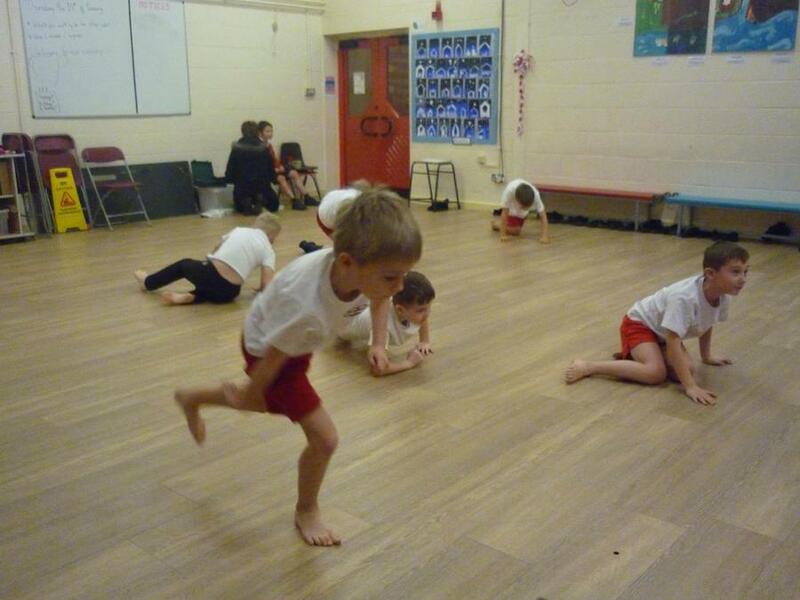 We have also made 'dirt puddings' that used a variety of food sources to form the layers that are under our feet. 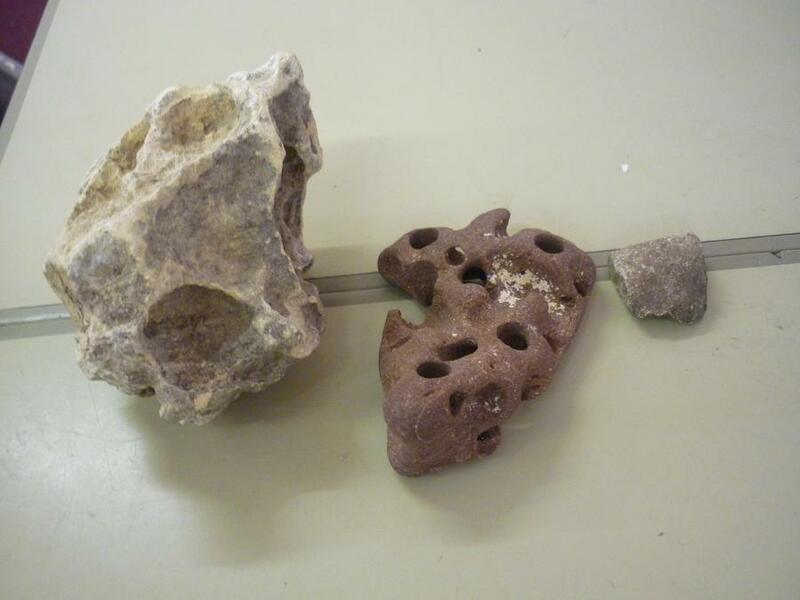 The children will look at the structure of rocks using different types of chocolate to represent how the different rocks look inside. 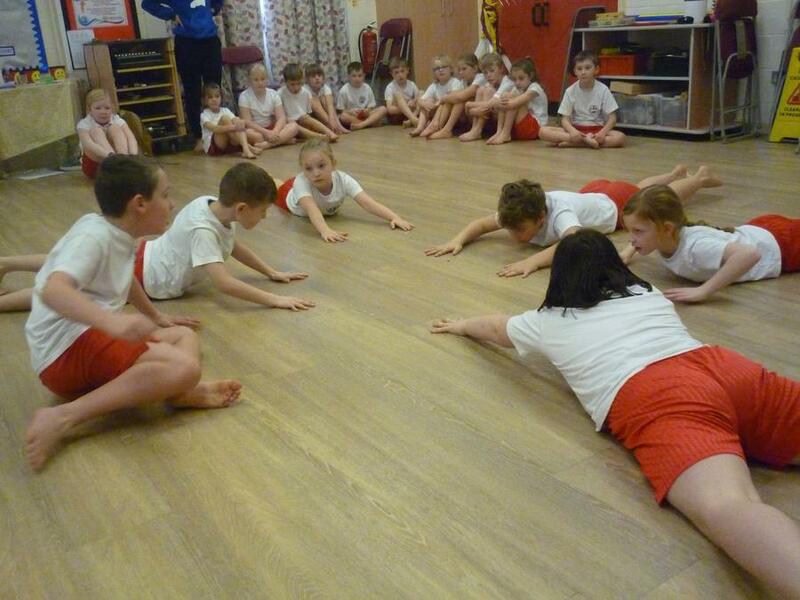 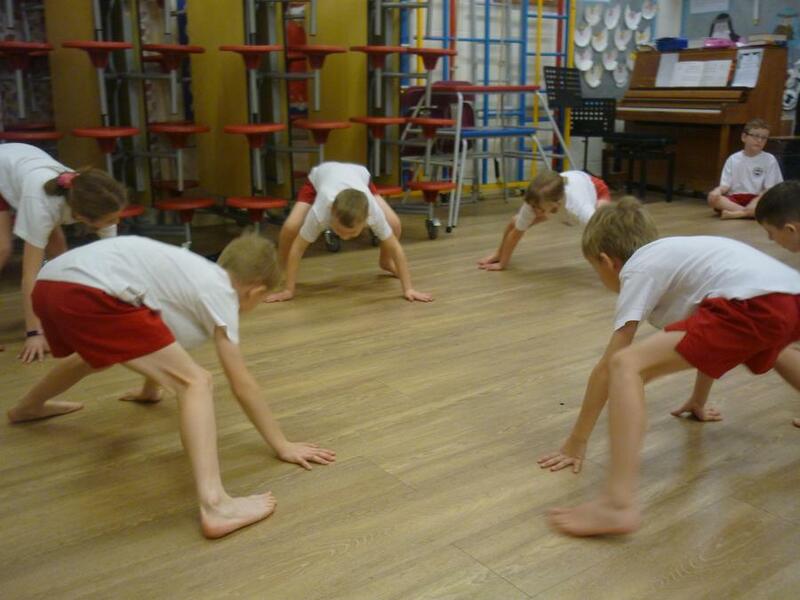 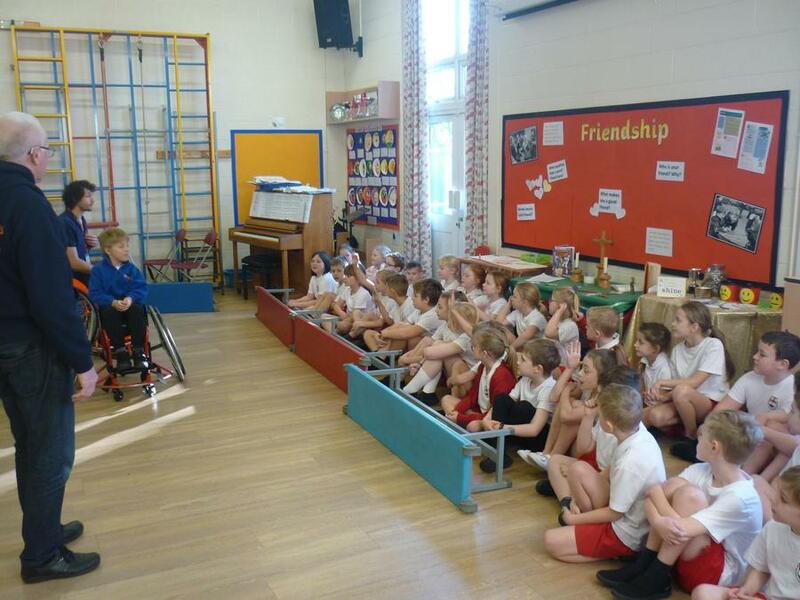 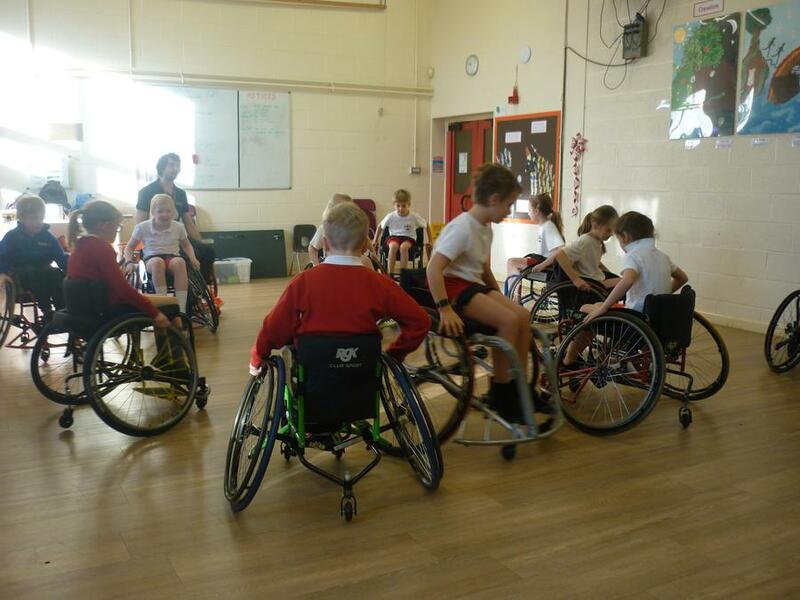 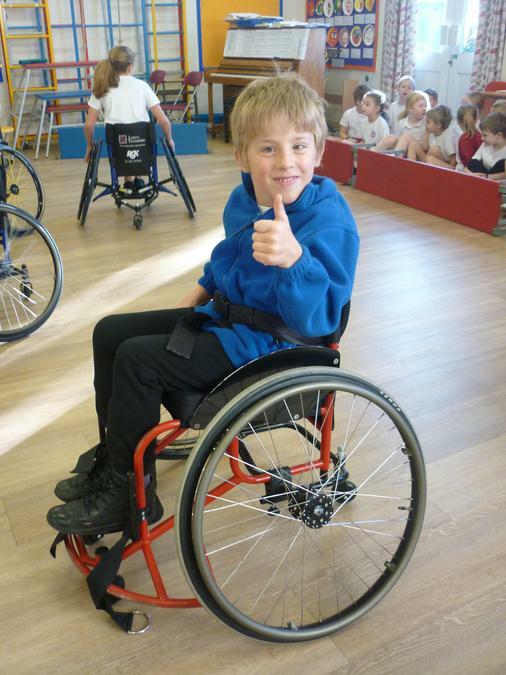 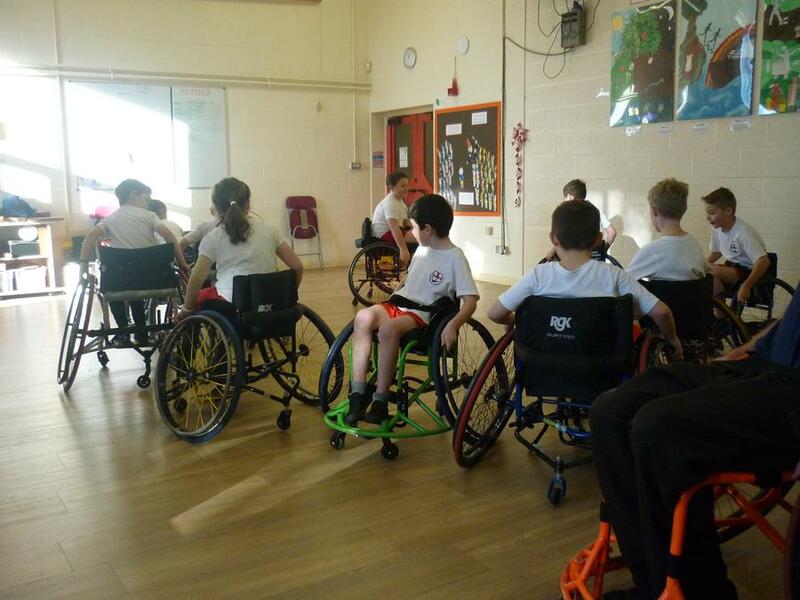 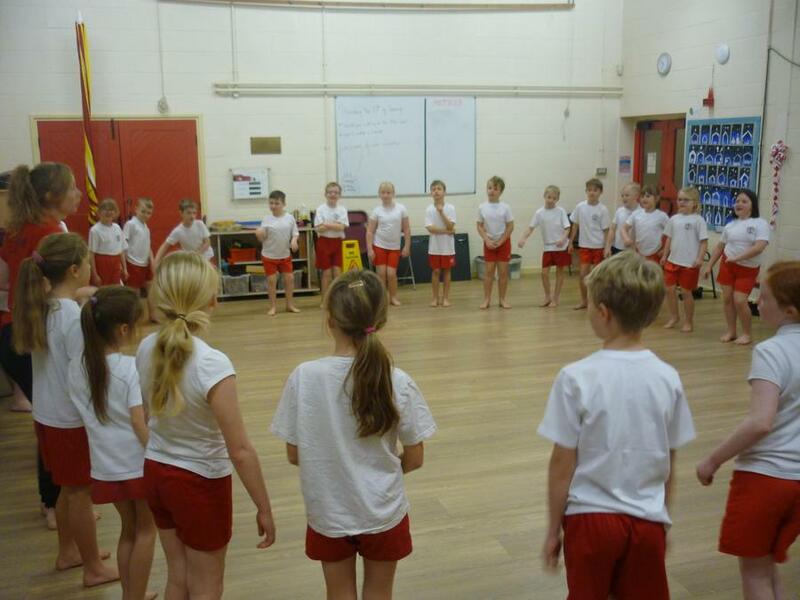 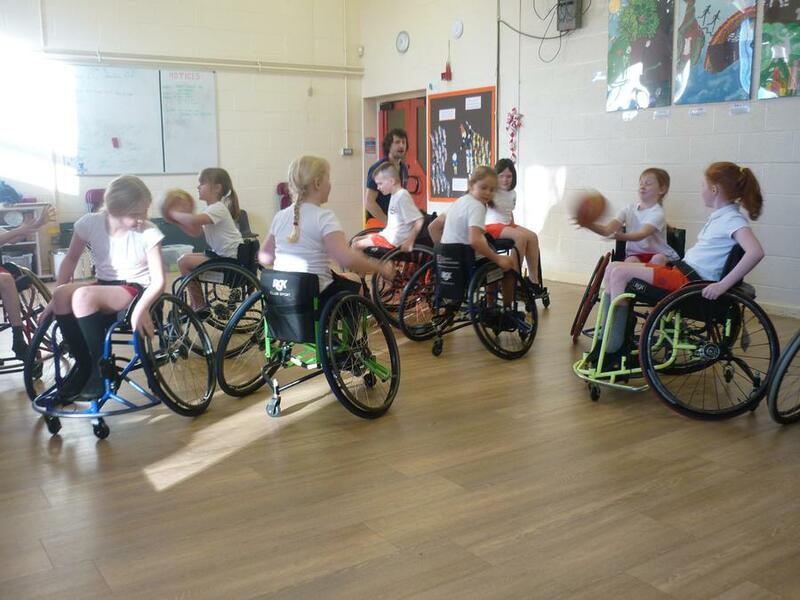 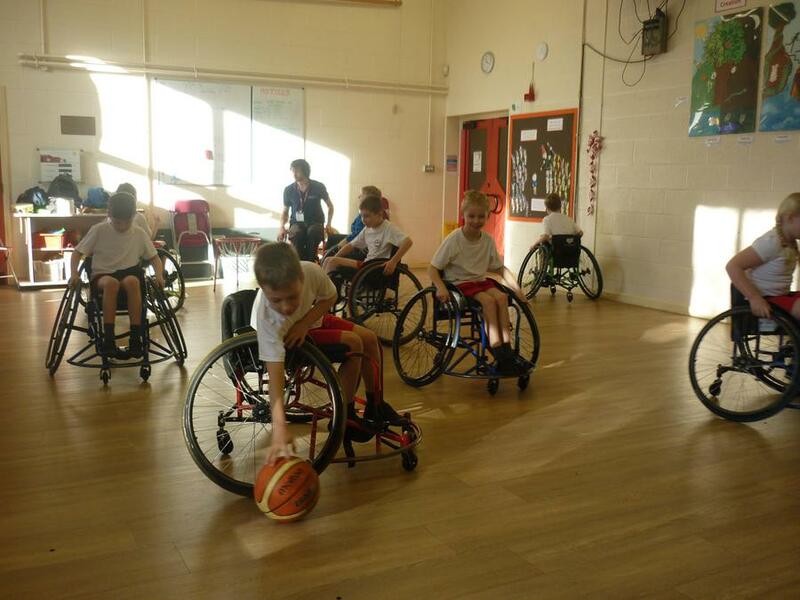 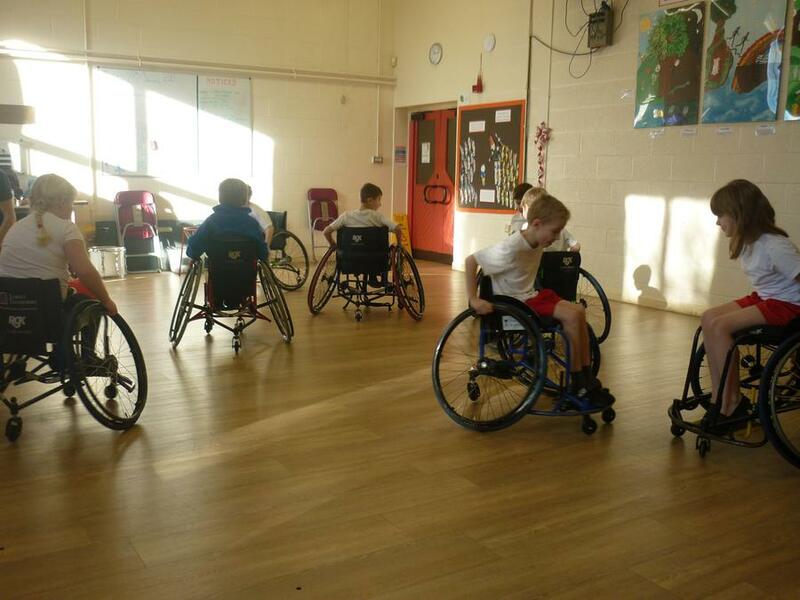 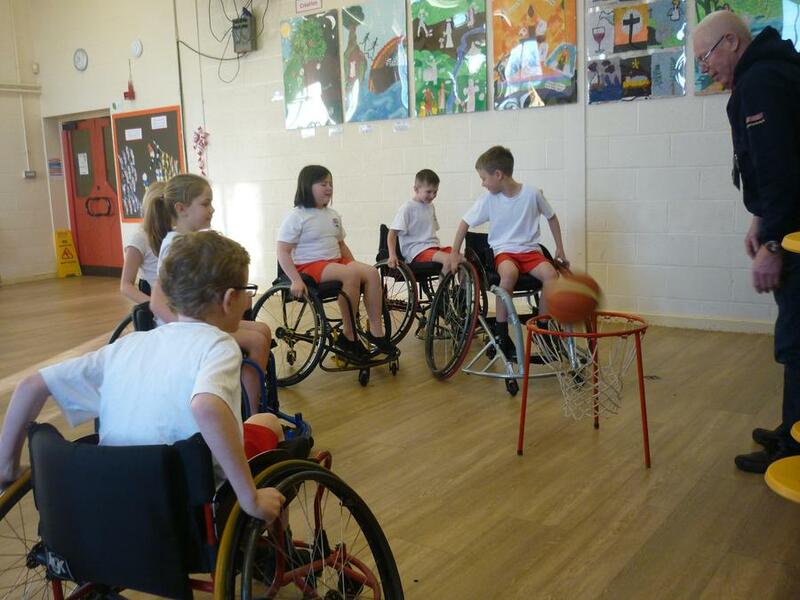 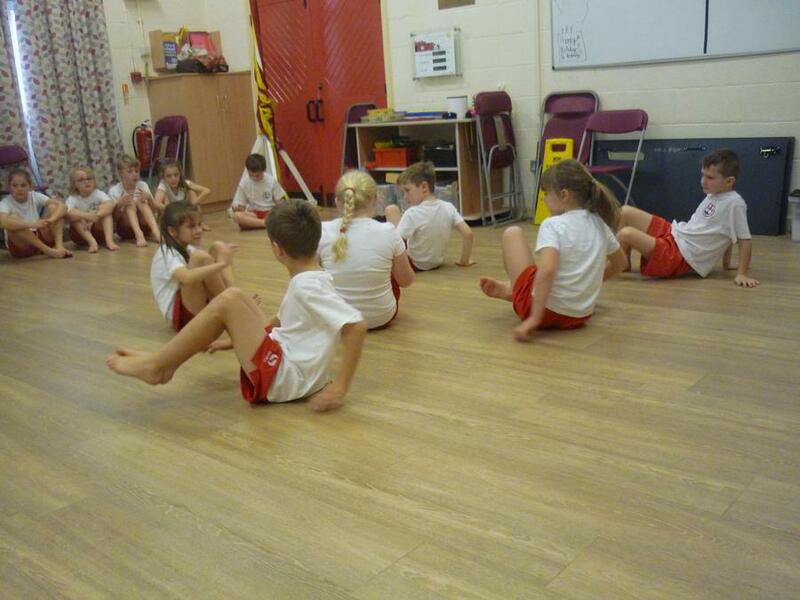 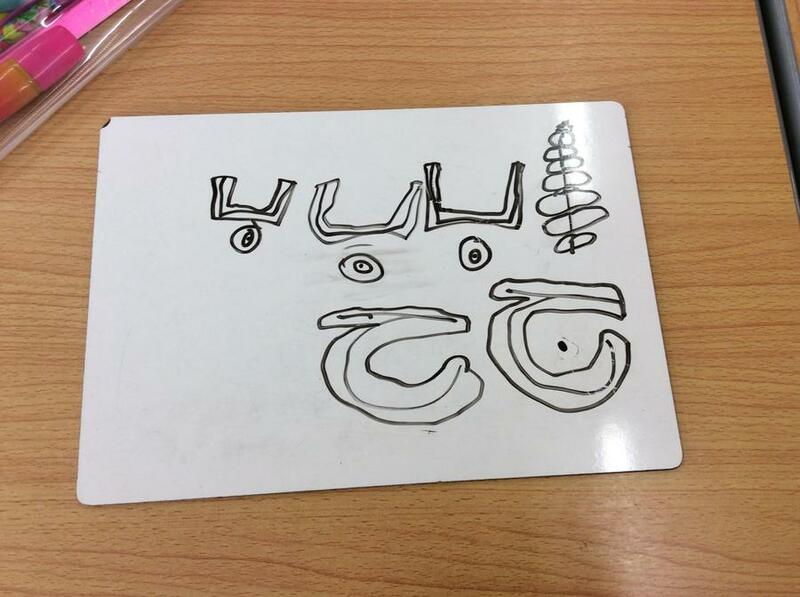 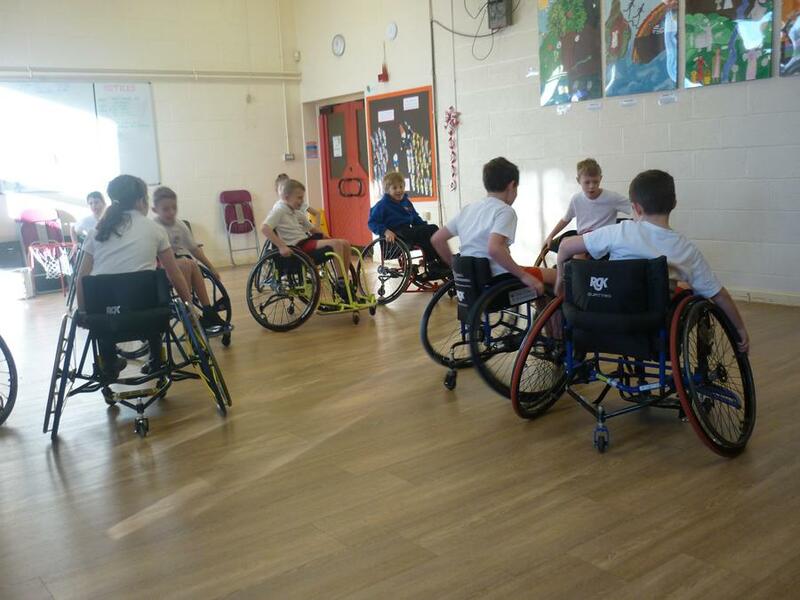 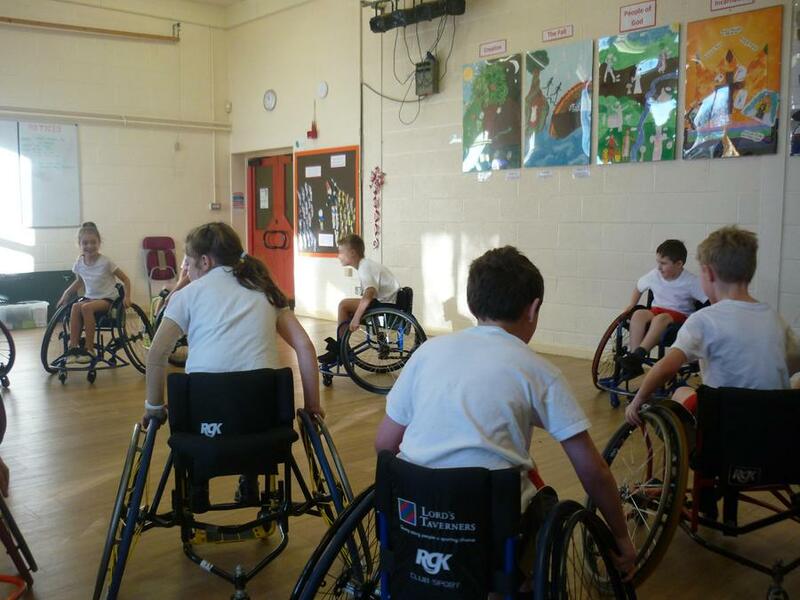 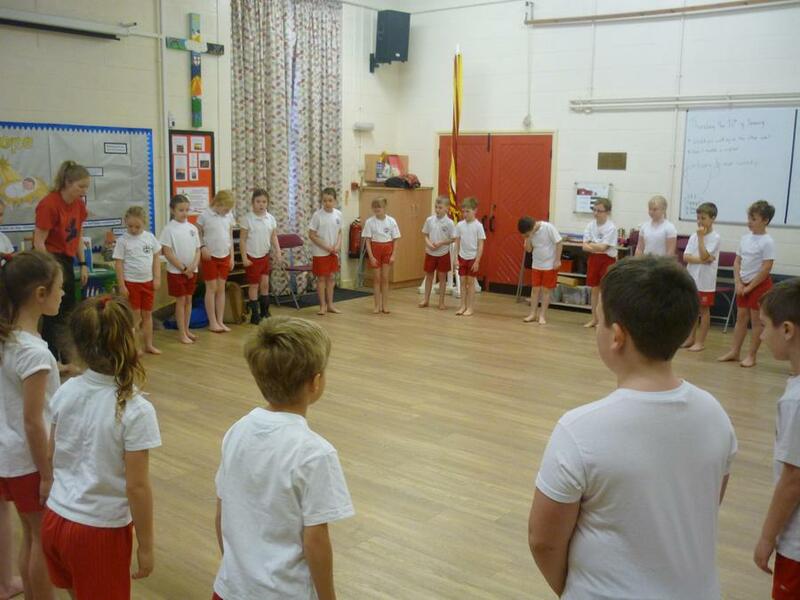 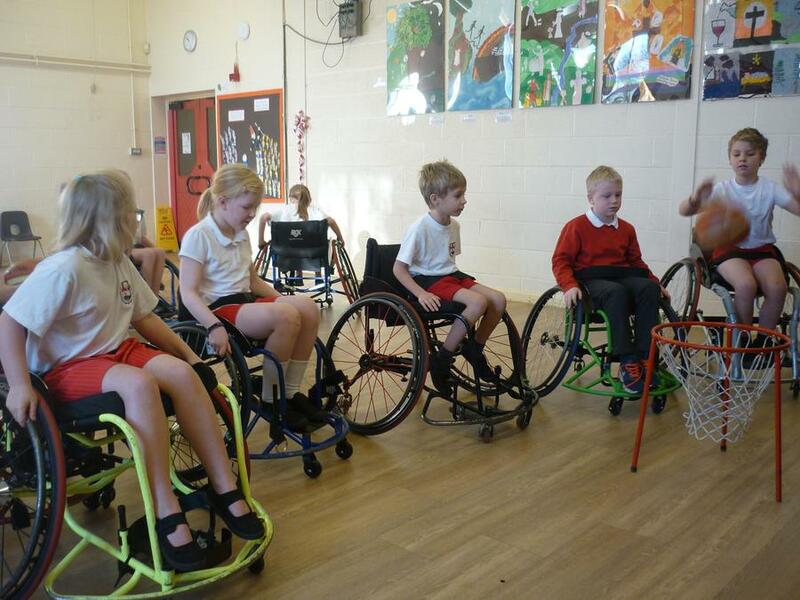 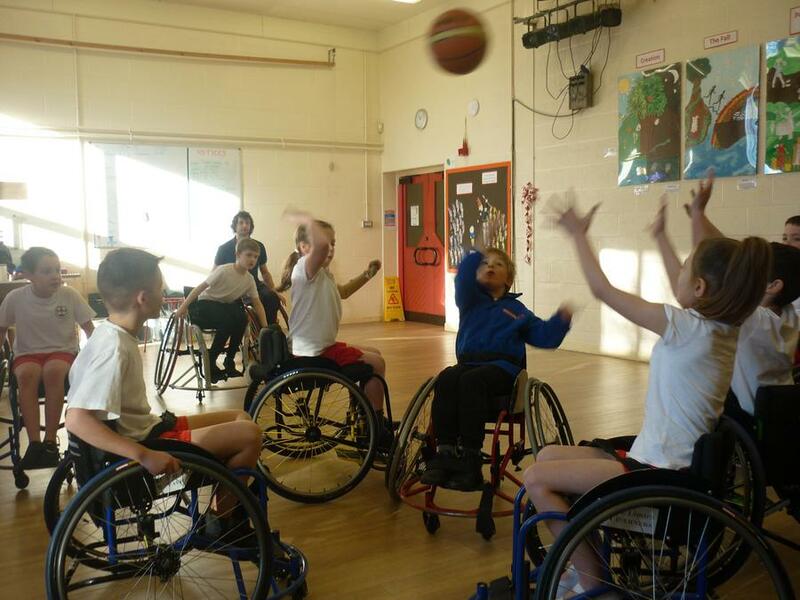 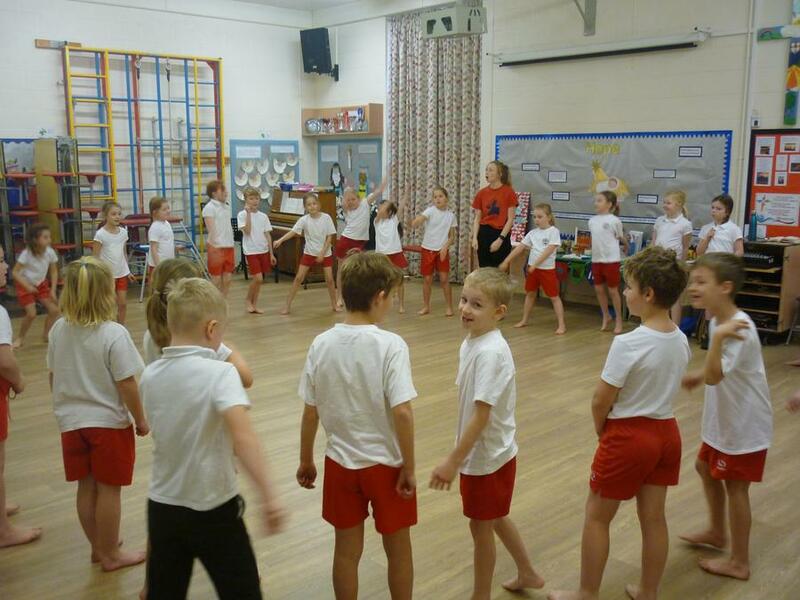 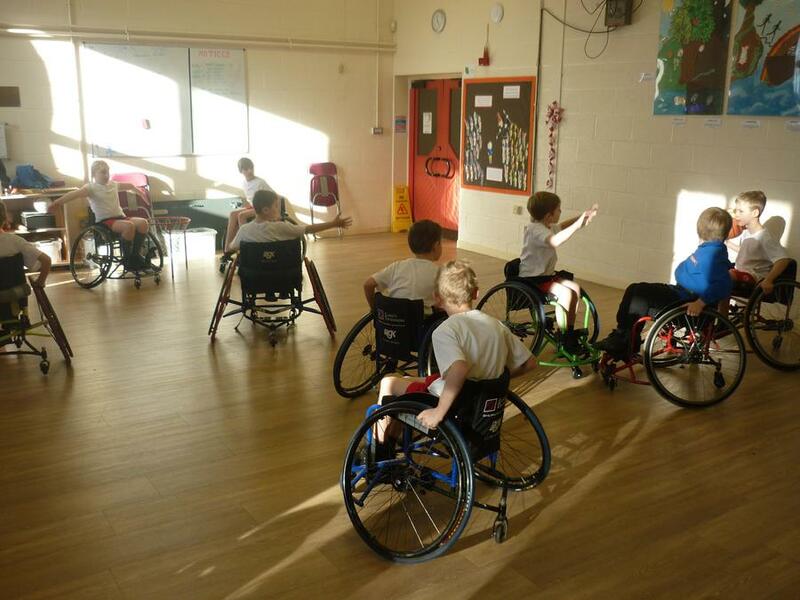 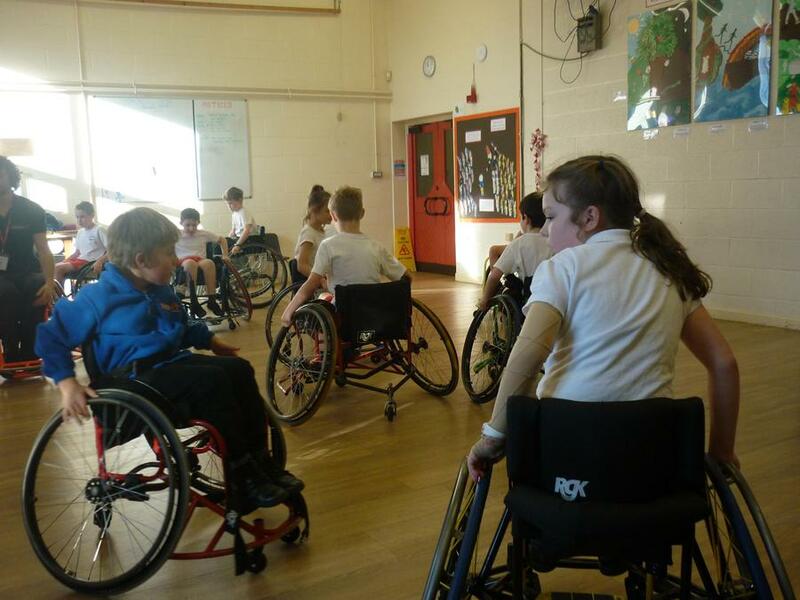 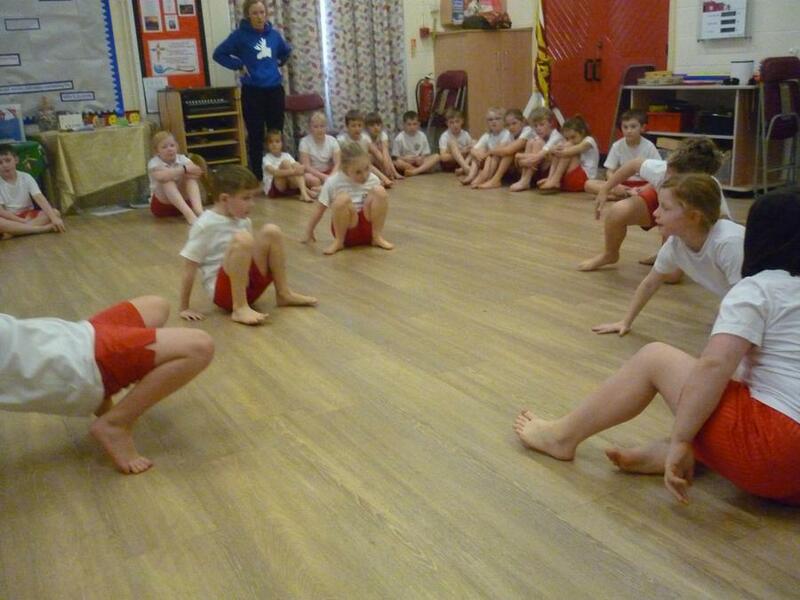 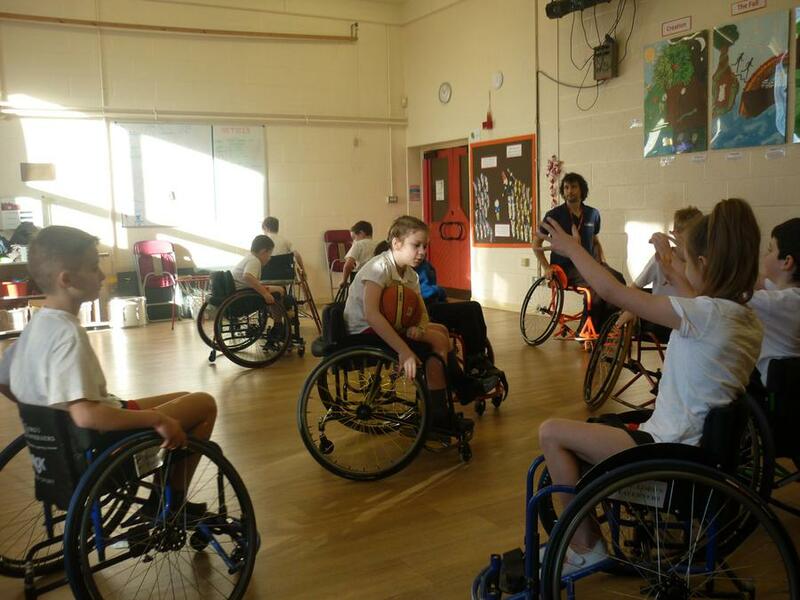 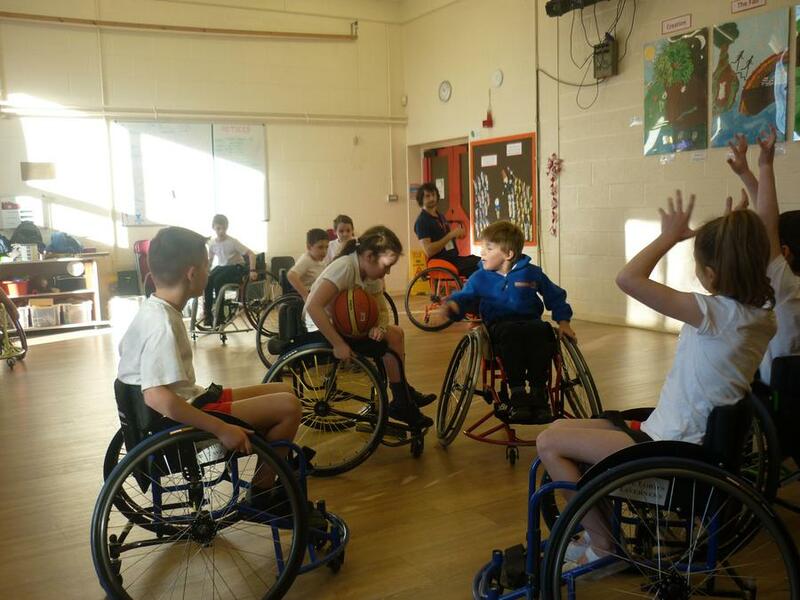 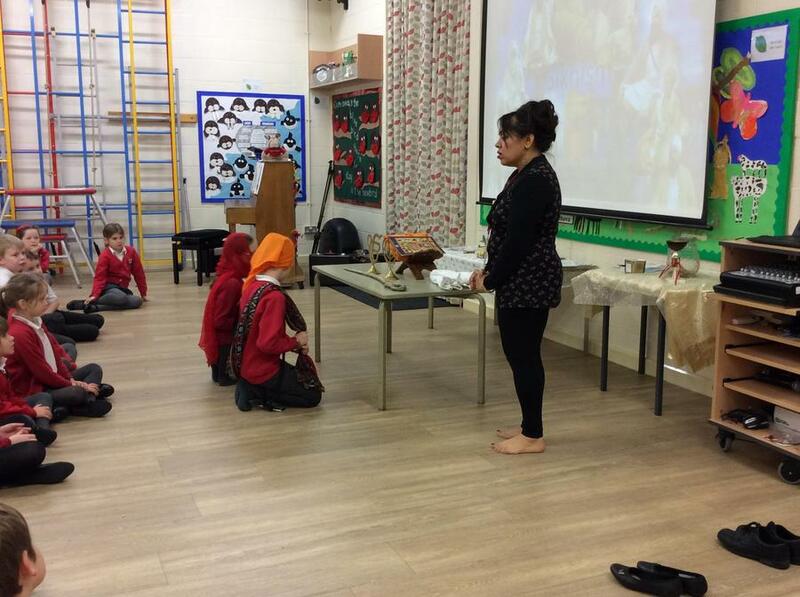 At the end of the topic the children will make a presentation about what they have learnt. 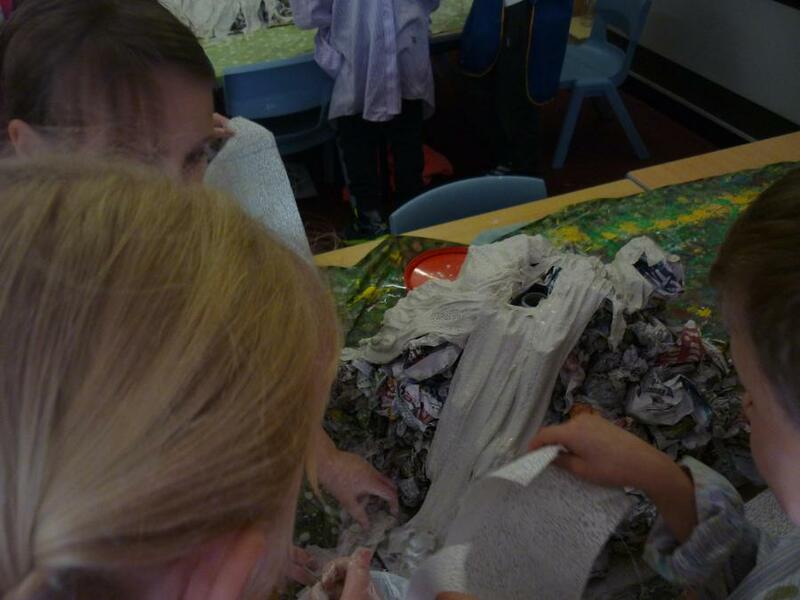 In English we have been focussing on the story of 'The Stig of the Dump'. 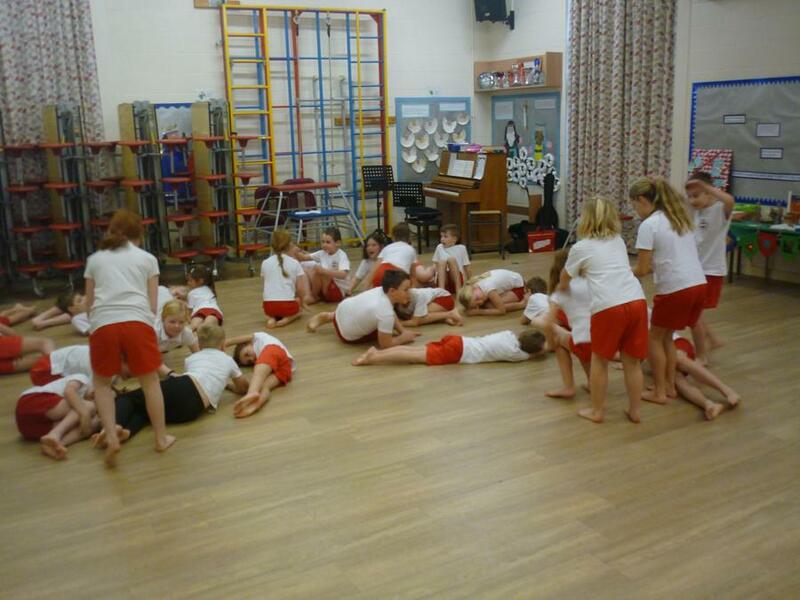 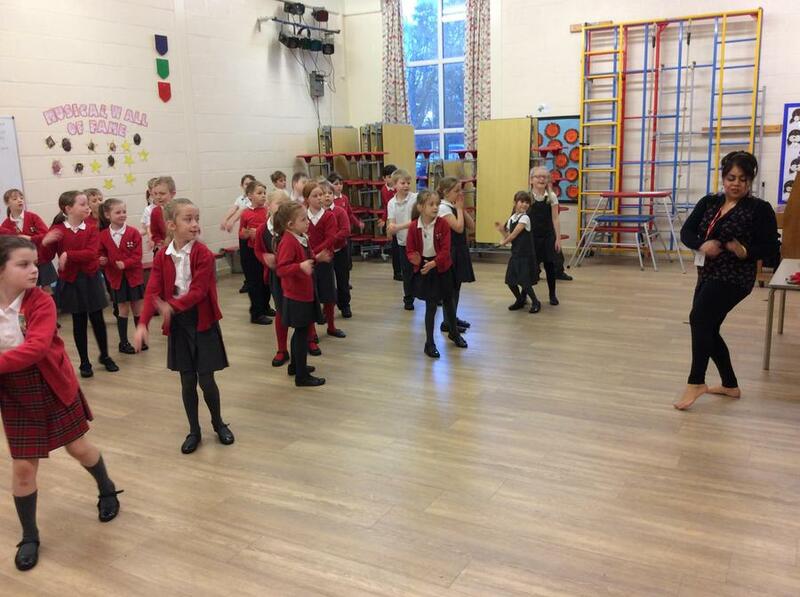 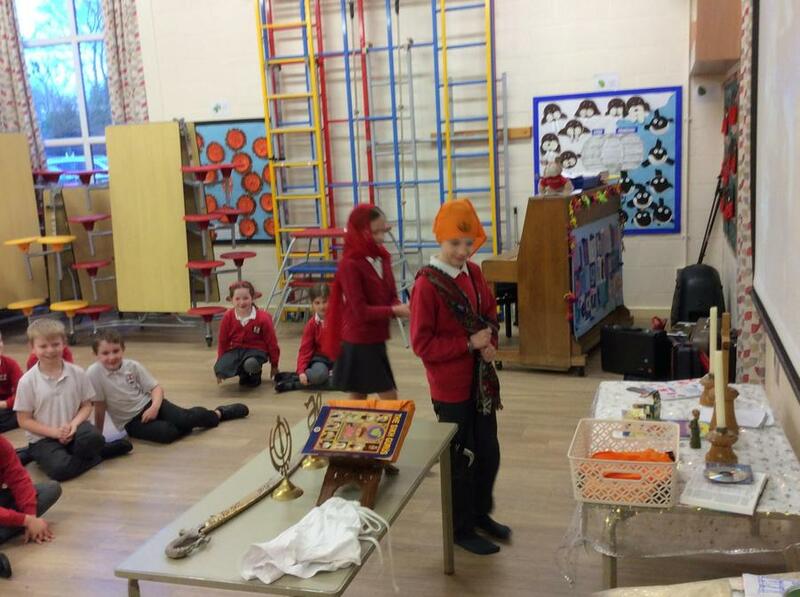 The children have really enjoyed acting out the scenes of the story and making a true and false quiz about the story. 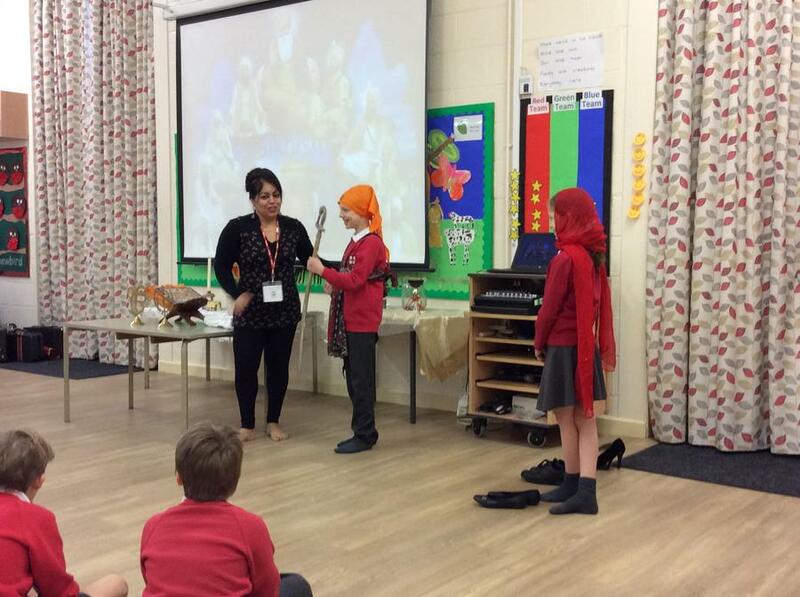 We will soon be writing our own versions of the story. 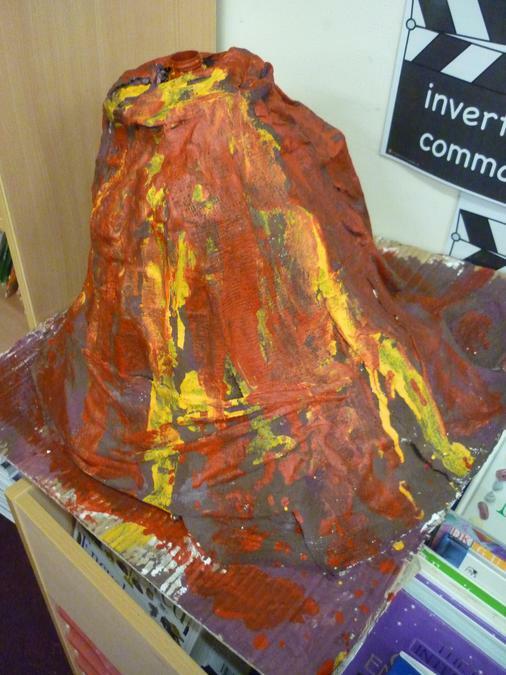 Following this the children will be looking at poems based on rocks. 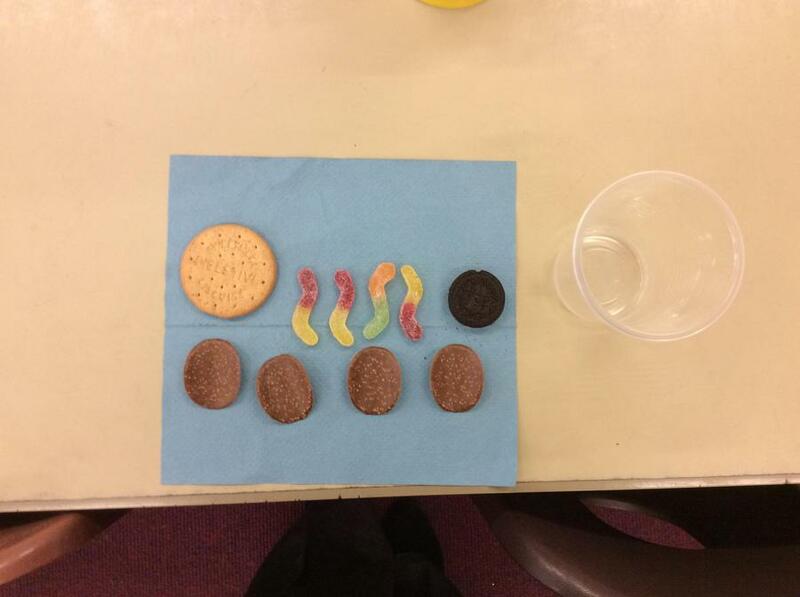 In maths we are focussing a lot on division. 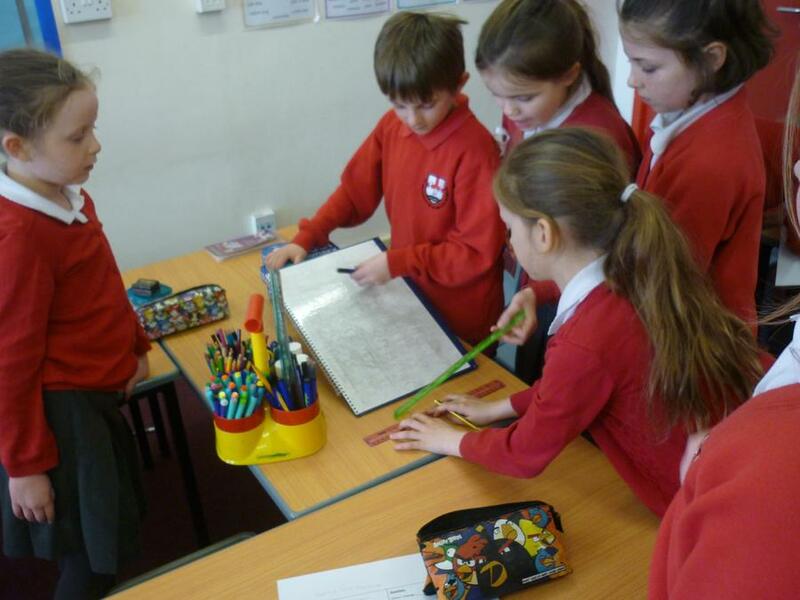 We divided using repeated subtraction on number lines which then lead onto finding fractions using division. 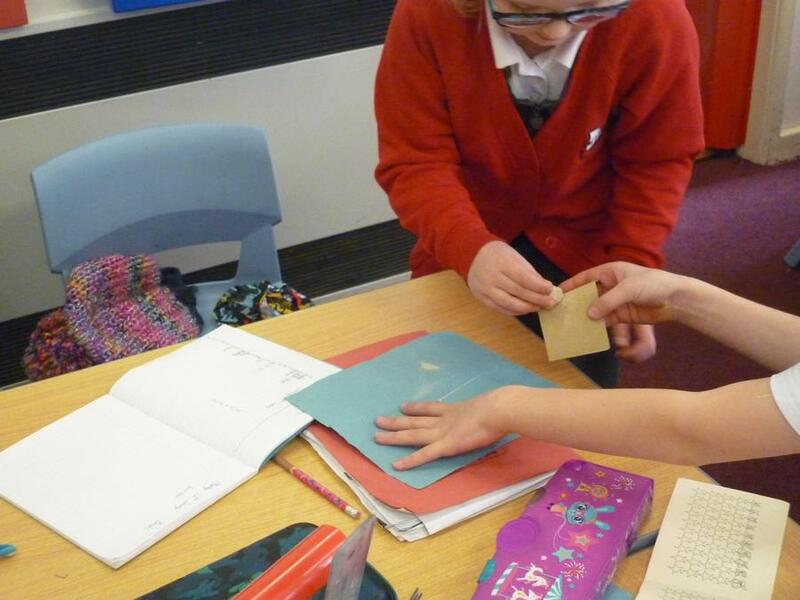 Some children have found equivalent fractions, ordered fractions and added fractions. 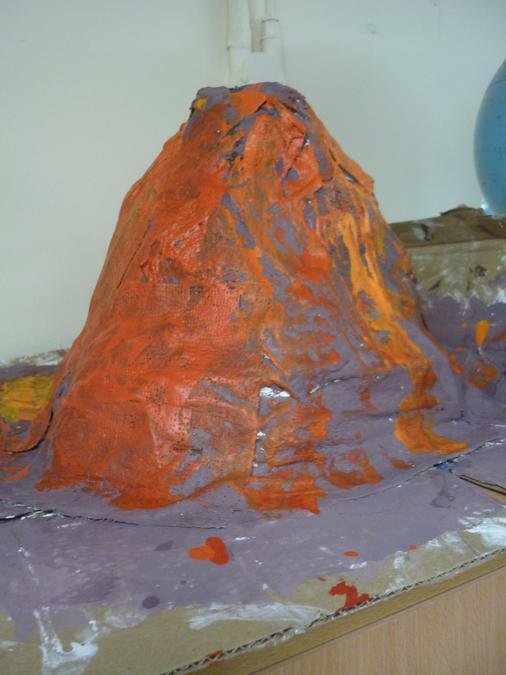 We will also be looking at volume and capacity. 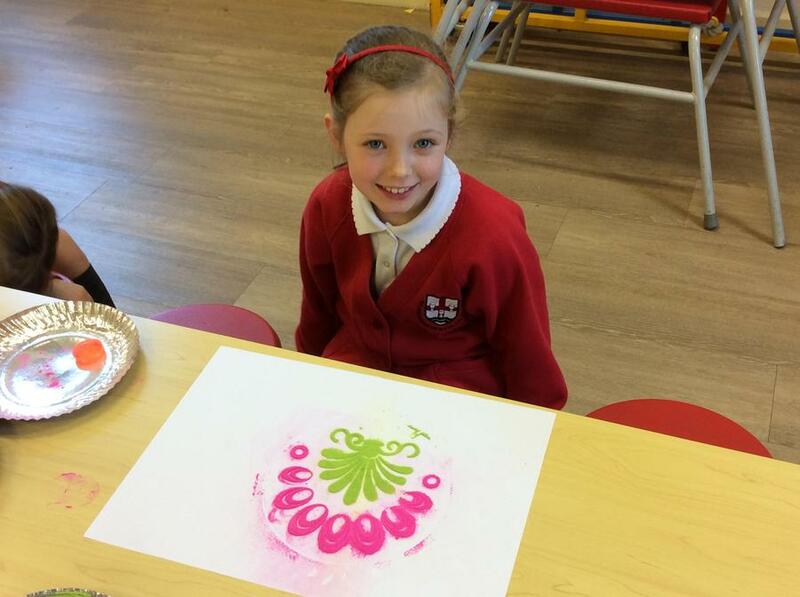 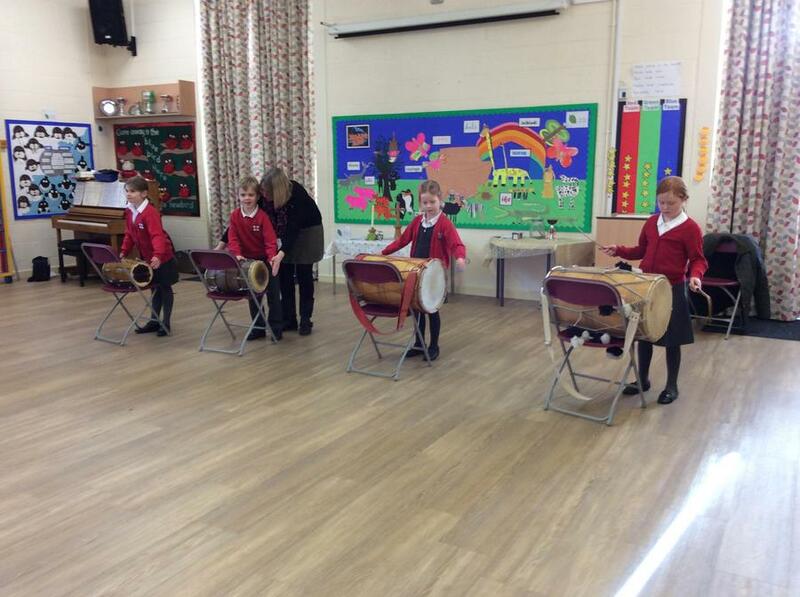 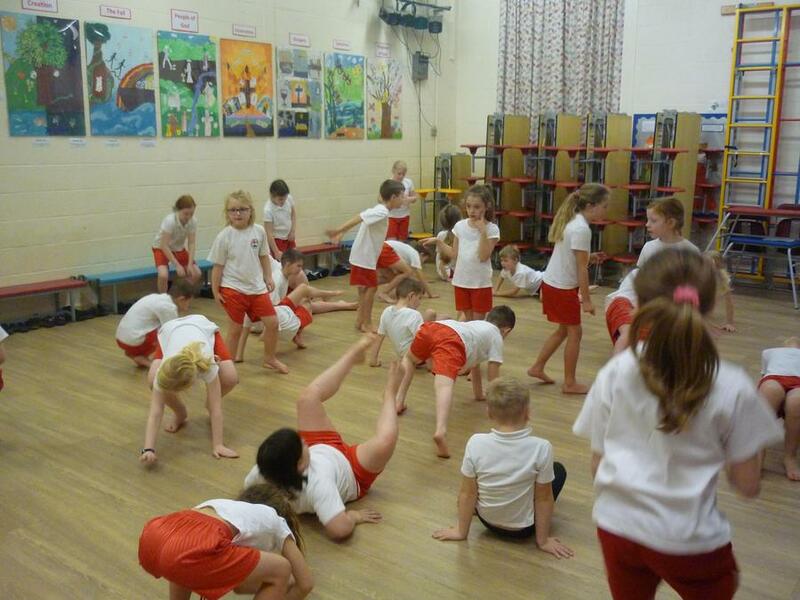 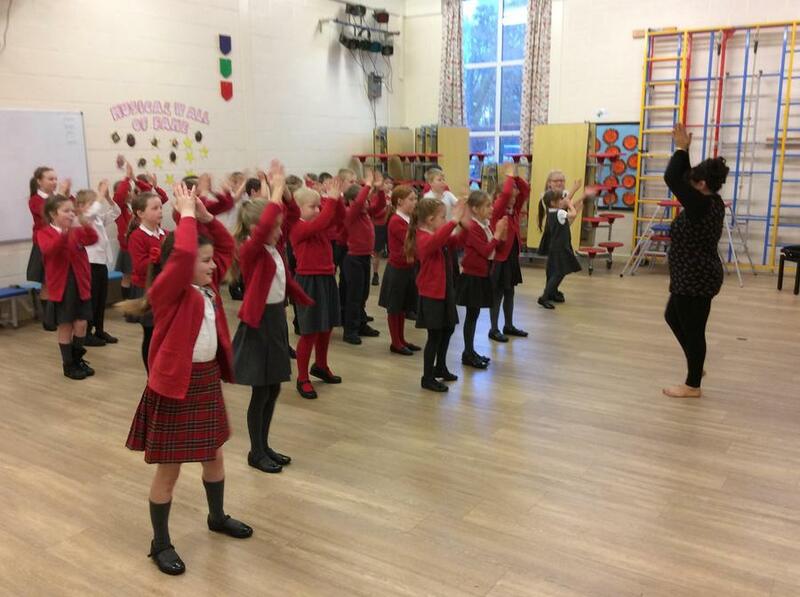 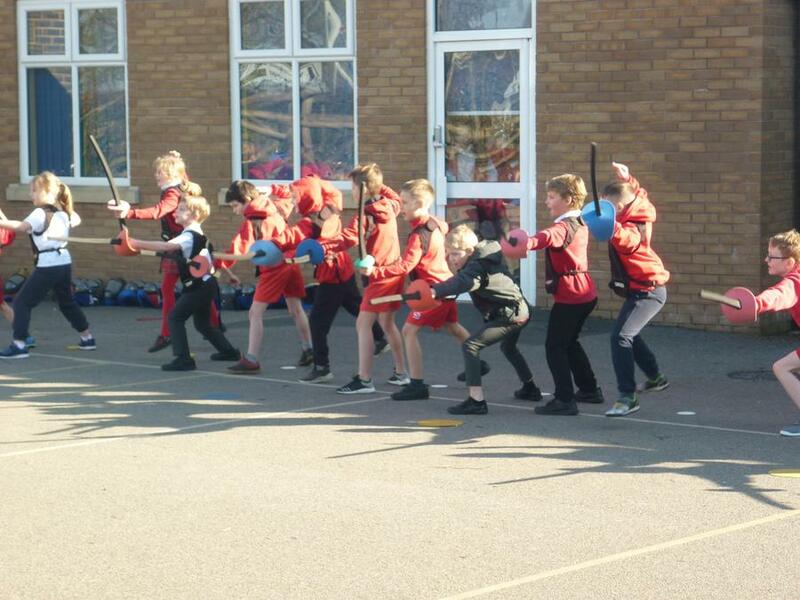 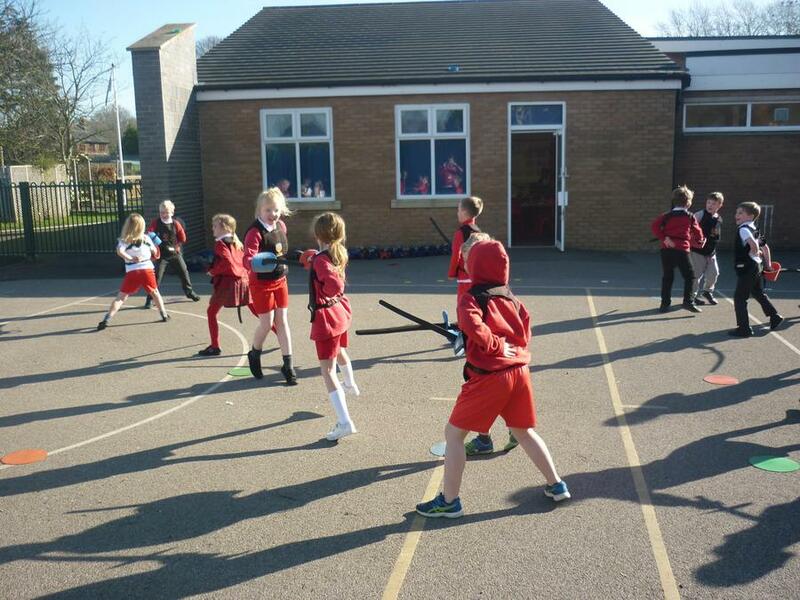 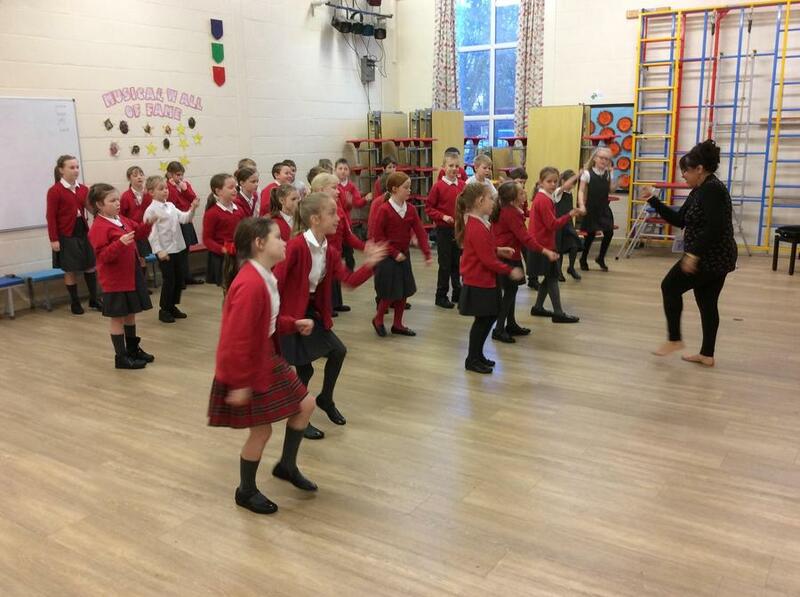 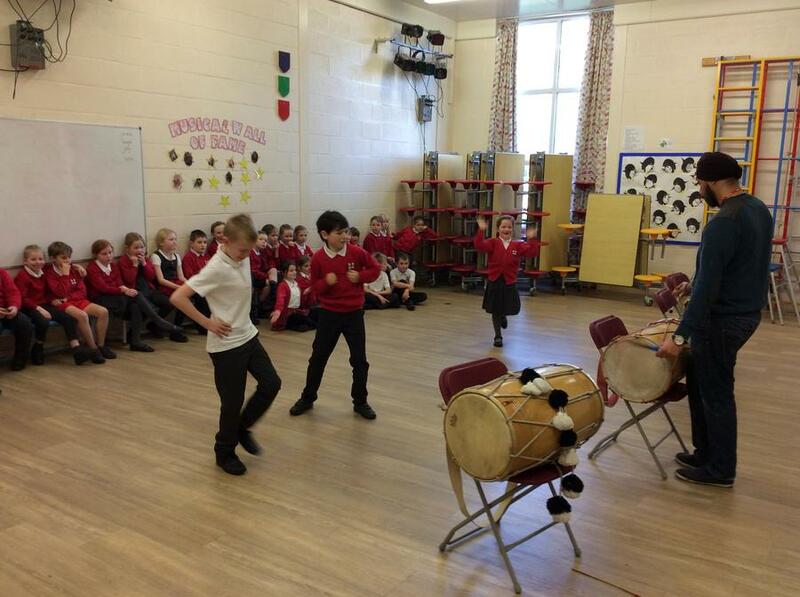 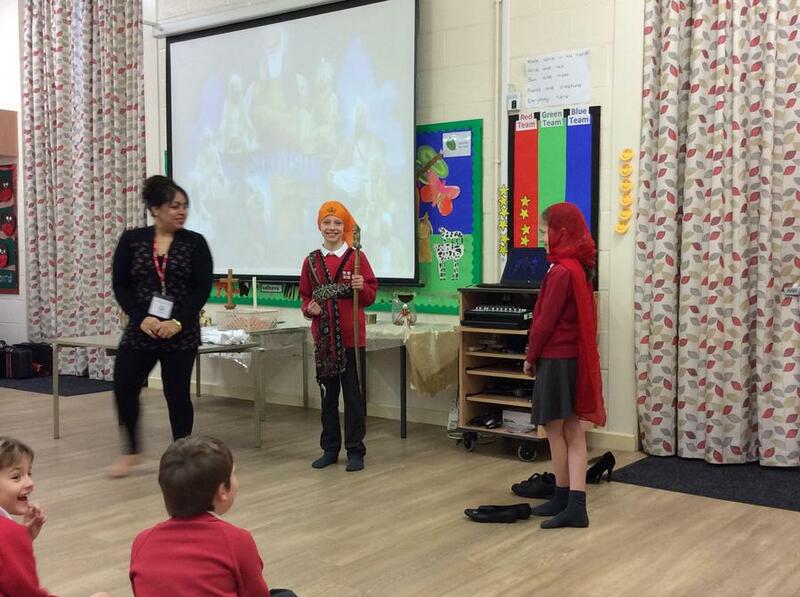 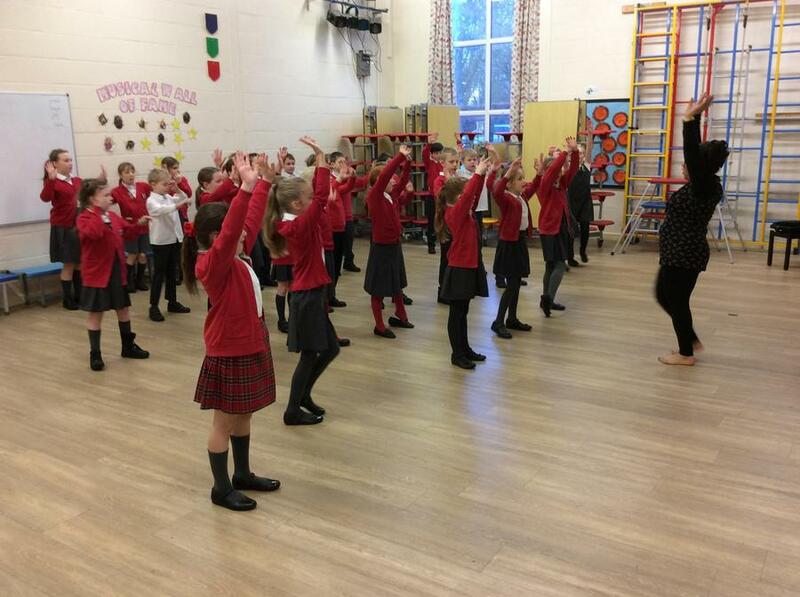 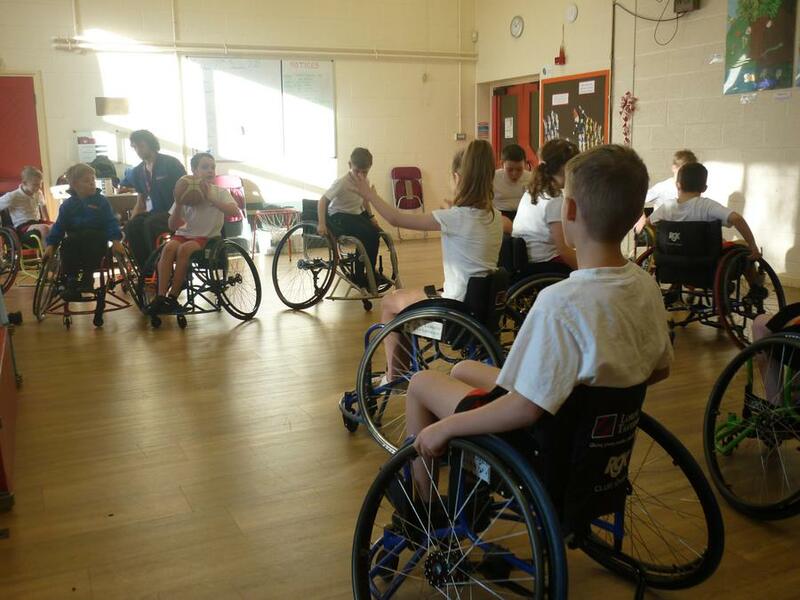 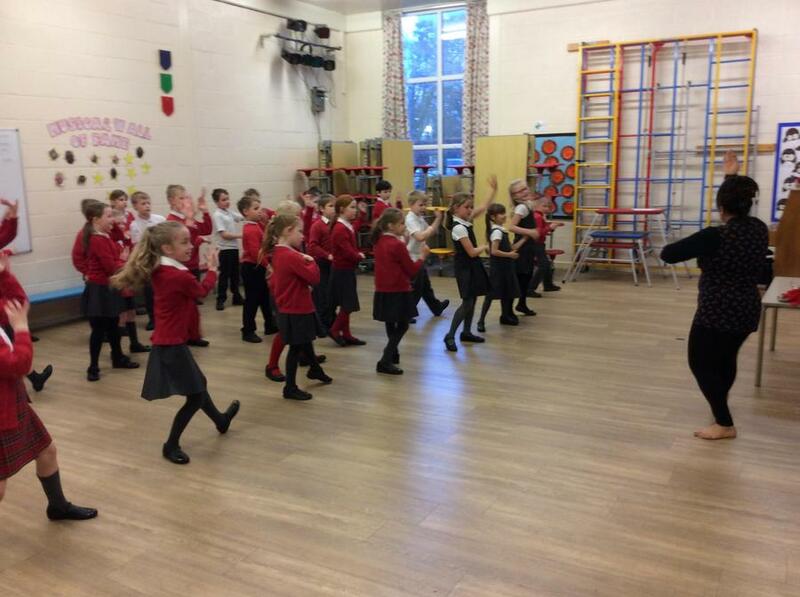 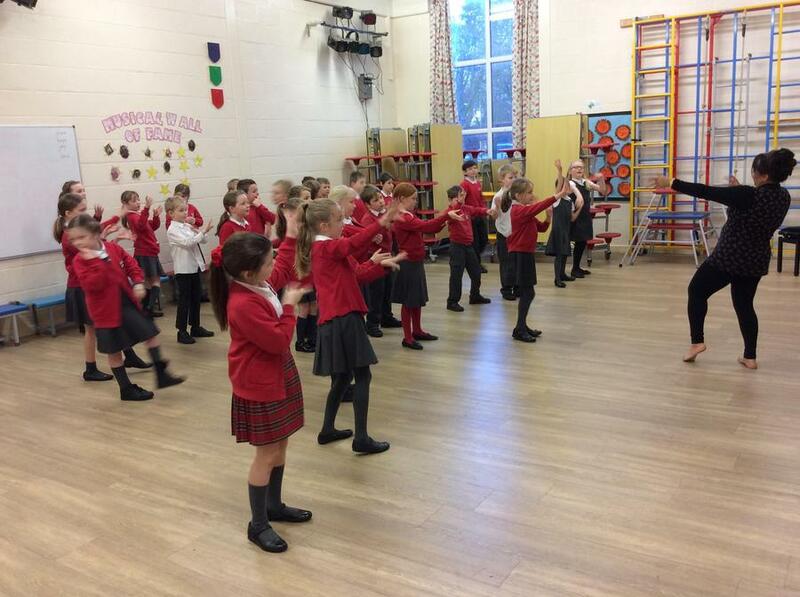 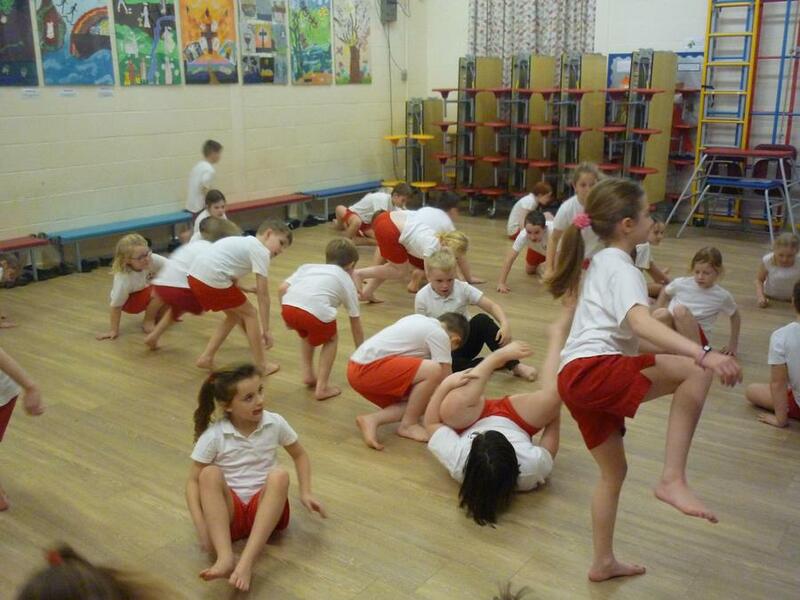 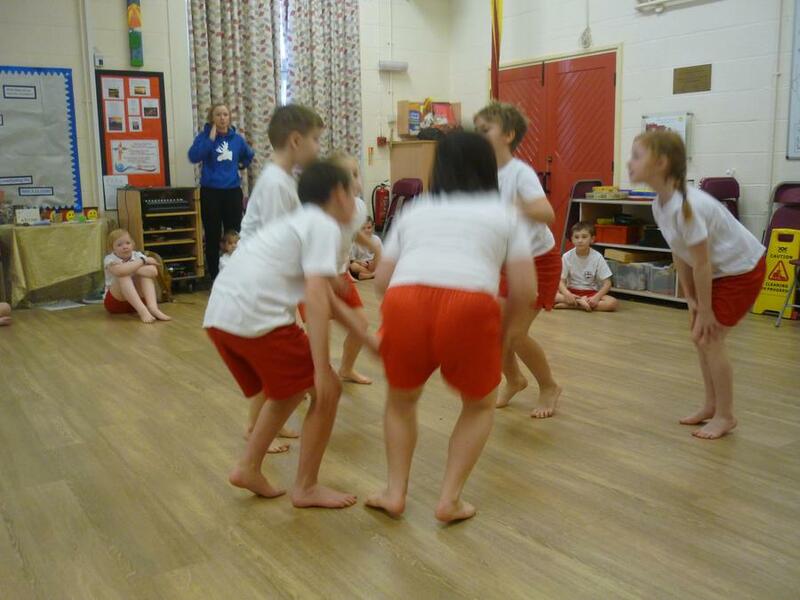 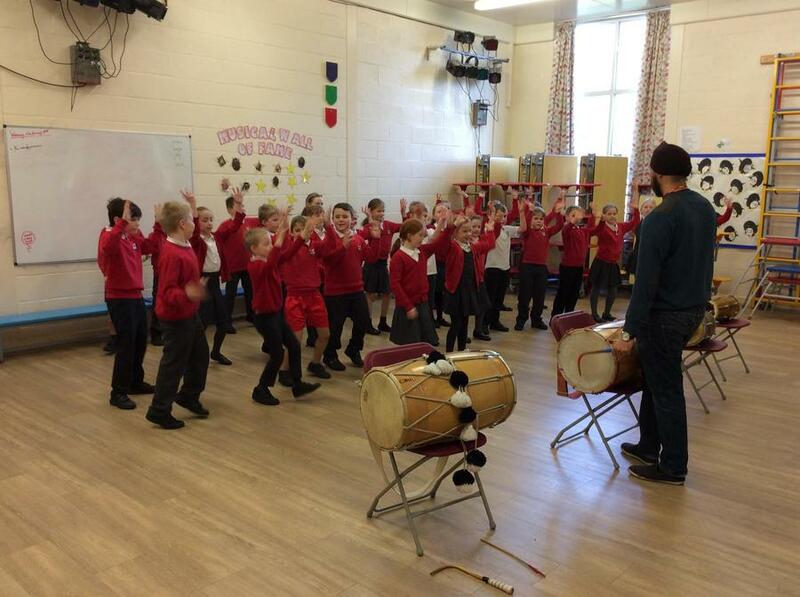 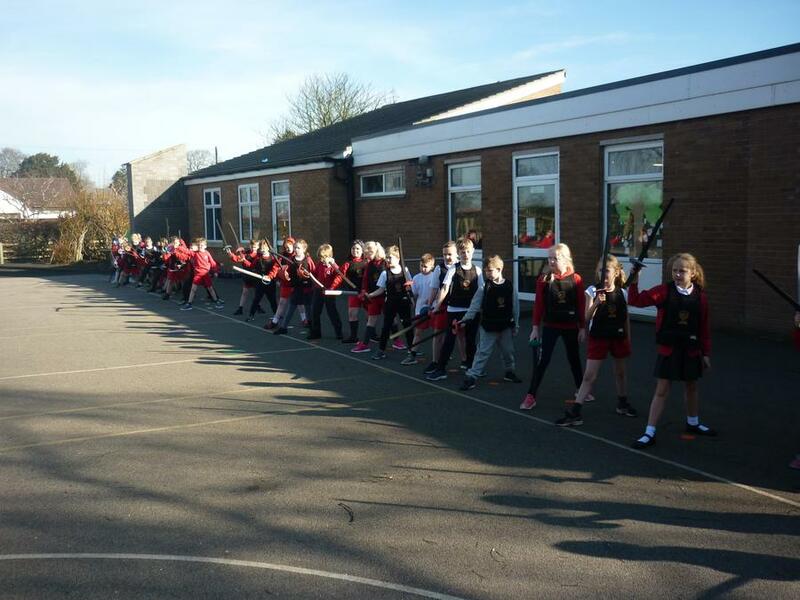 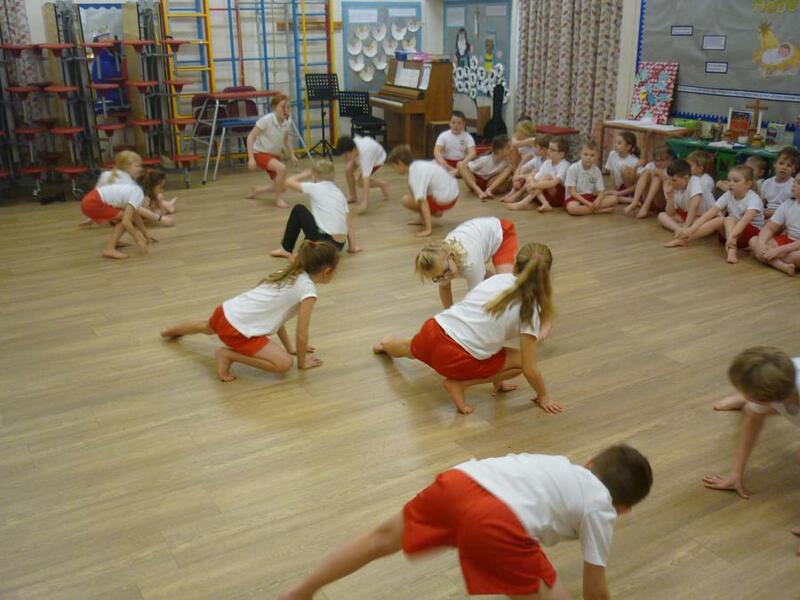 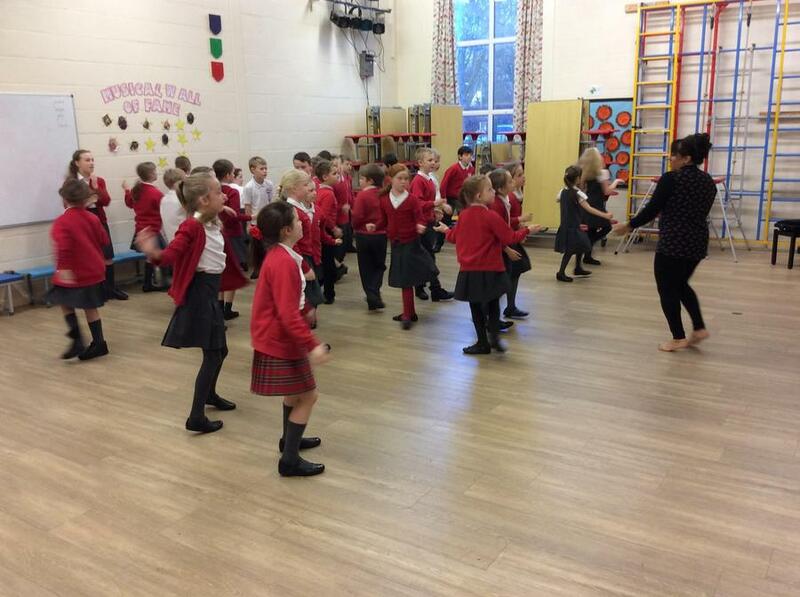 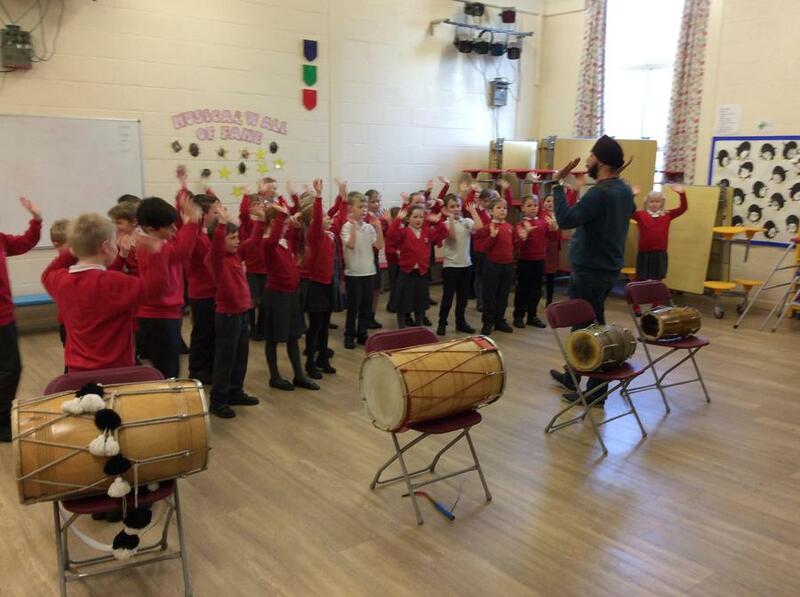 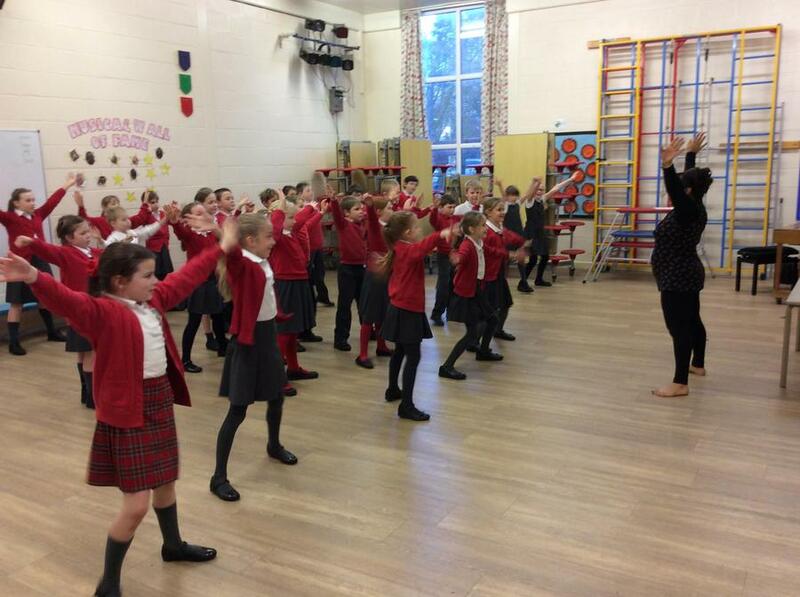 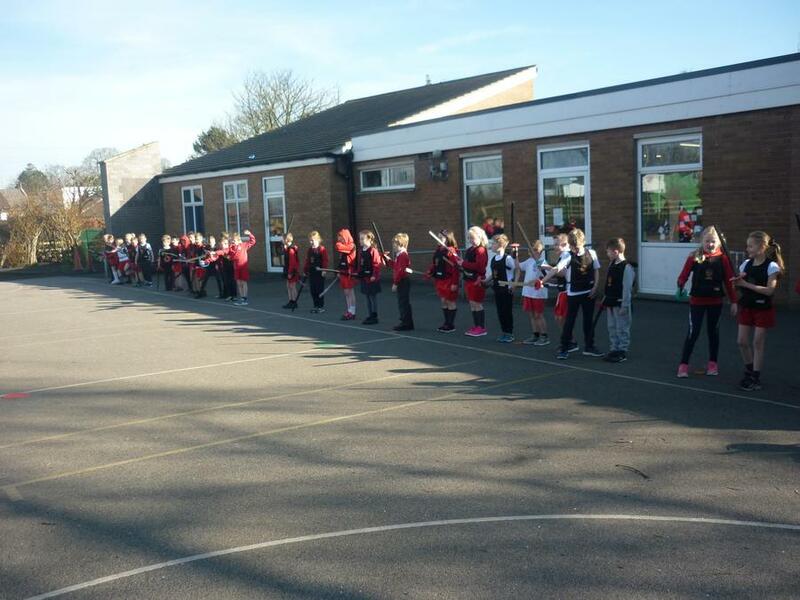 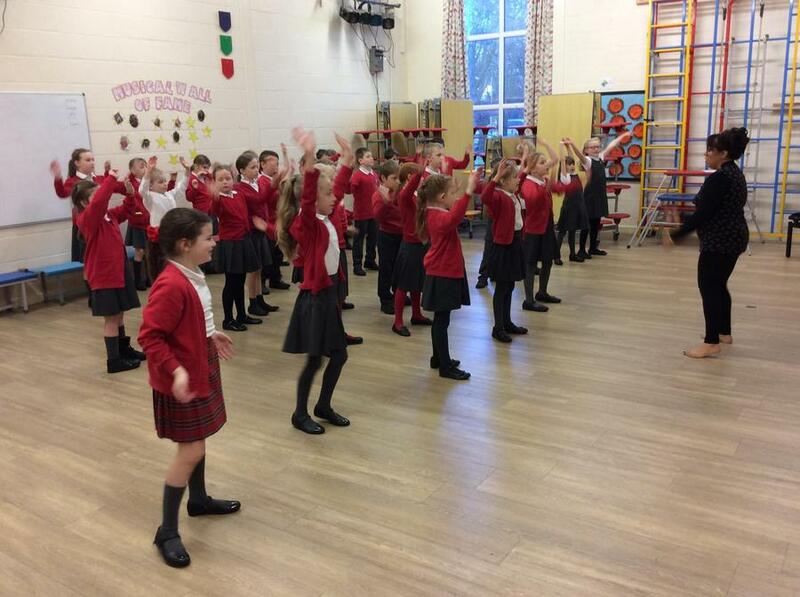 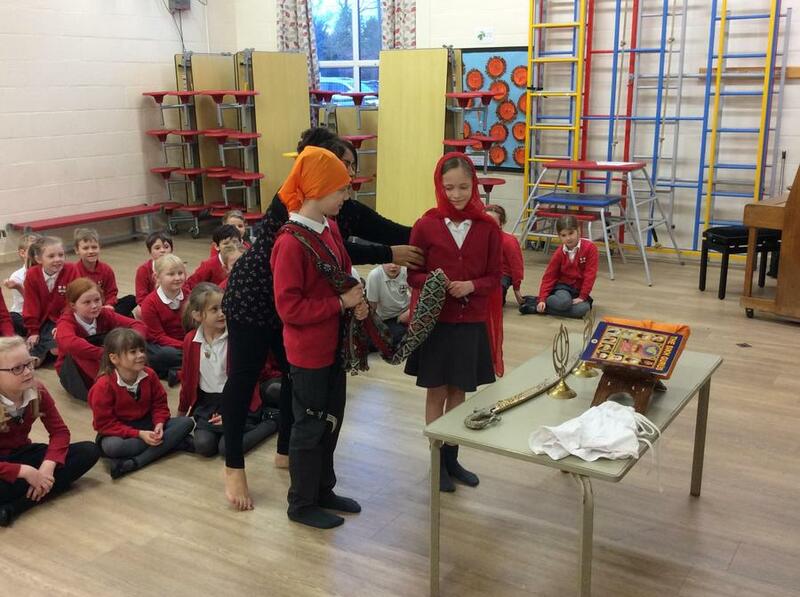 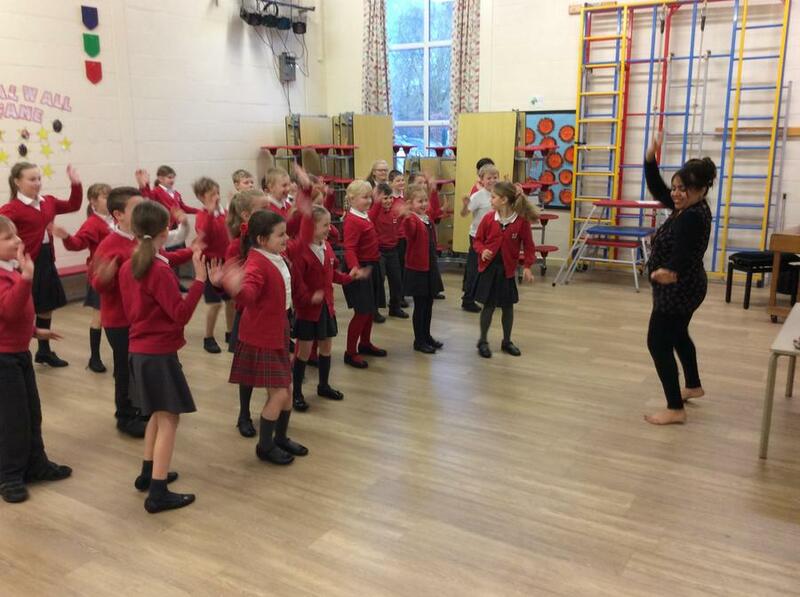 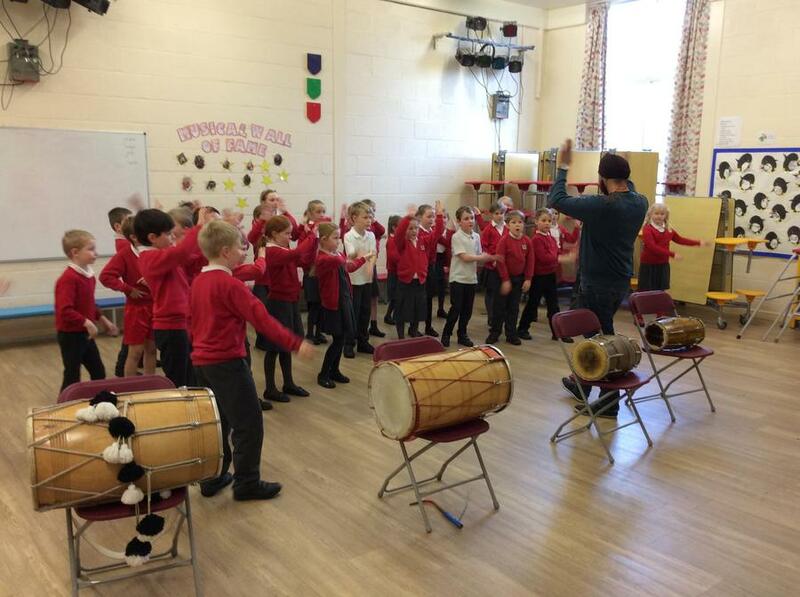 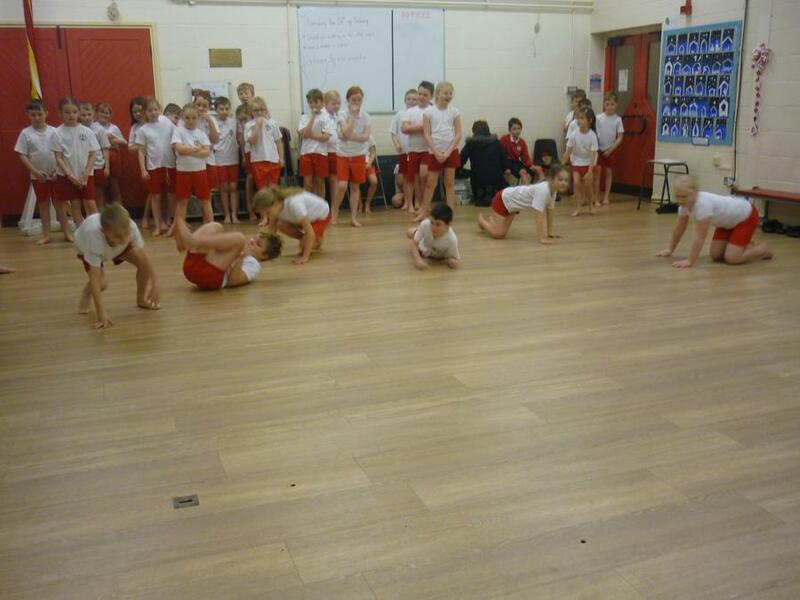 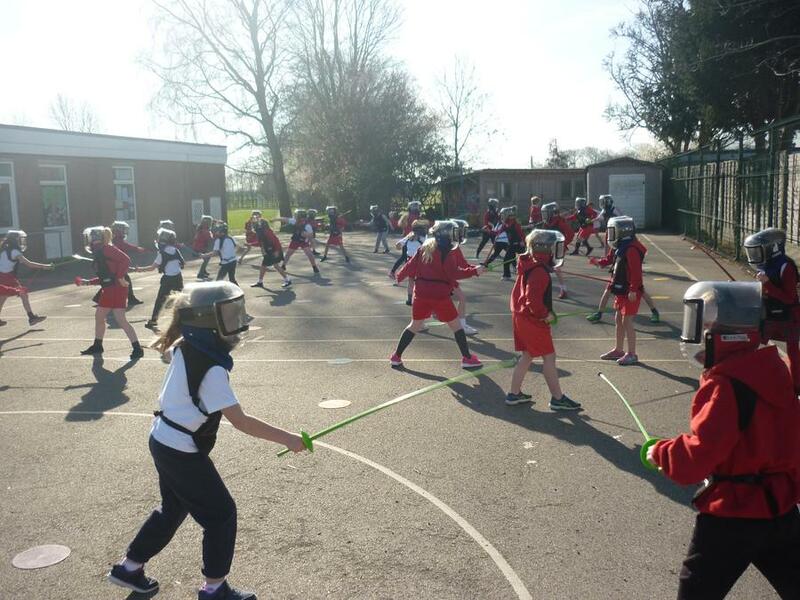 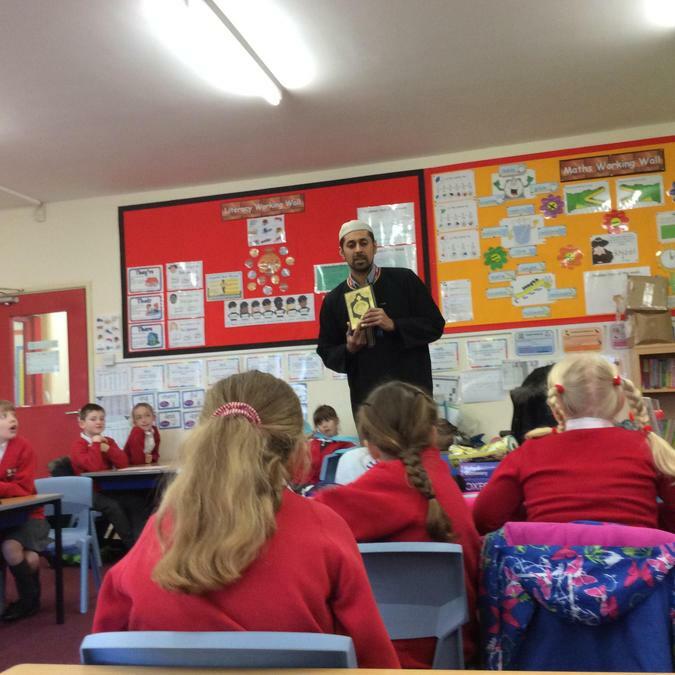 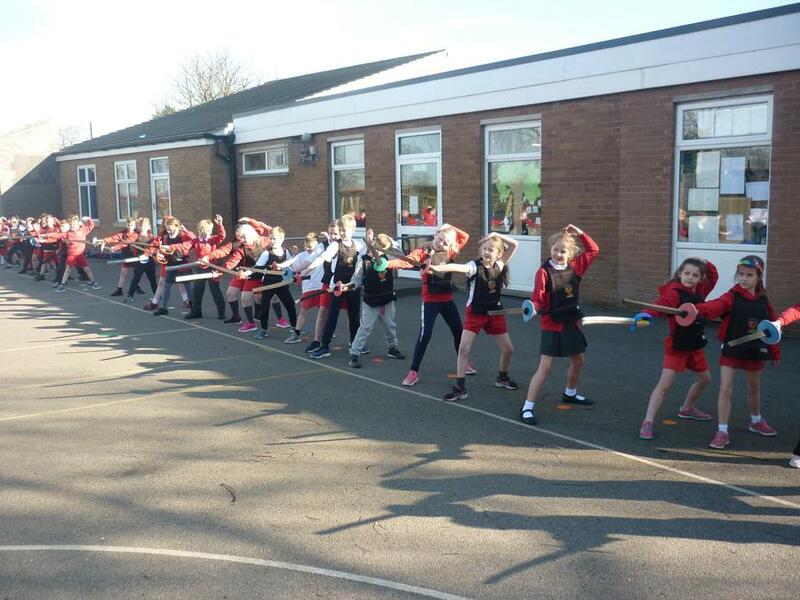 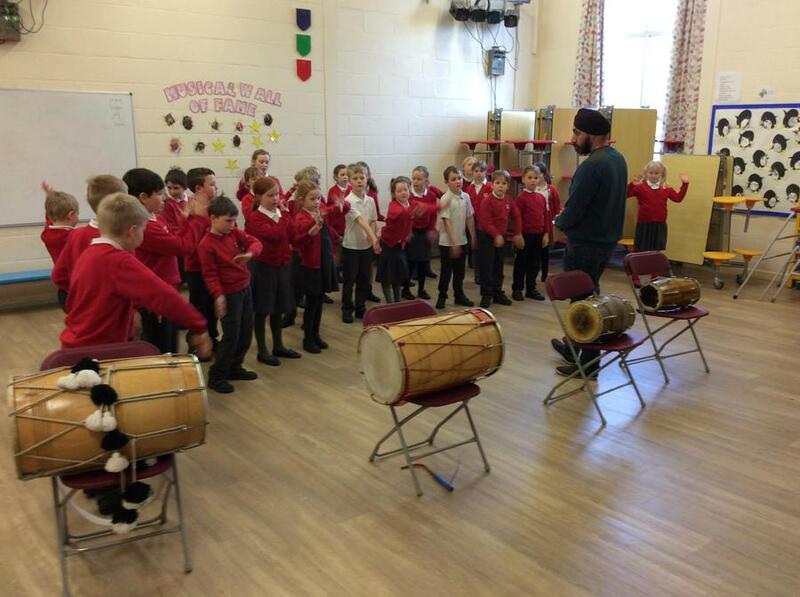 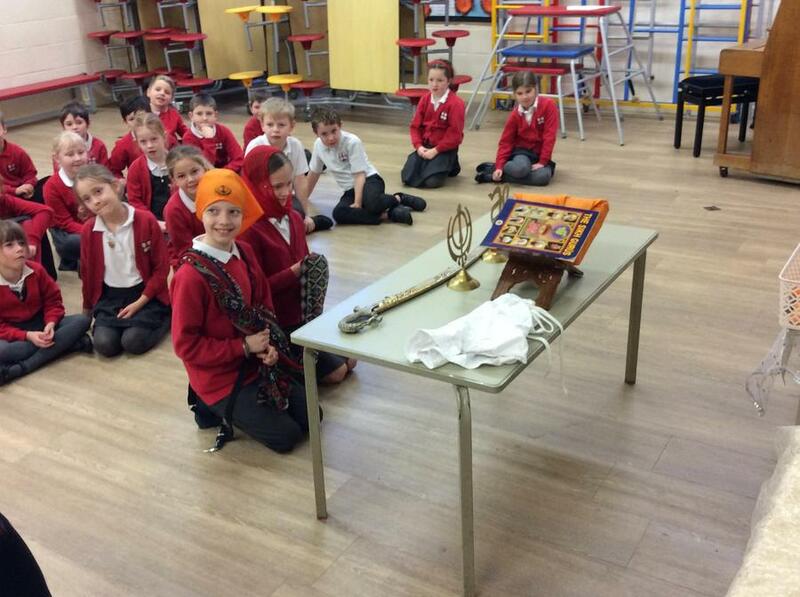 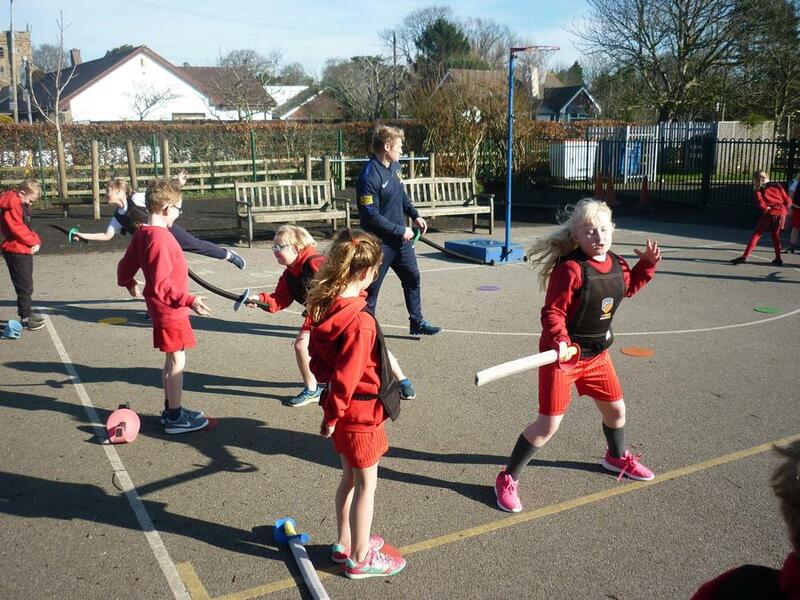 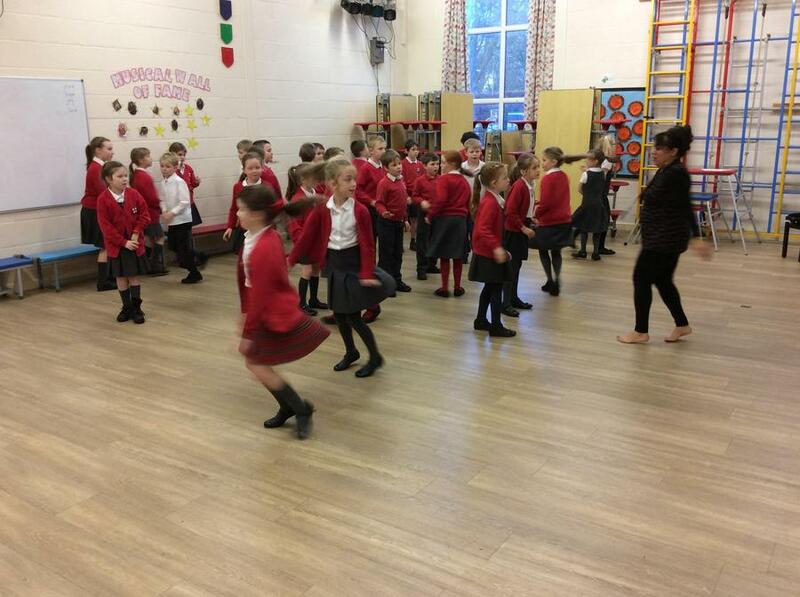 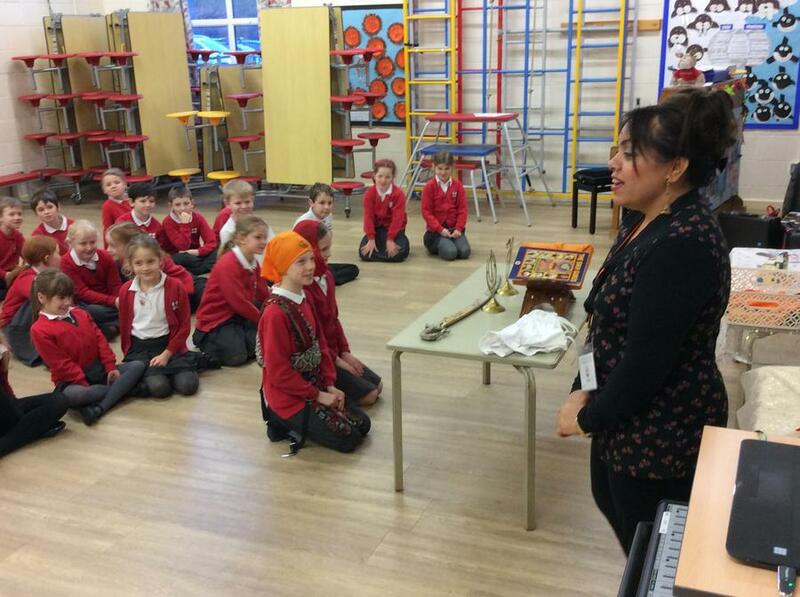 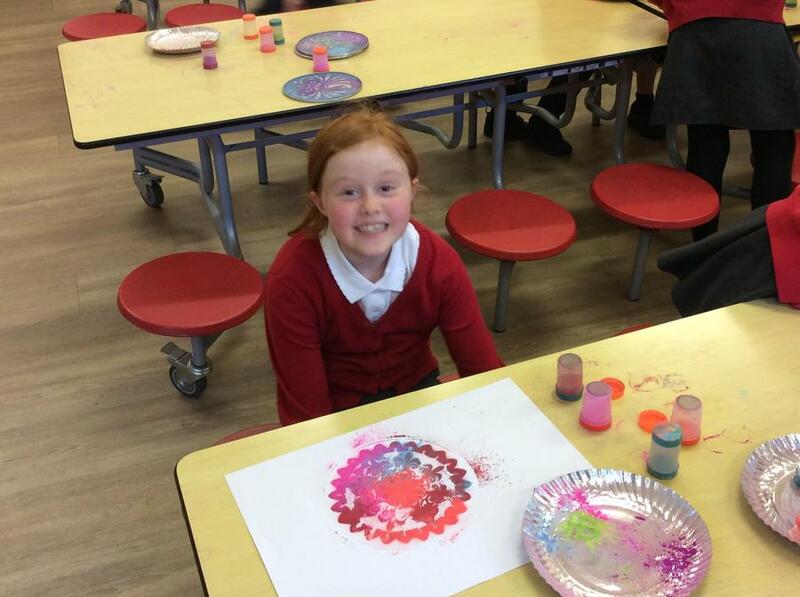 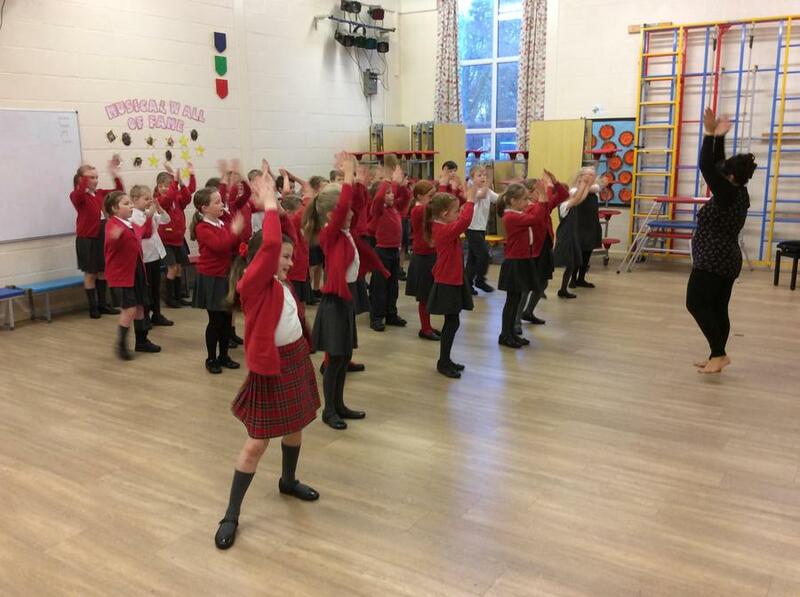 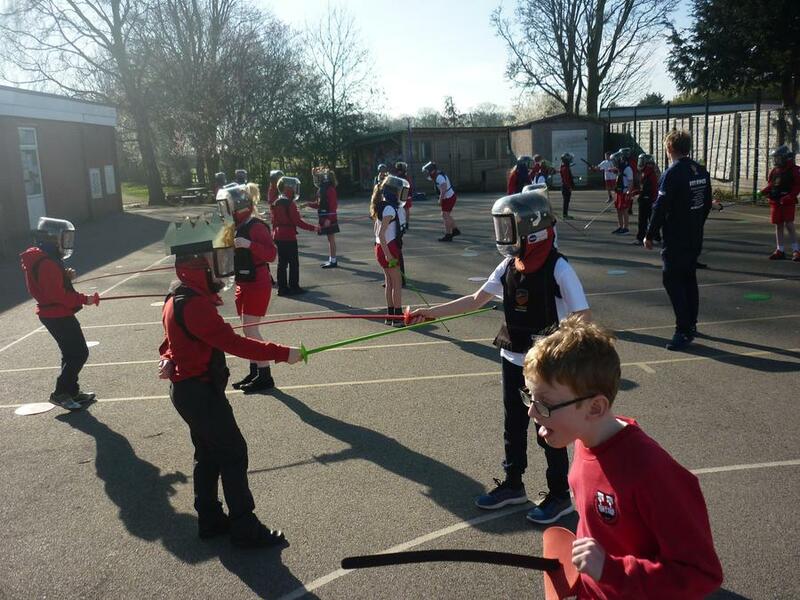 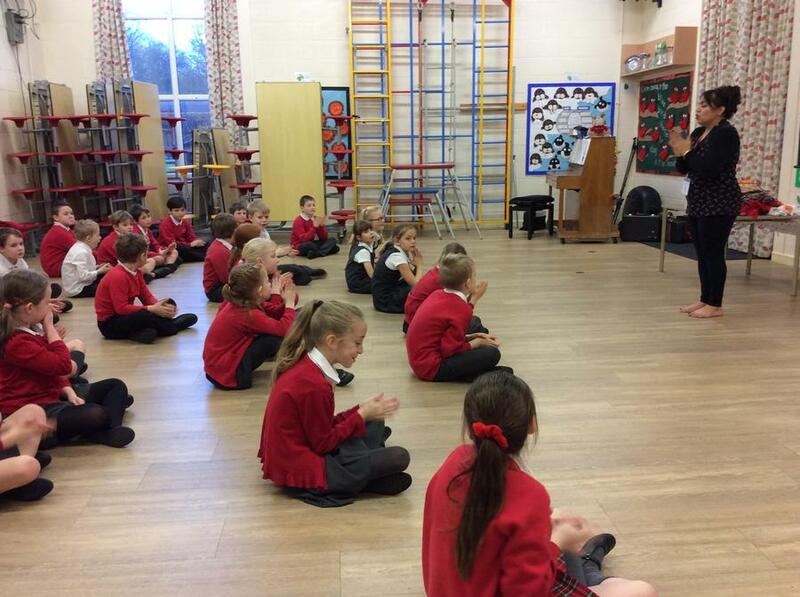 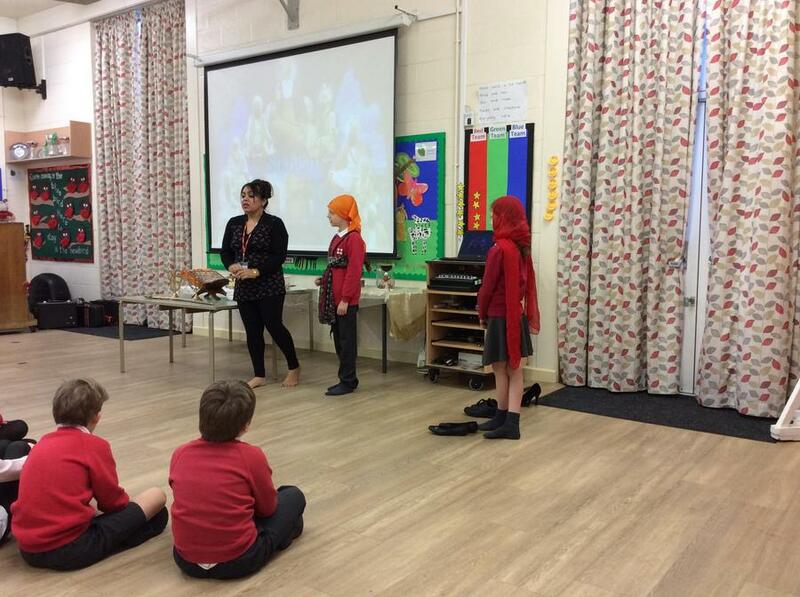 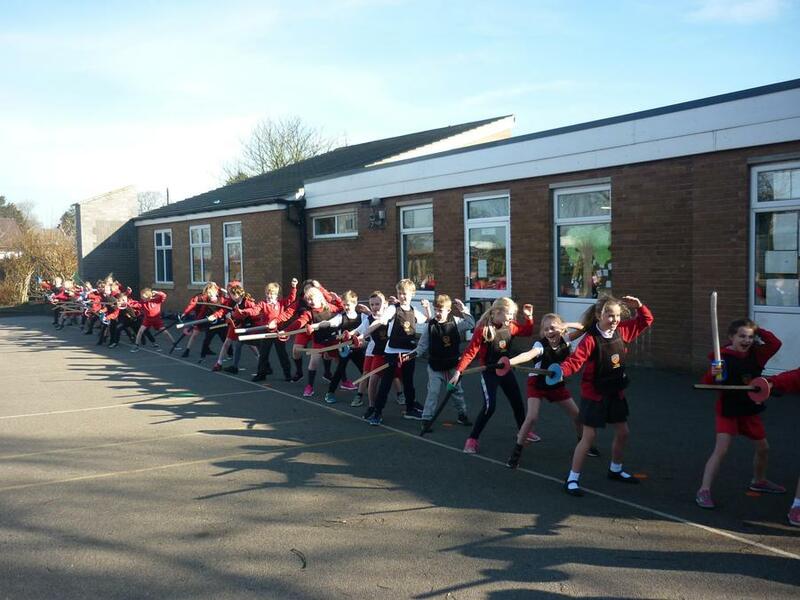 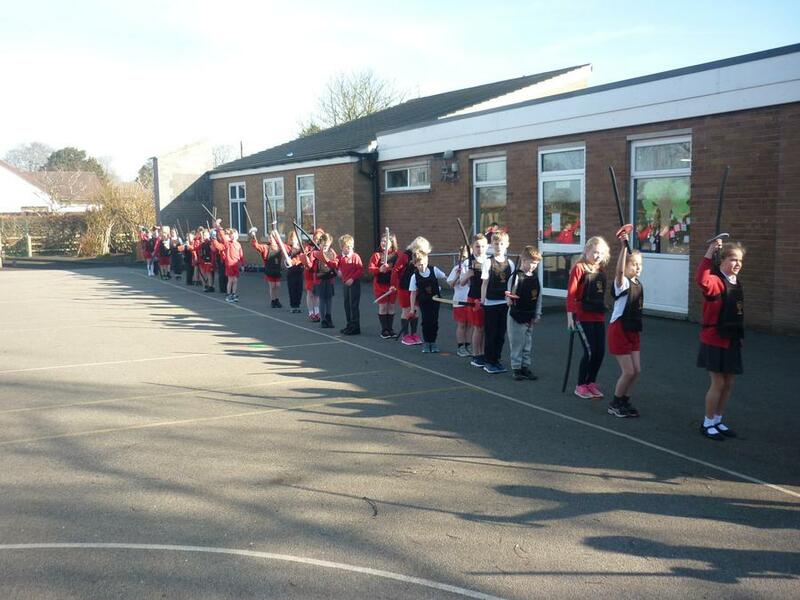 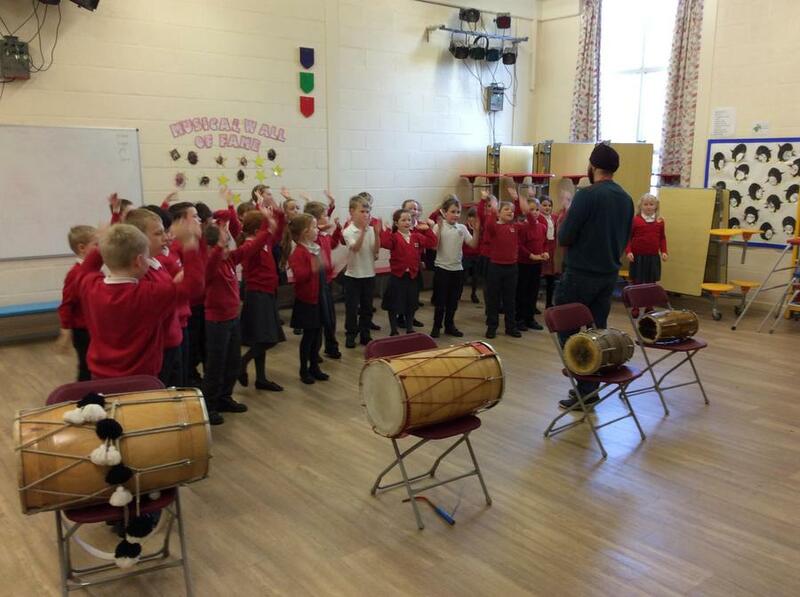 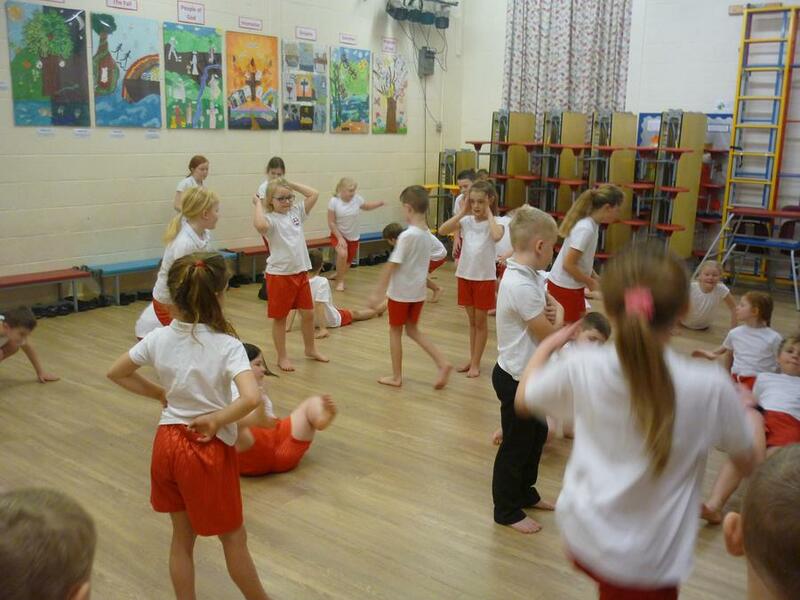 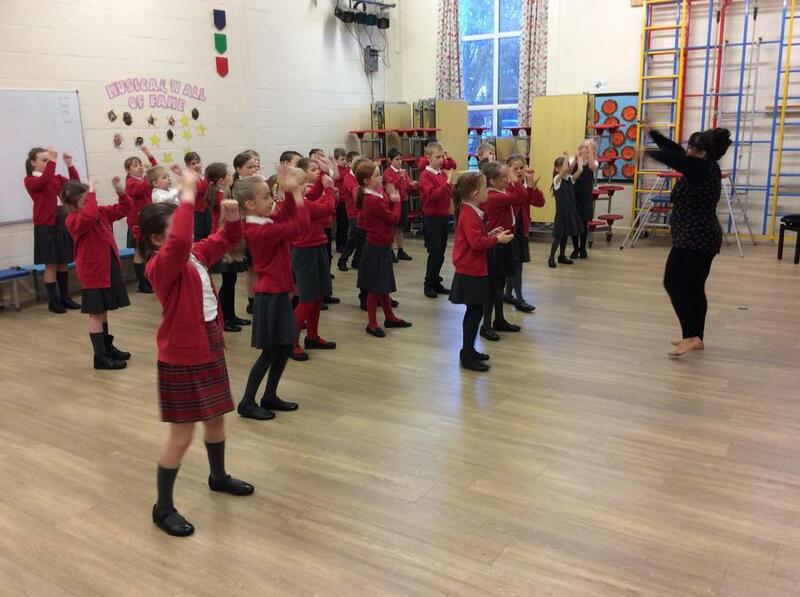 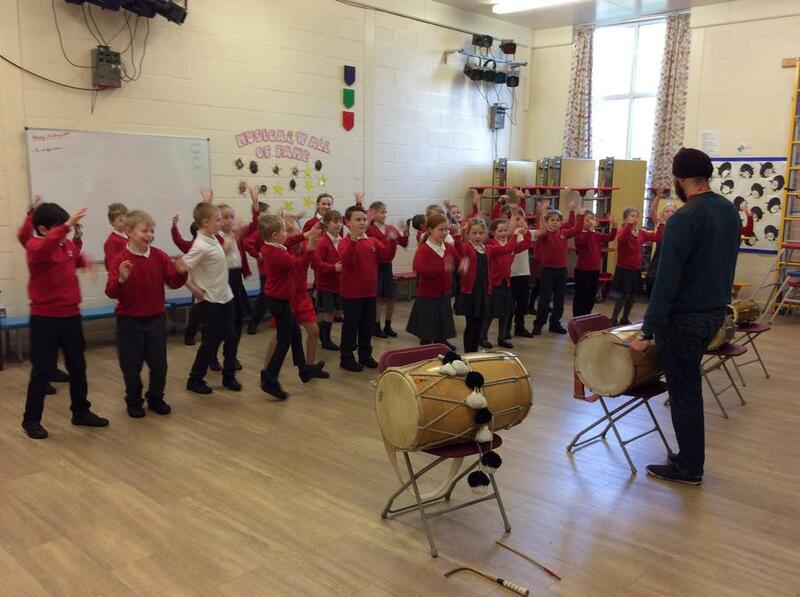 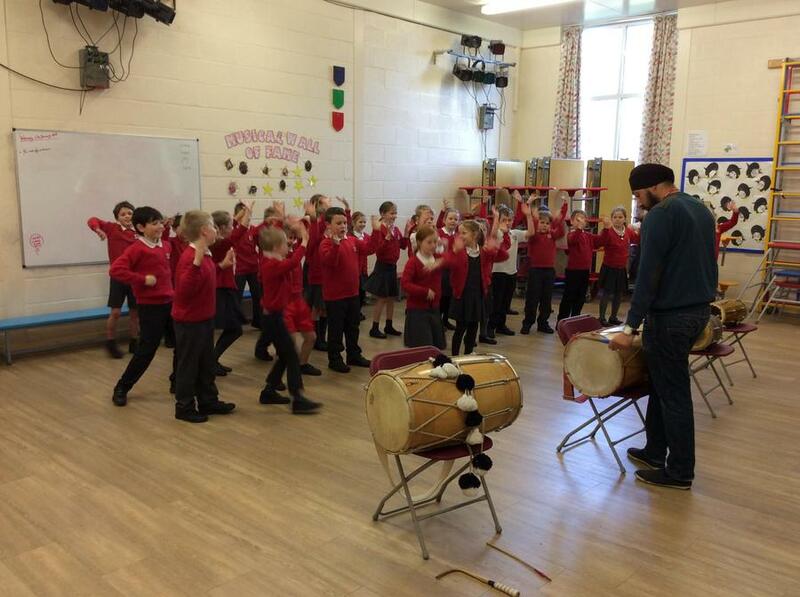 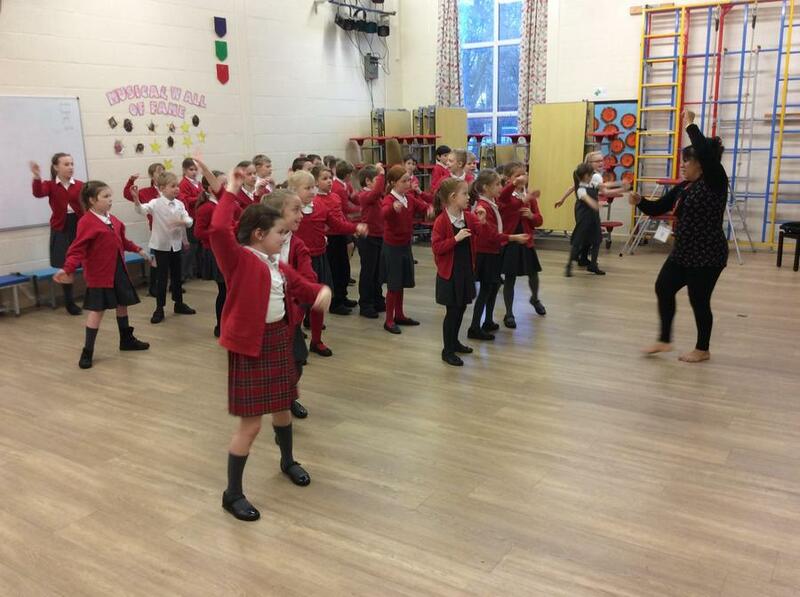 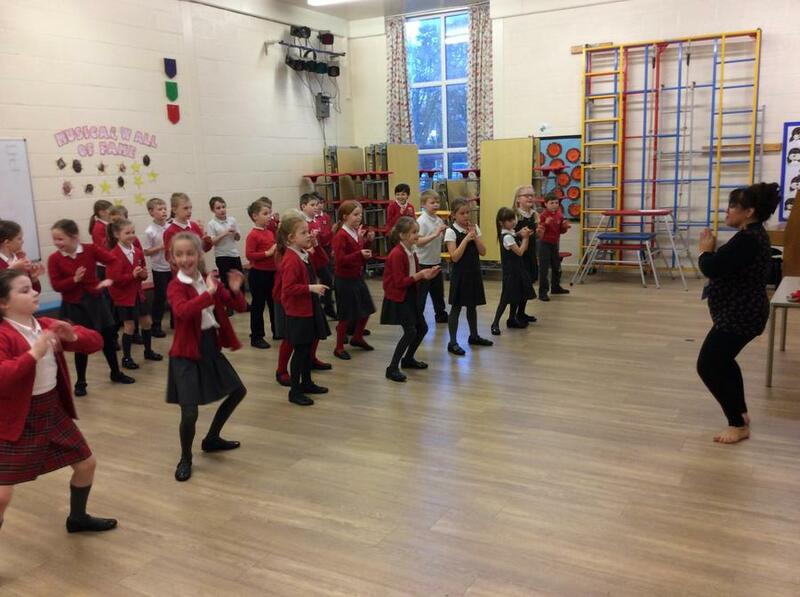 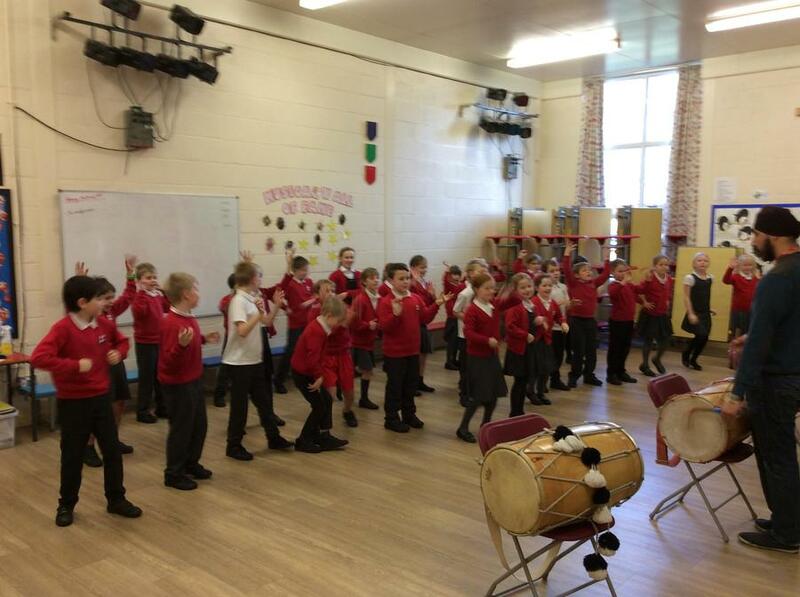 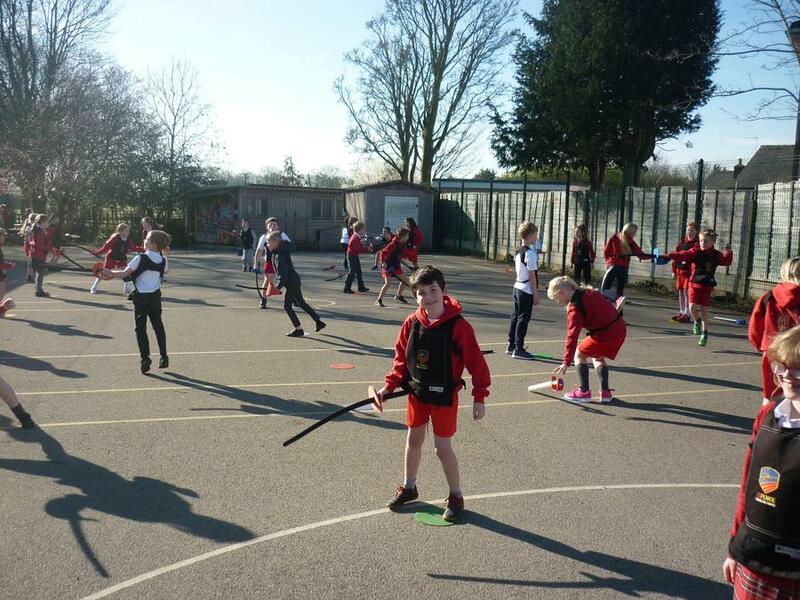 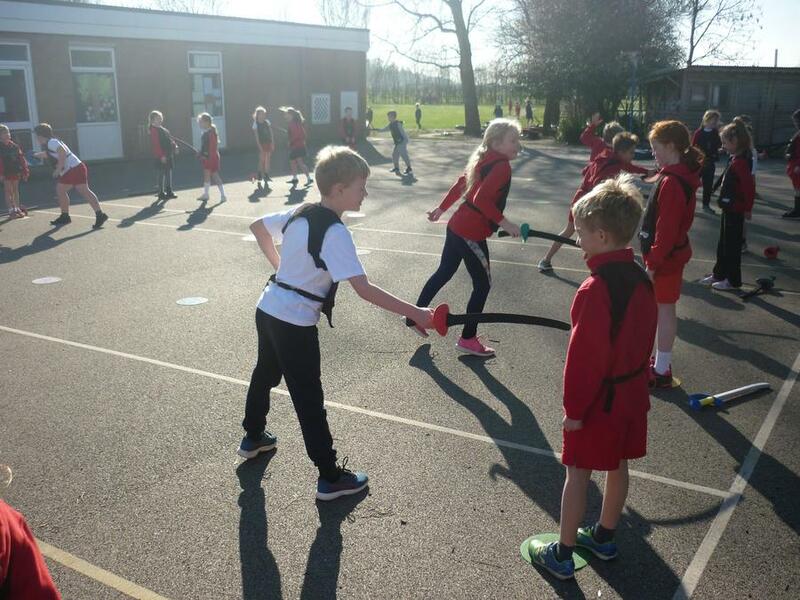 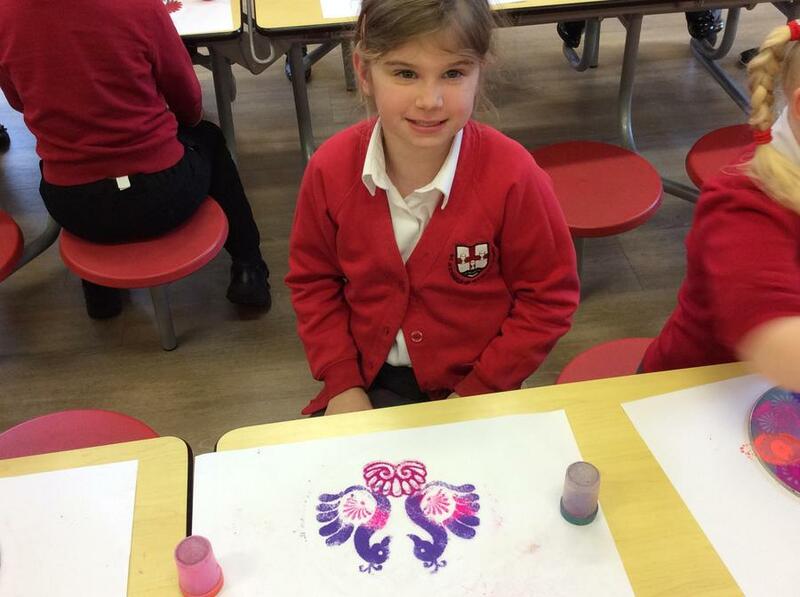 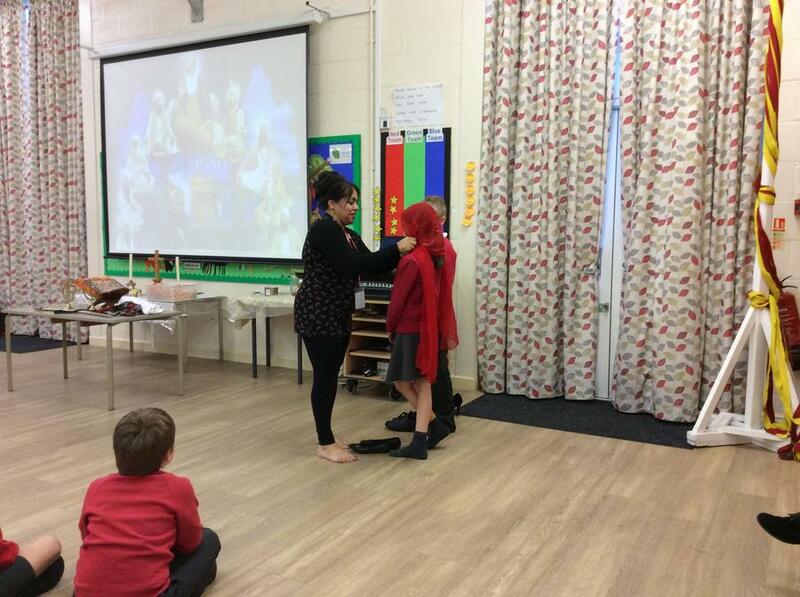 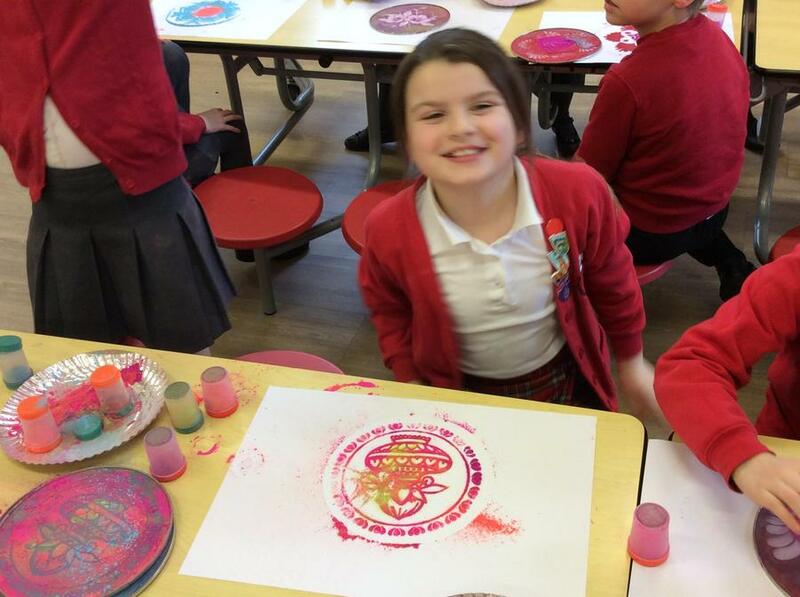 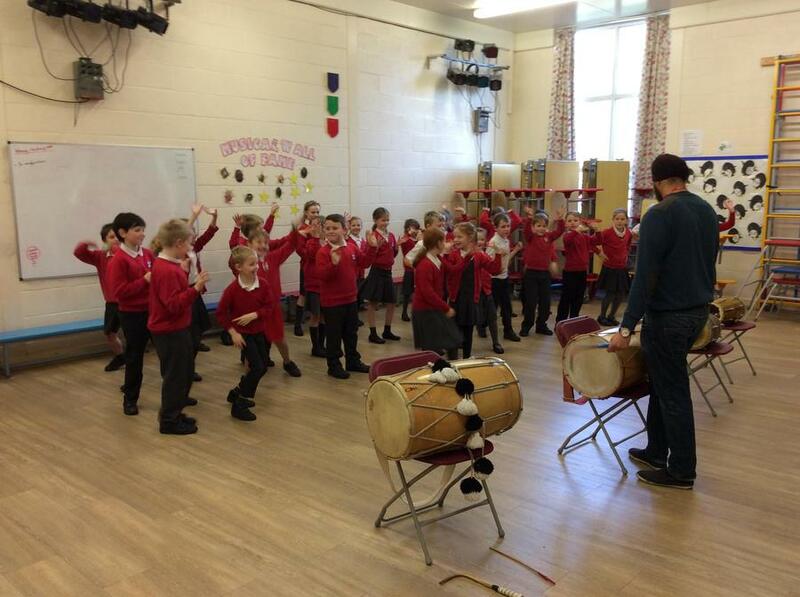 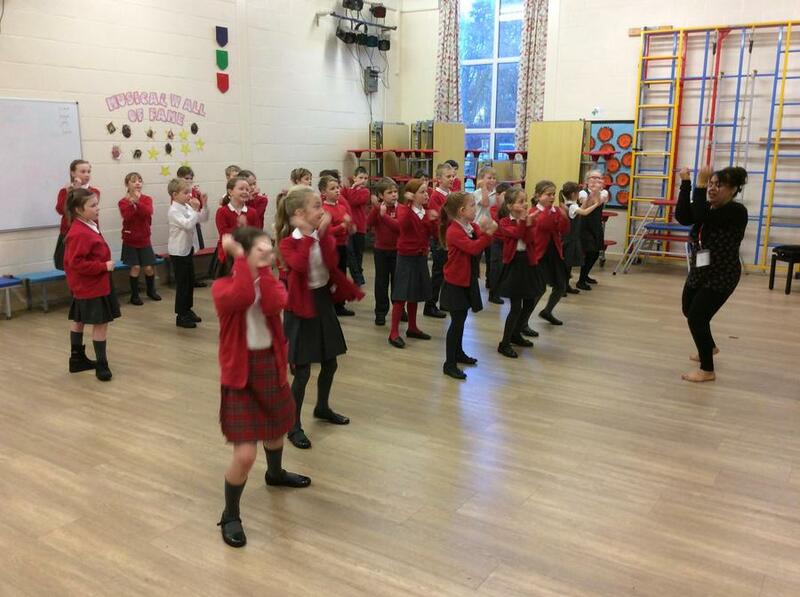 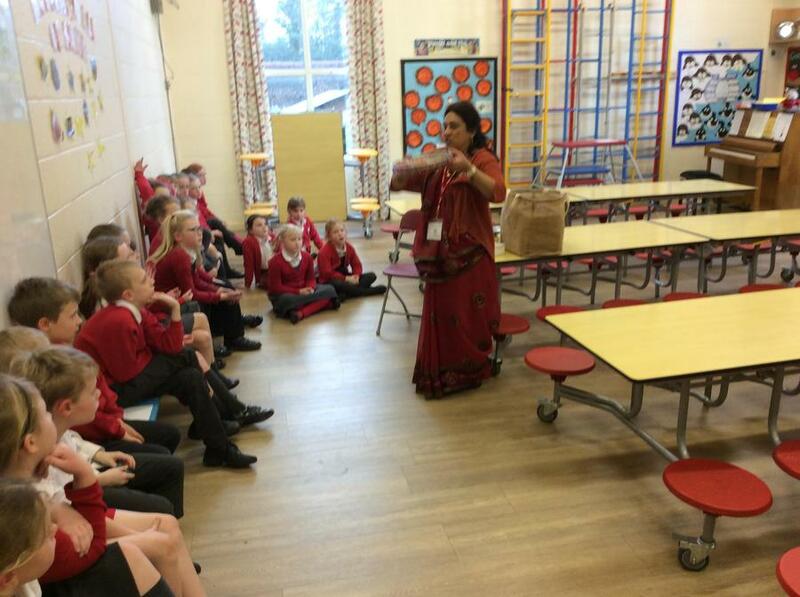 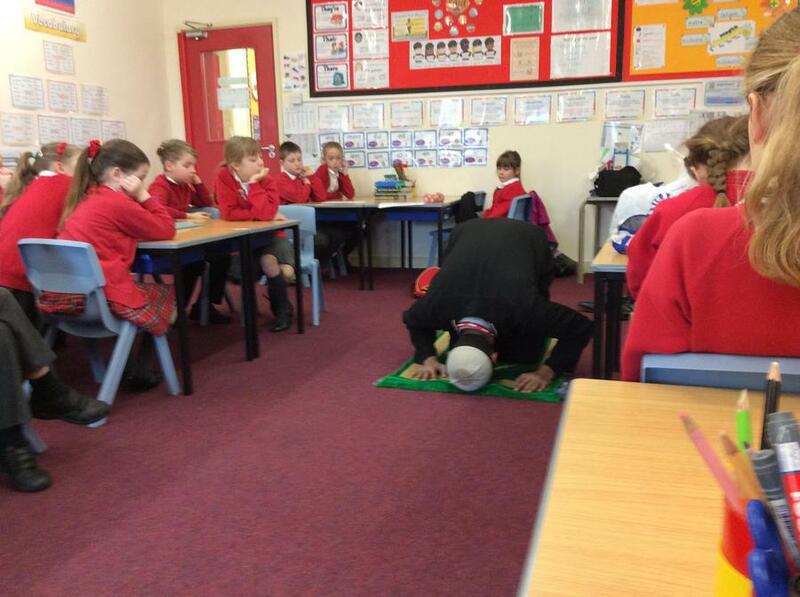 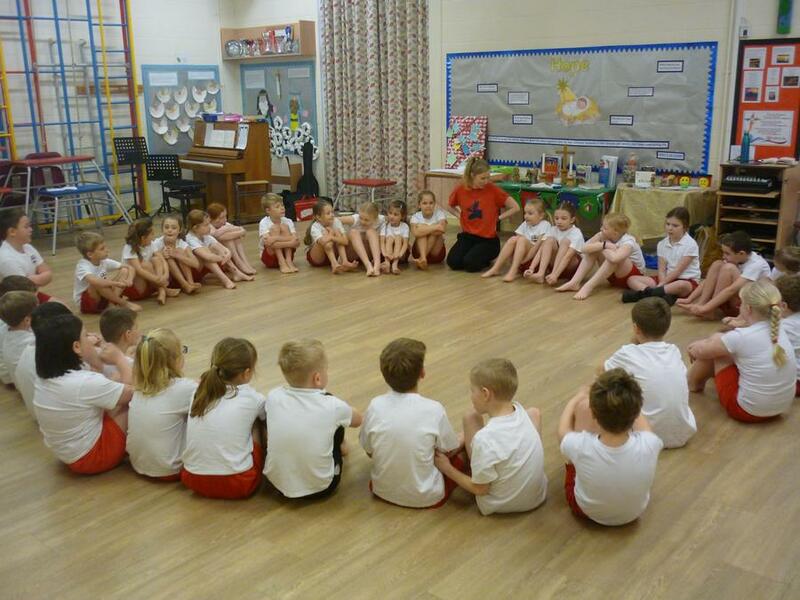 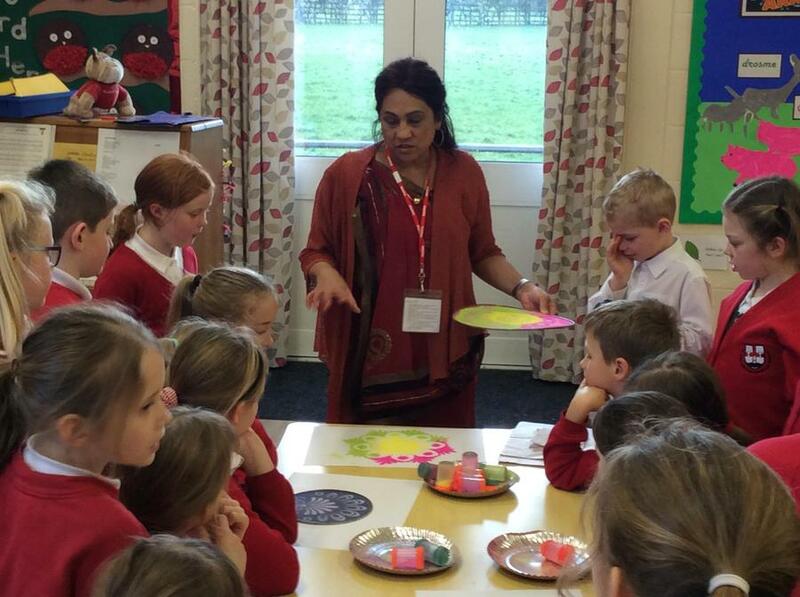 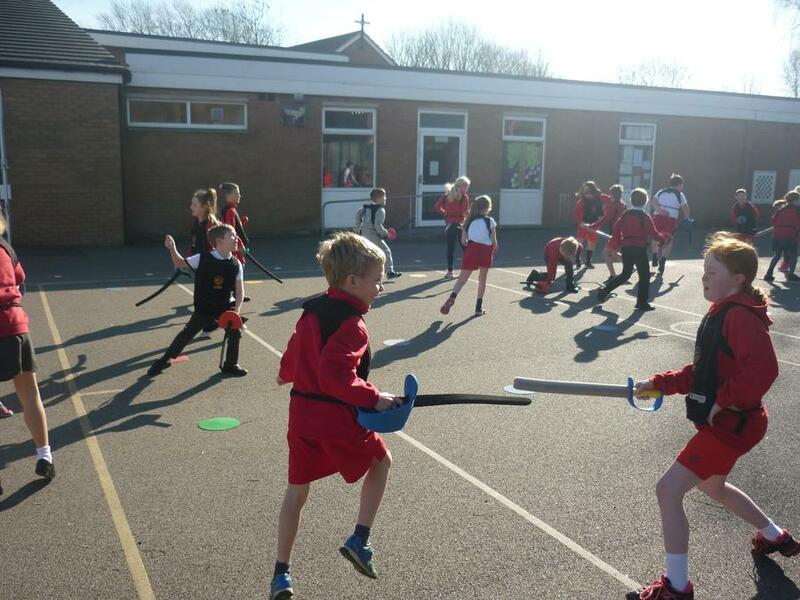 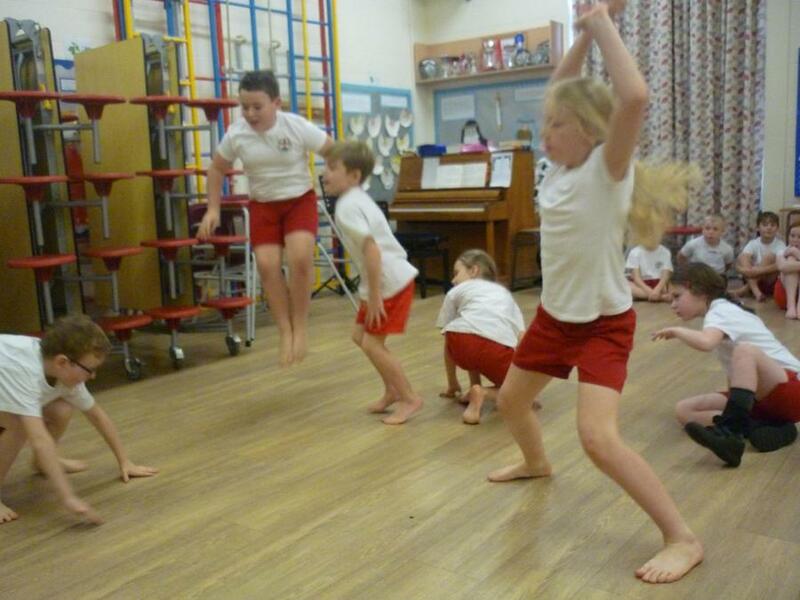 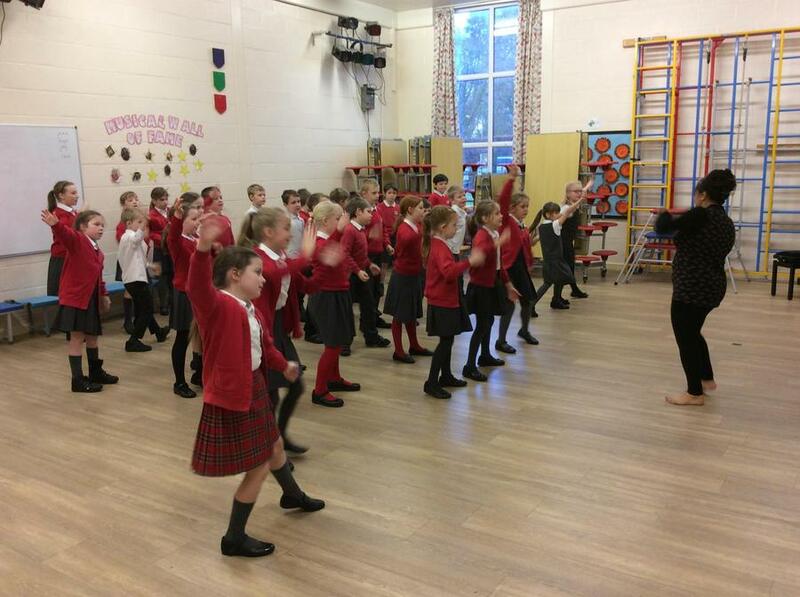 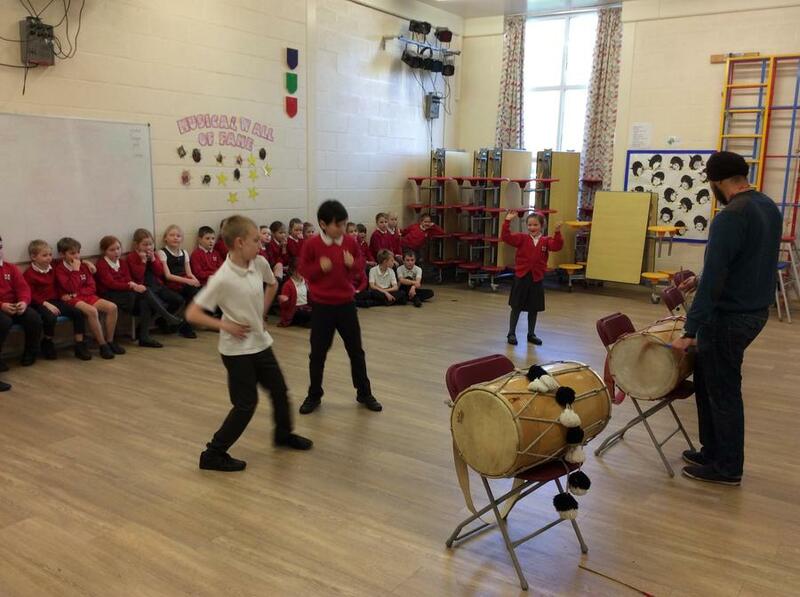 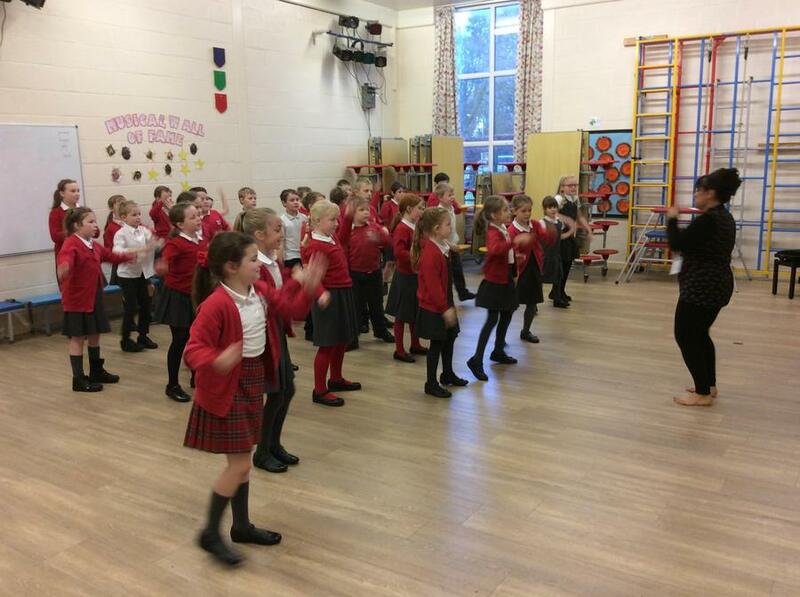 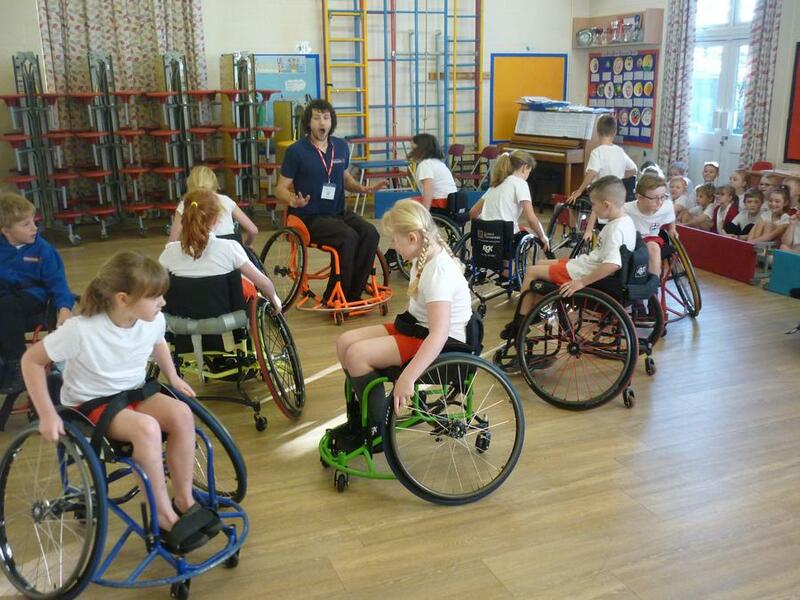 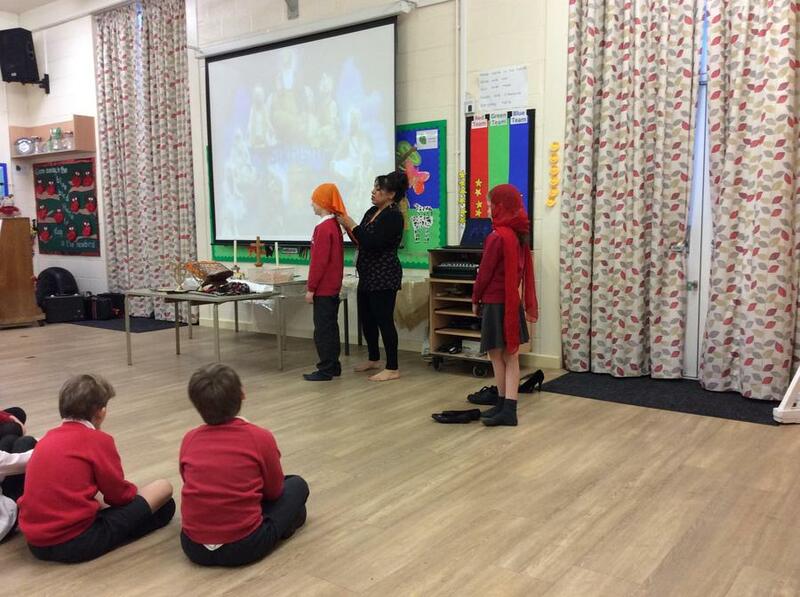 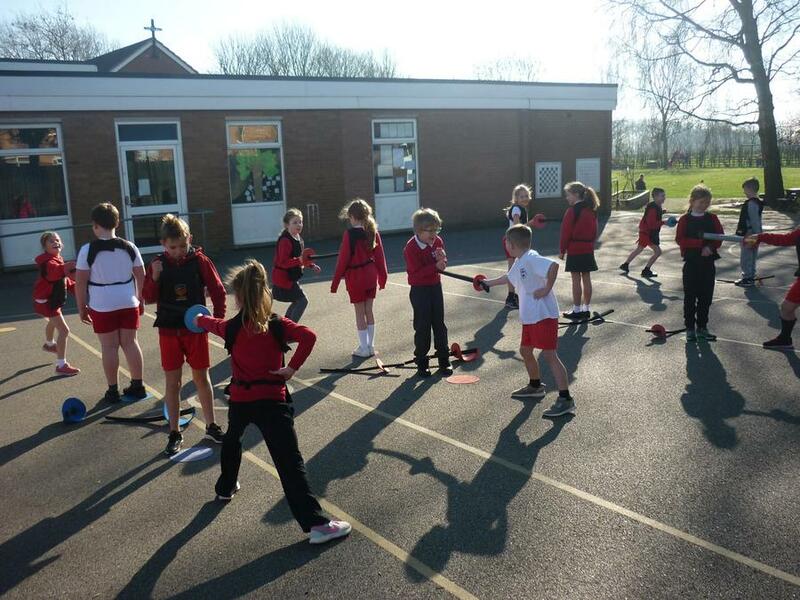 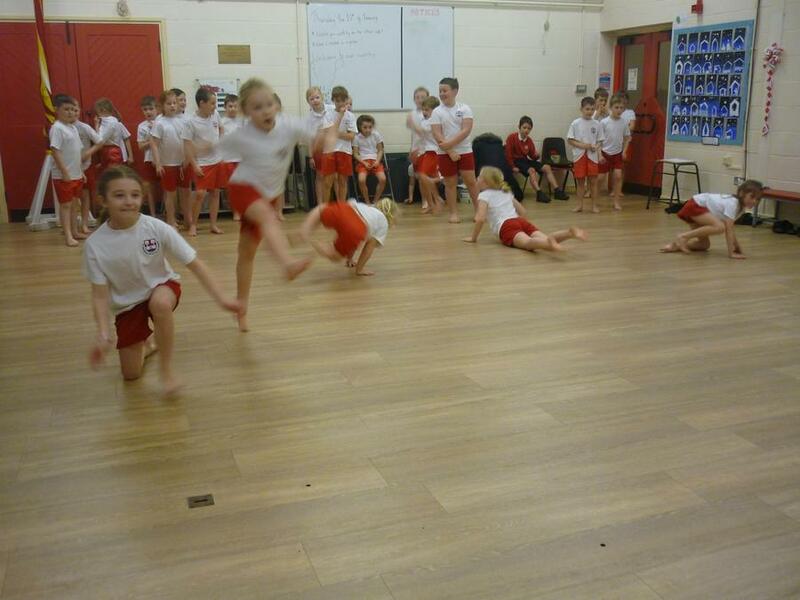 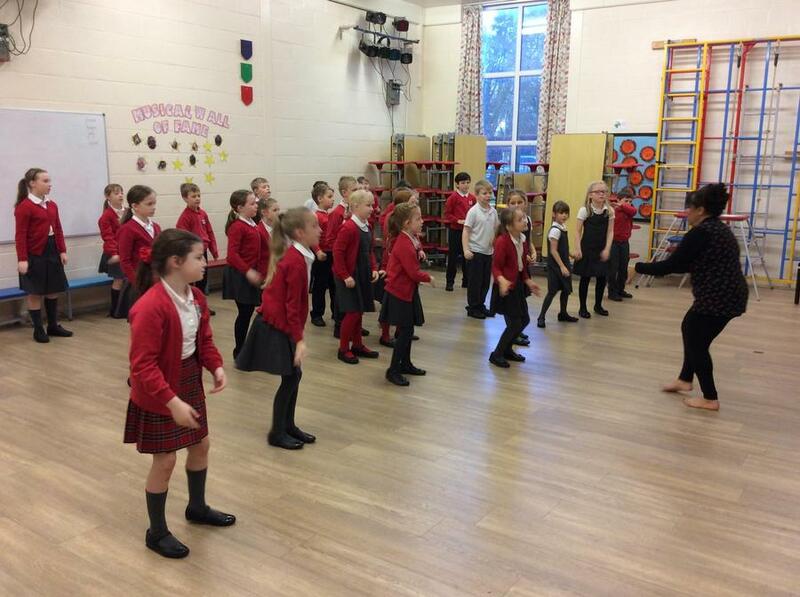 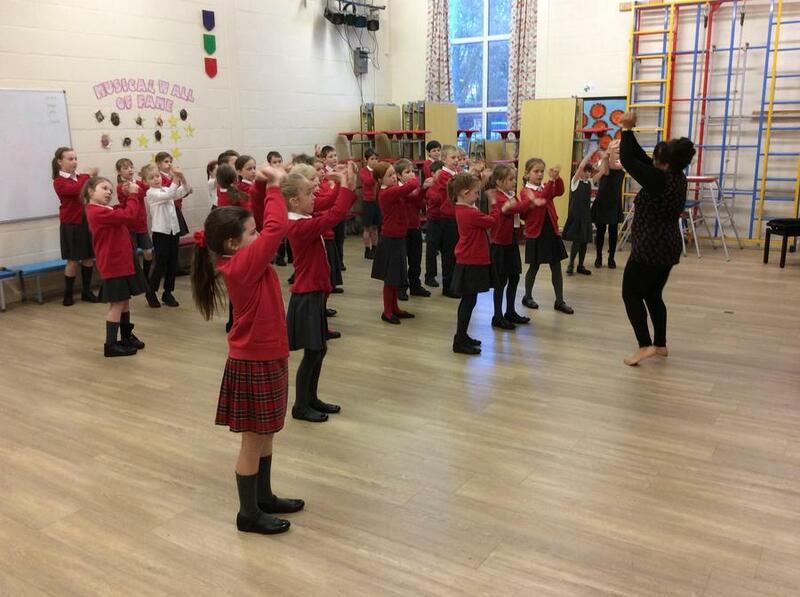 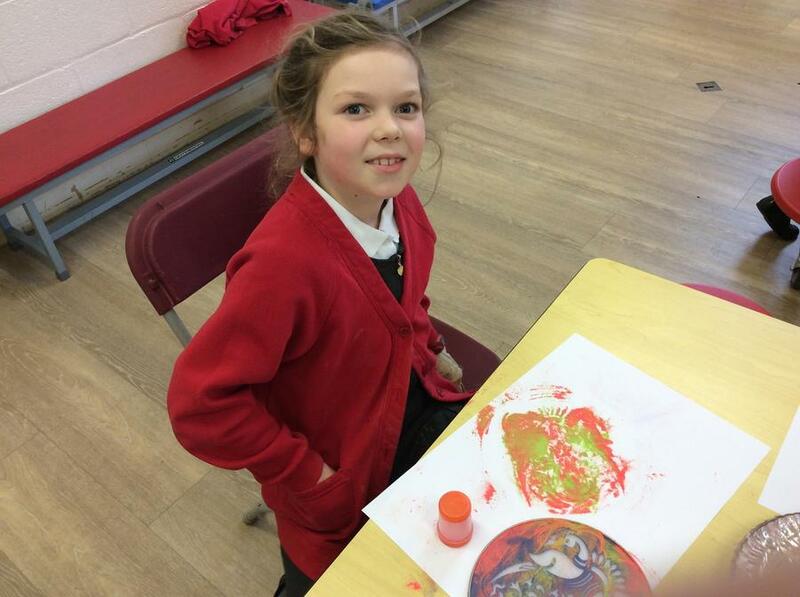 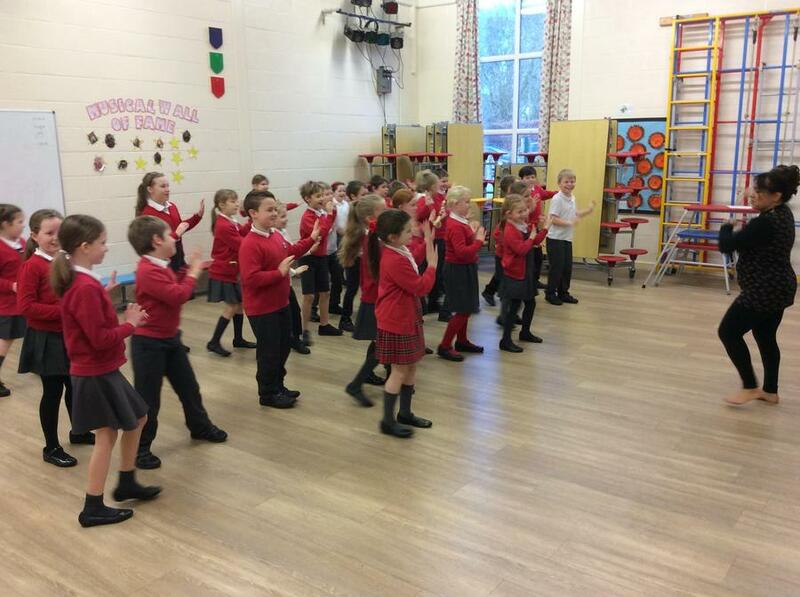 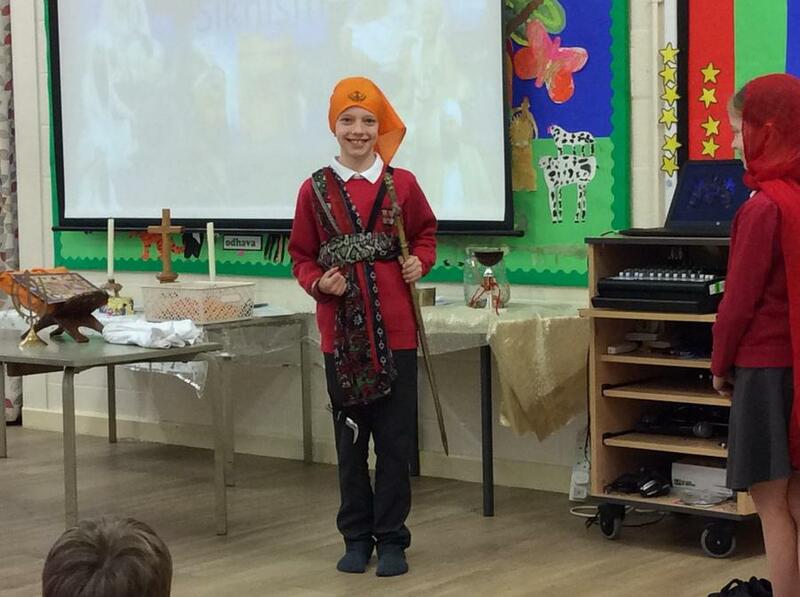 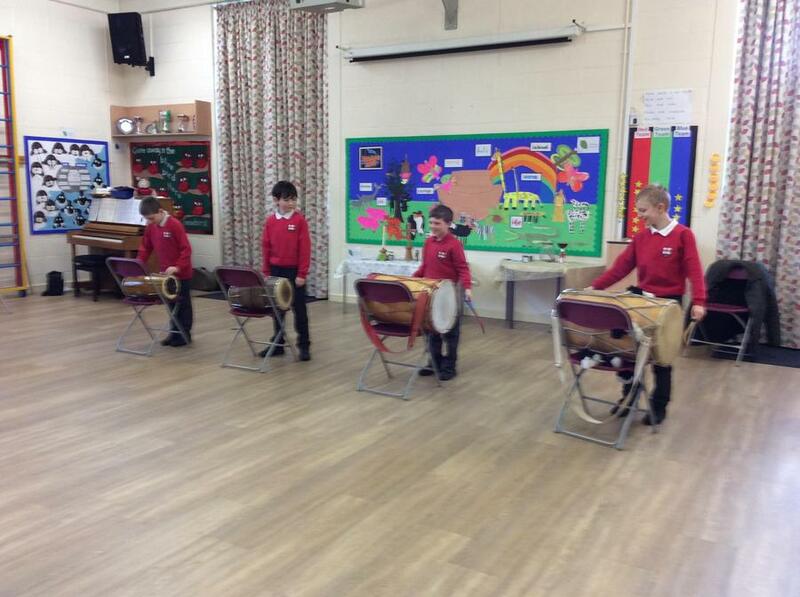 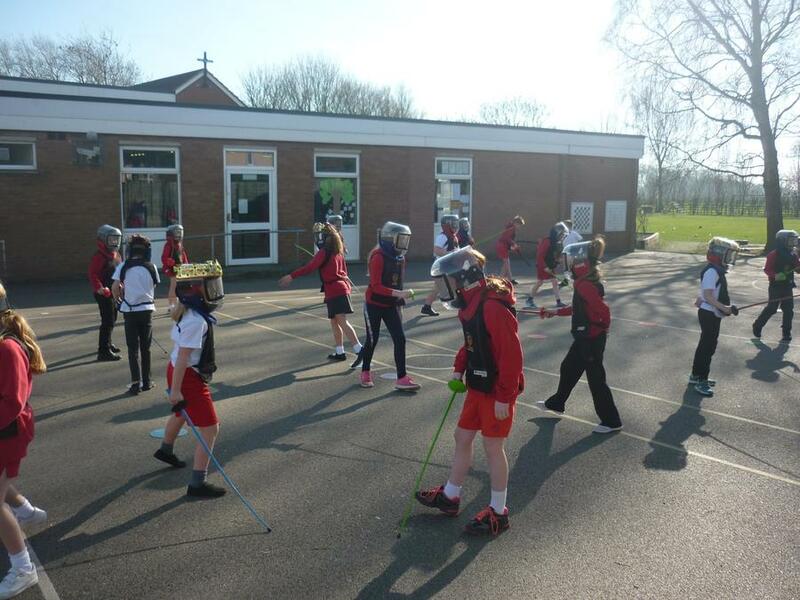 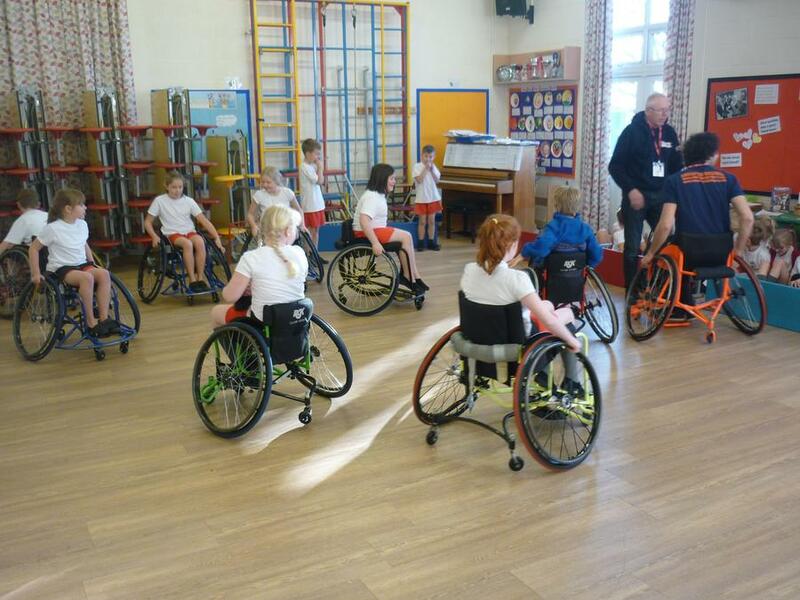 The children had a great time during Multi-Faith week, learning all about different cultures and religions. 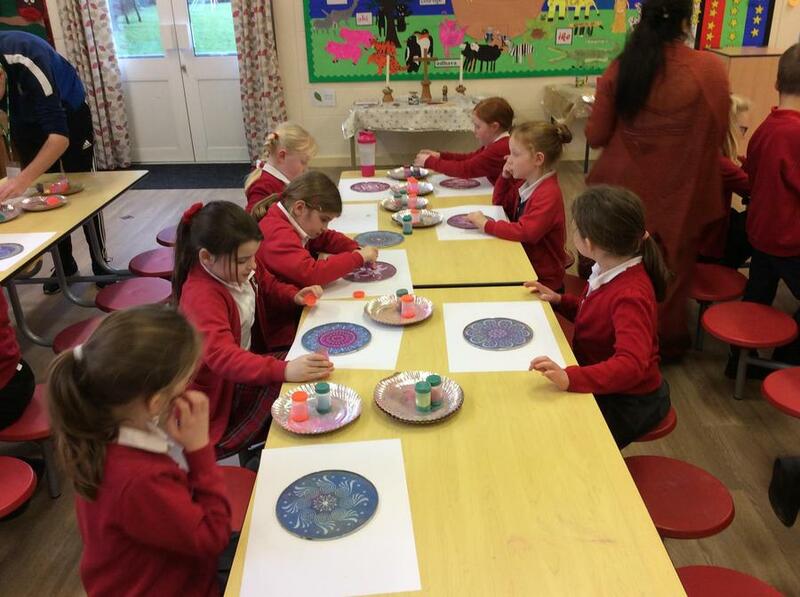 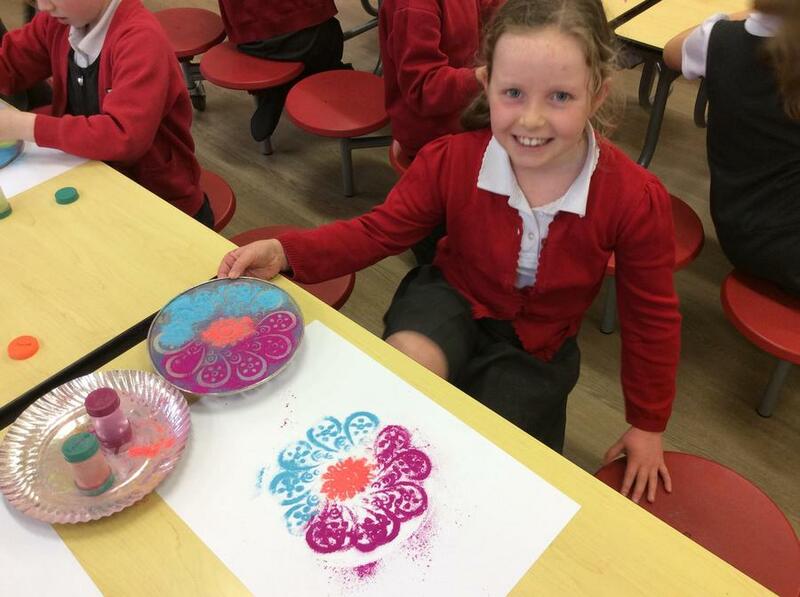 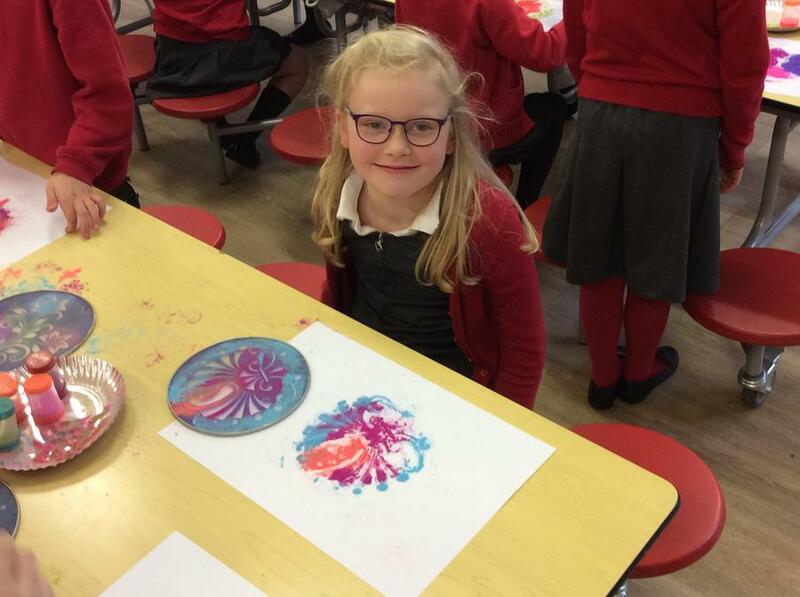 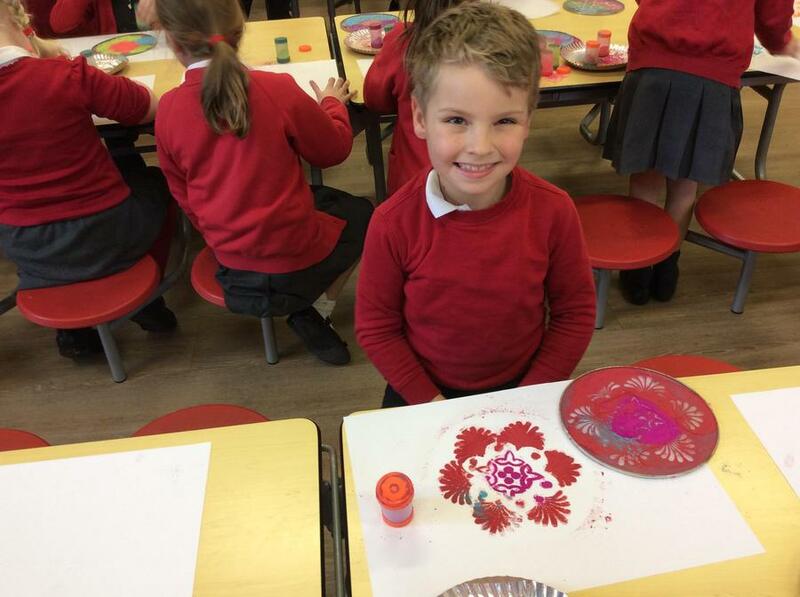 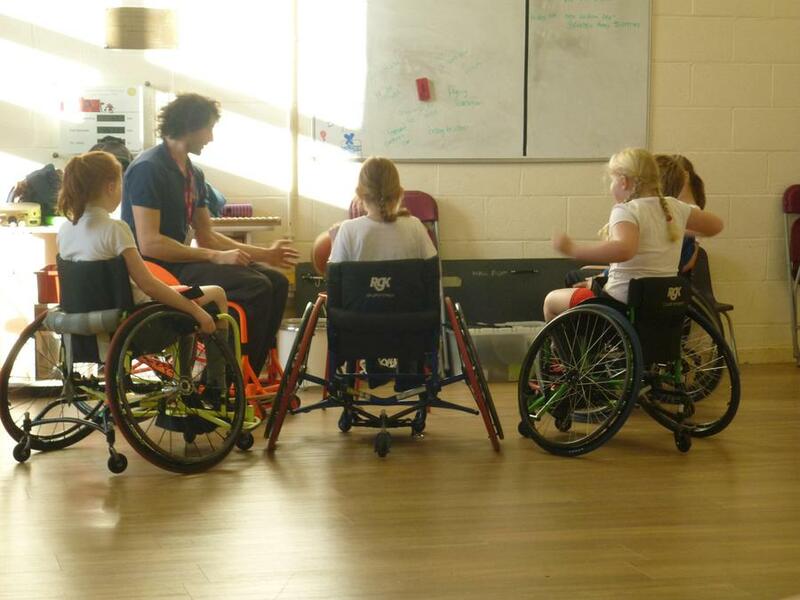 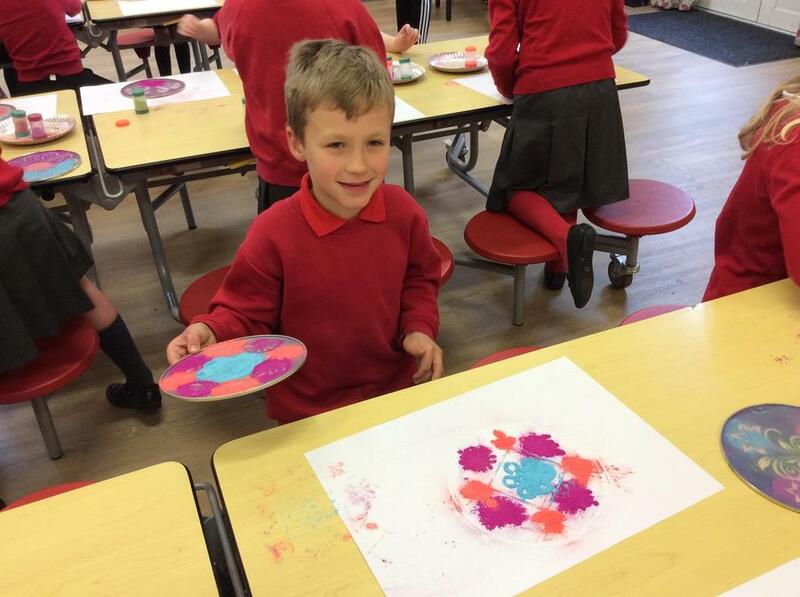 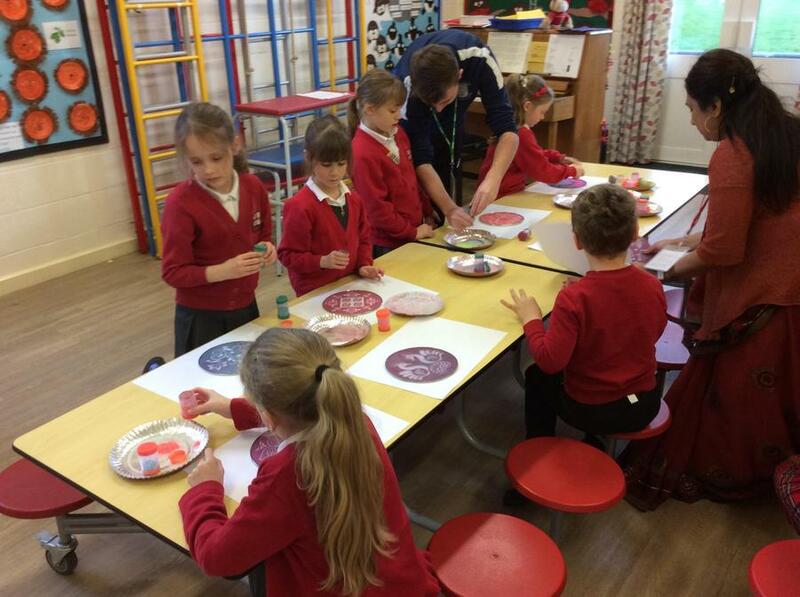 They learnt all about Muslim prayers and writing, learnt how to do Indian drumming, how Sikhs dance and are married and finally, learning how to create Rangoli patterns. 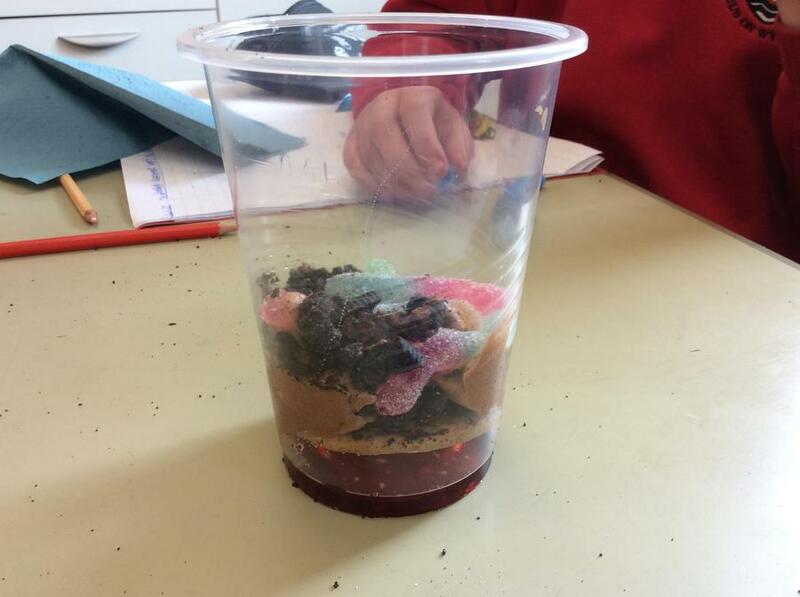 We used different food to represent the different layers of soil that are underneath our feet. 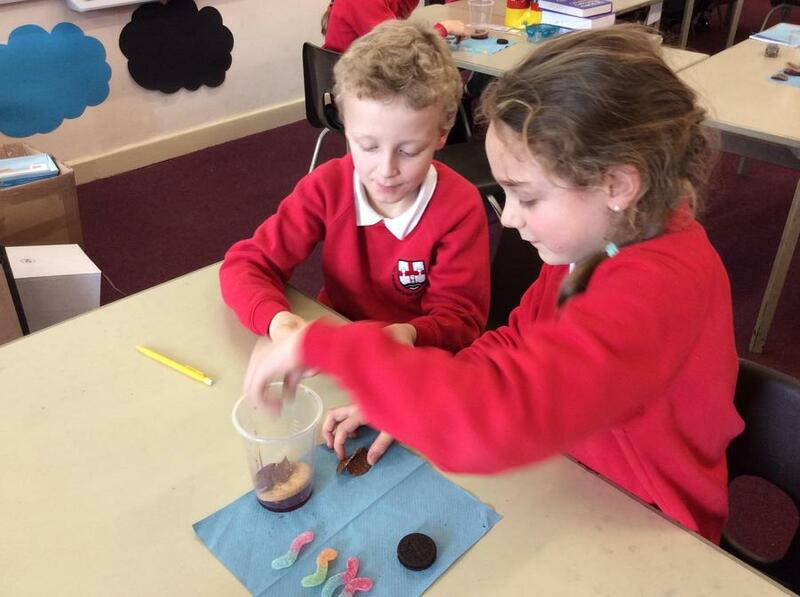 We started with strawberry ice cream sauce to represent the magma, followed by a digestive biscuit to represent the Earth's crust. 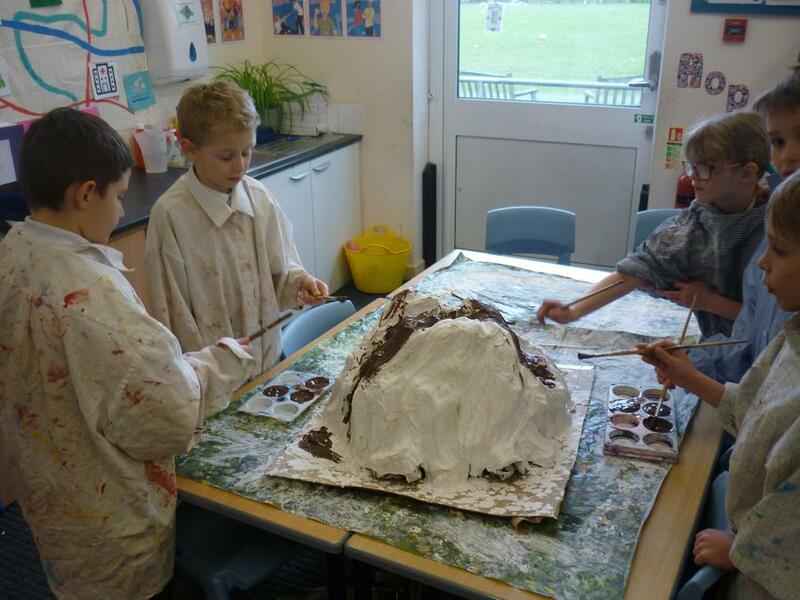 After that we put some broken up chocolate crisps to represent the bedrock with chocolate angel delight placed on top to represent the rocky soil. 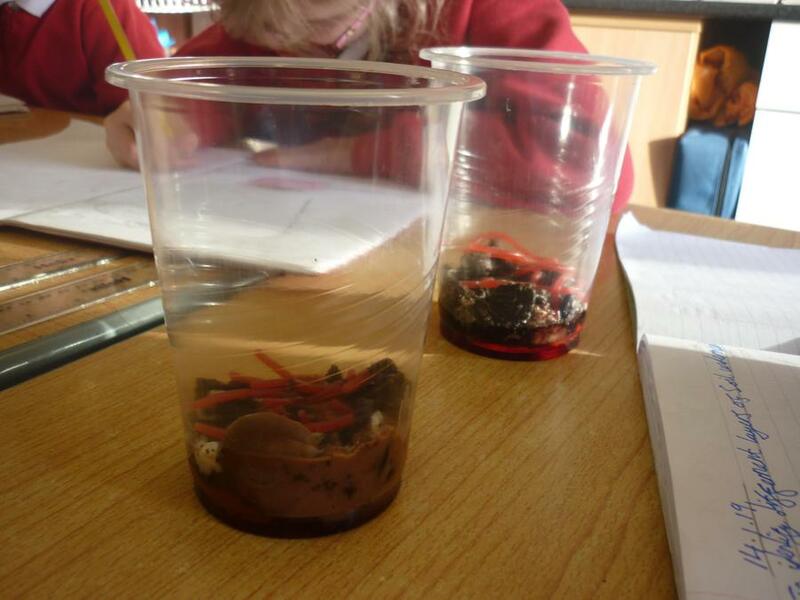 Finally we finely crumbled some oreo biscuits for the top soil and placed jelly worms in the soil. 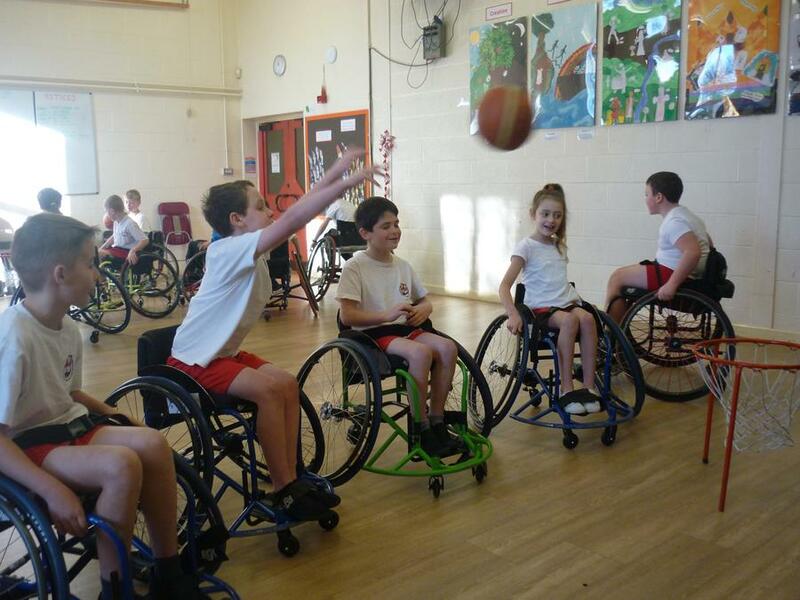 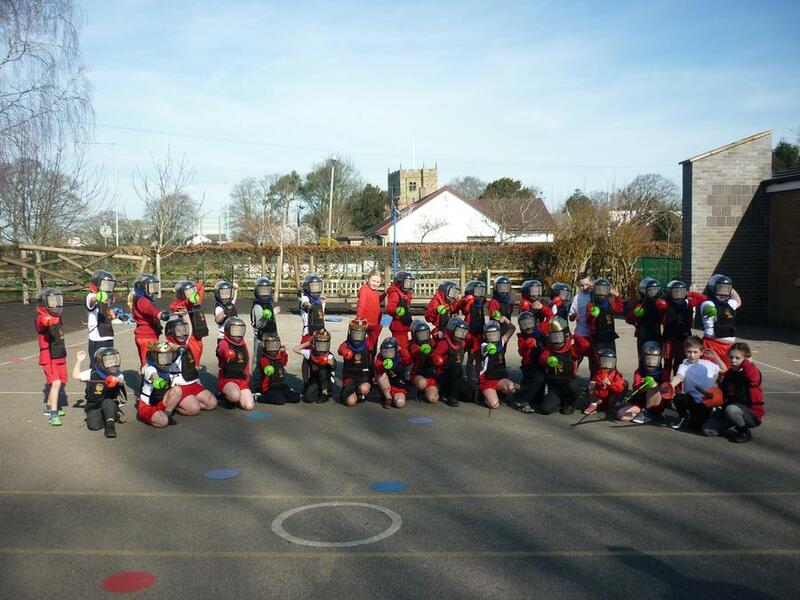 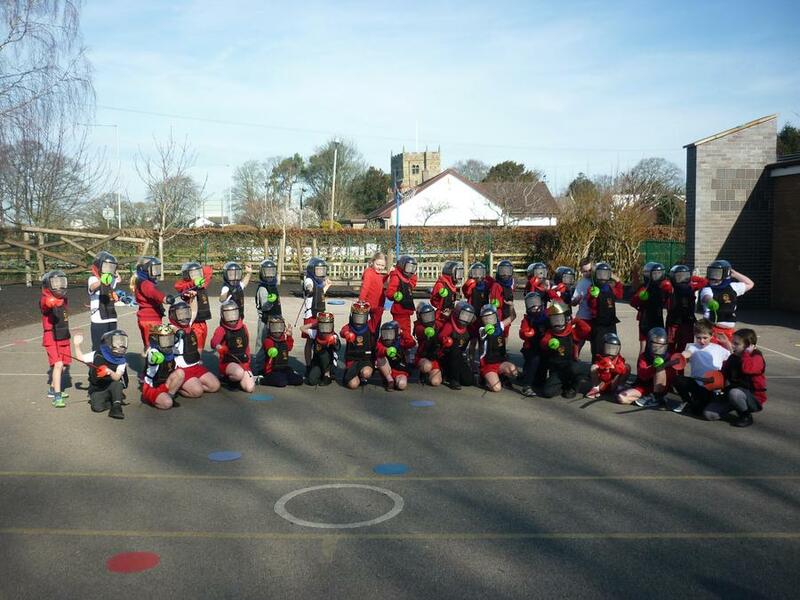 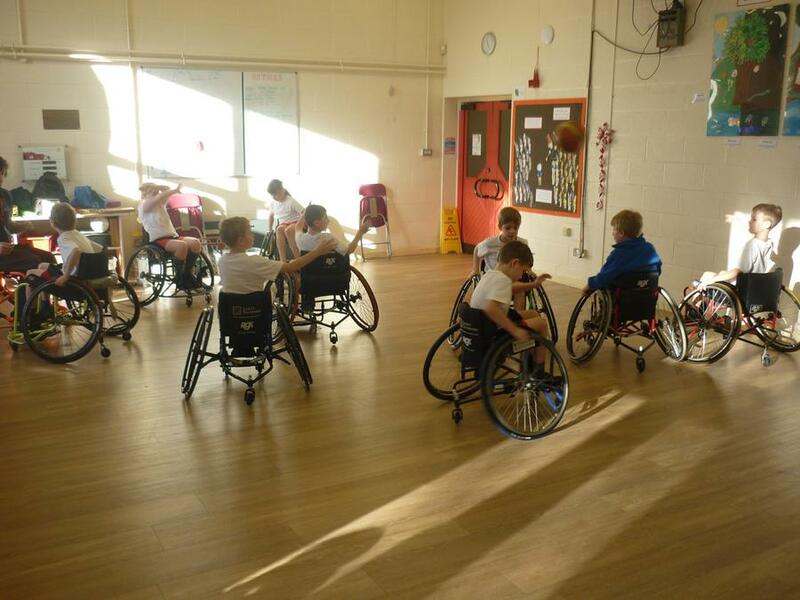 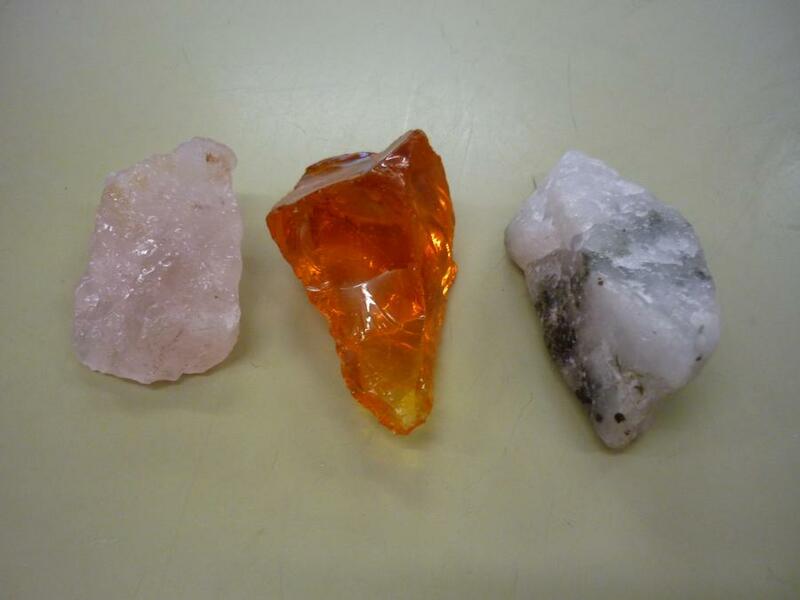 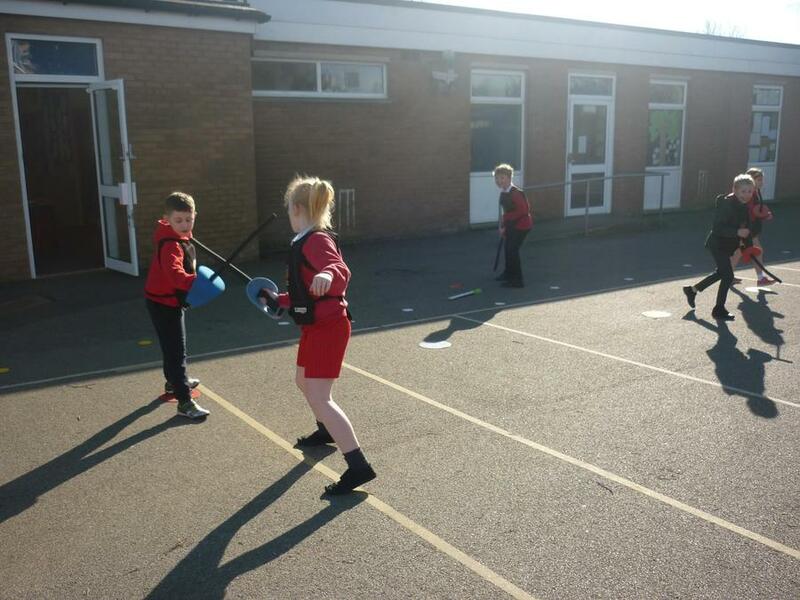 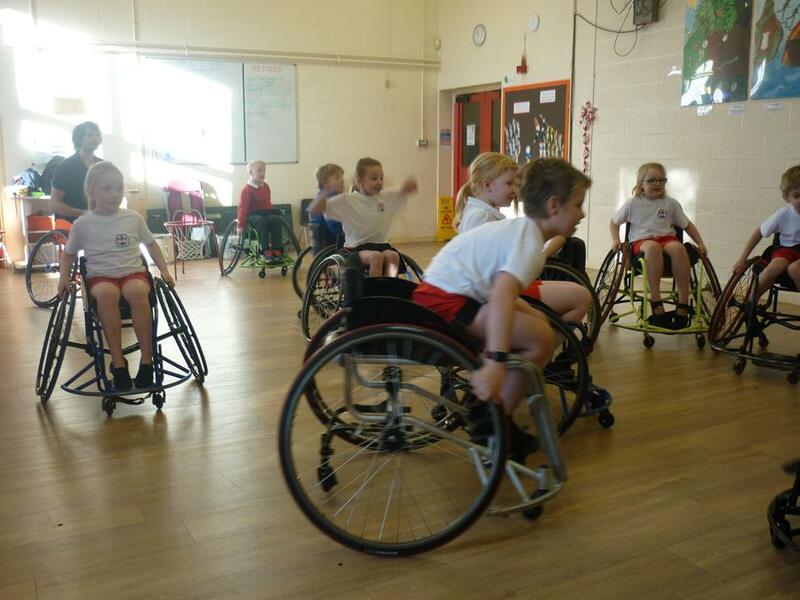 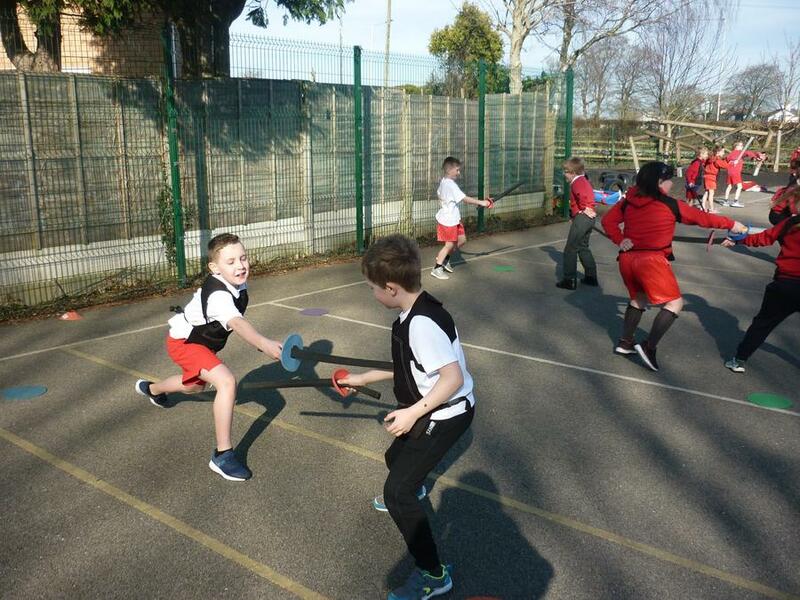 We had a rock competition in the class where the children were given entry categories and they were given a few weeks to find rocks that they thought would be in with a chance of winning the competition. 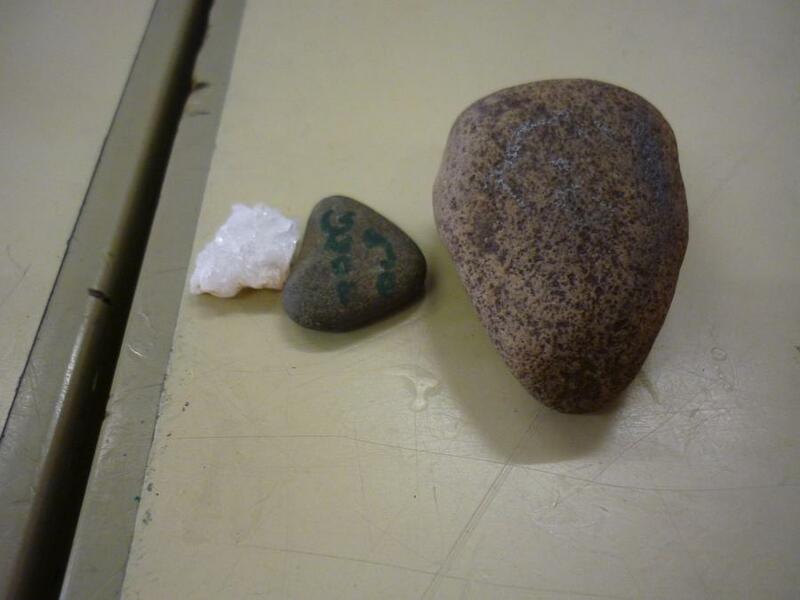 We judged the rocks in groups and we established a first, second and third place rock. 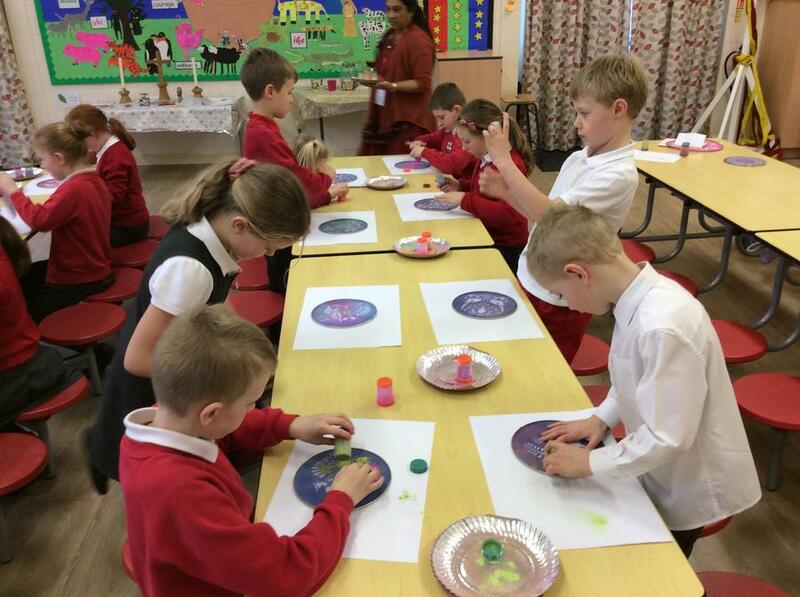 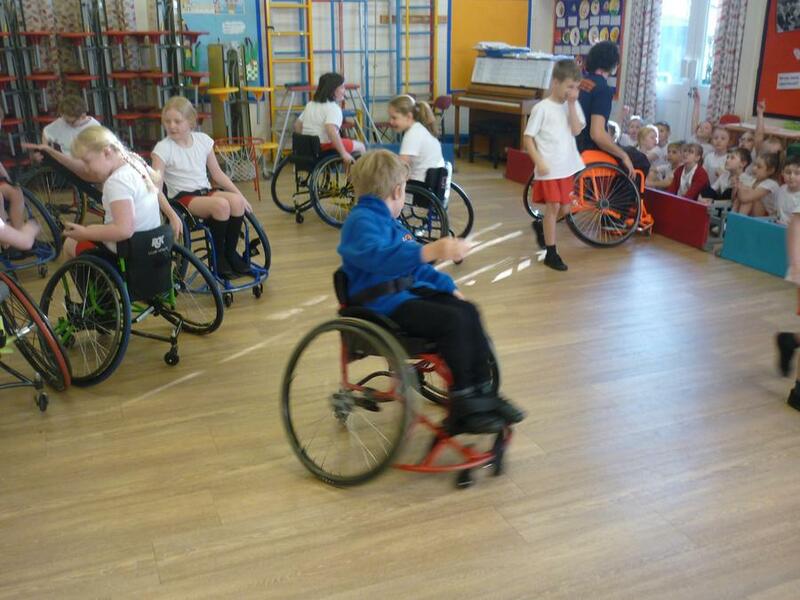 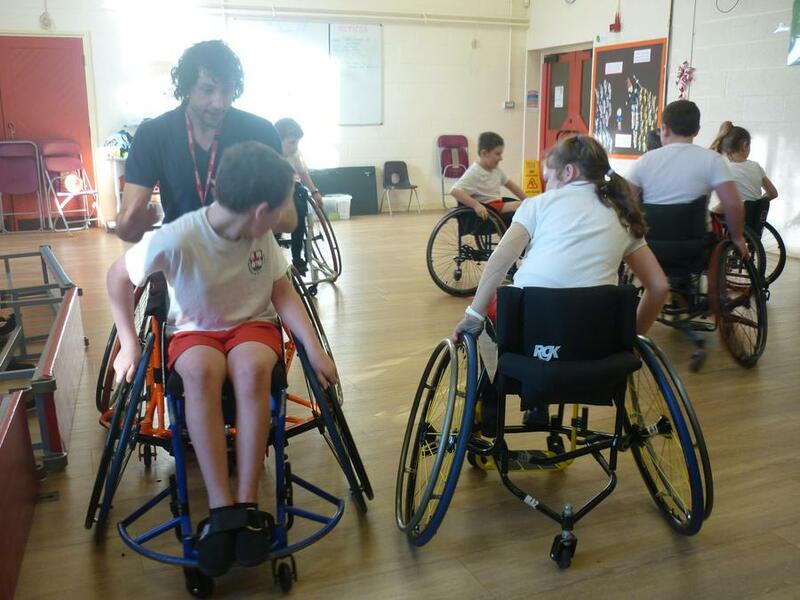 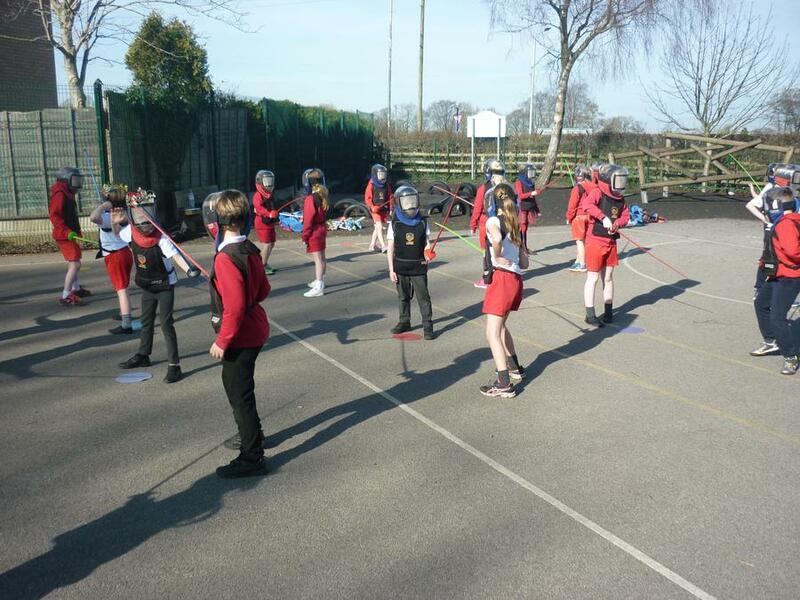 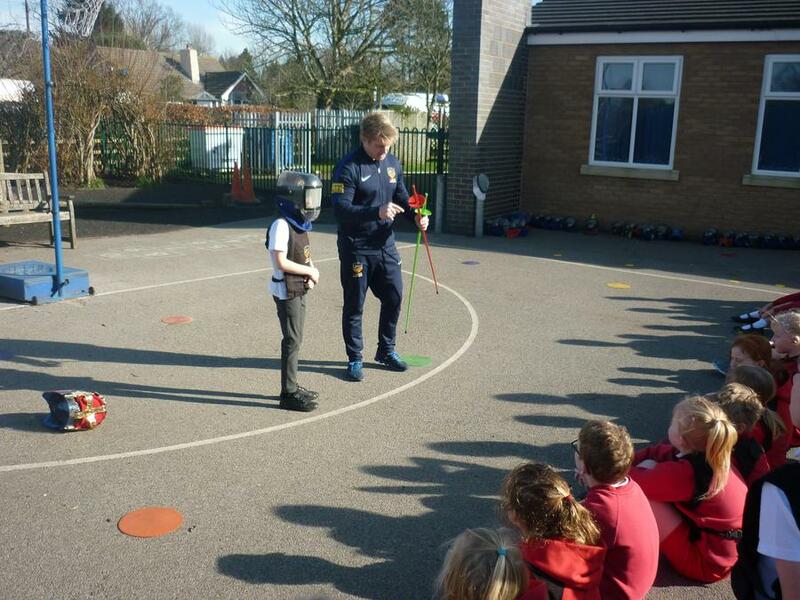 The children also learnt about Forces and Magnets in science. 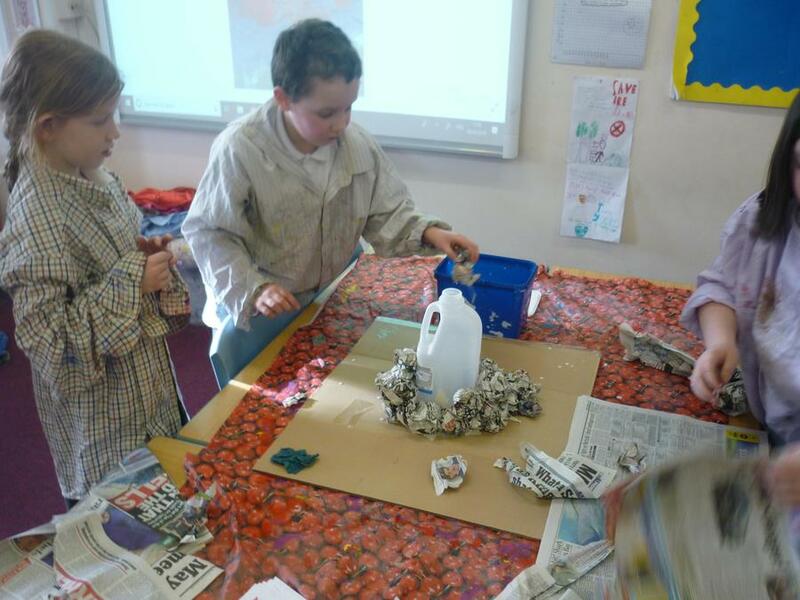 They made a ramp to slide a car down and were given the challenge to try and slow the car down without touching it, thinking about friction and gravity. 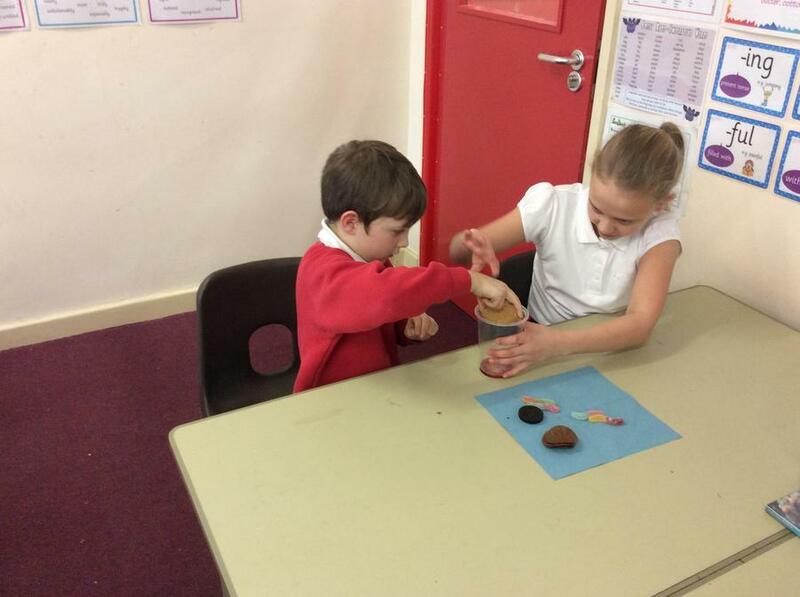 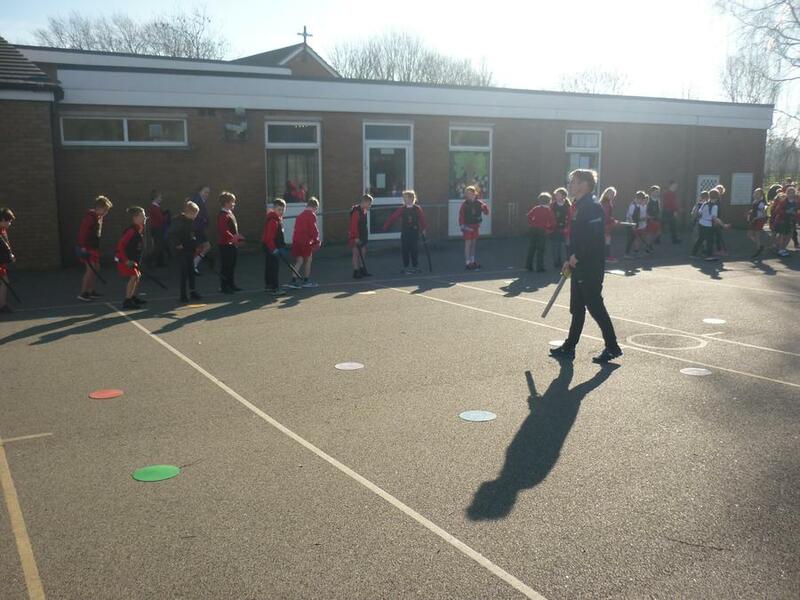 The children also learnt about how magnets work and the magnetic poles. 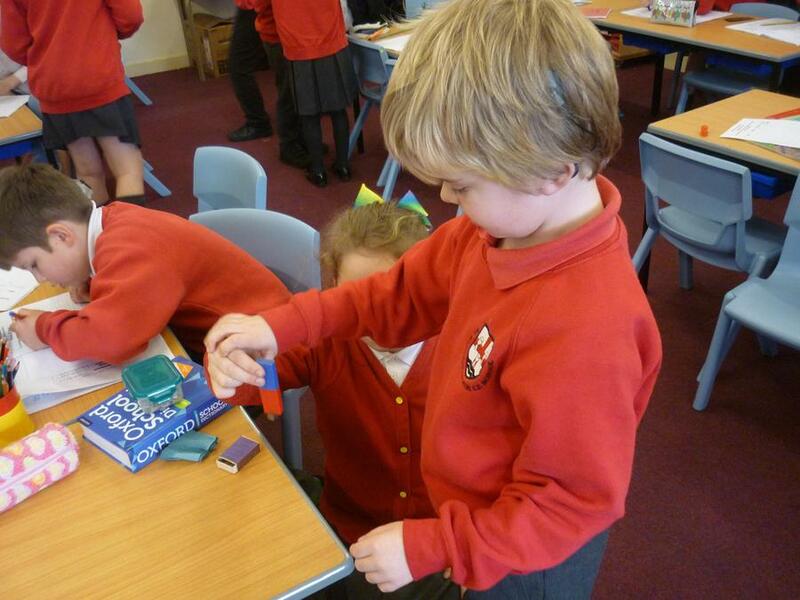 They were asked to use magnets to test objects around the classroom to see if they are magnetic or non-magnetic. 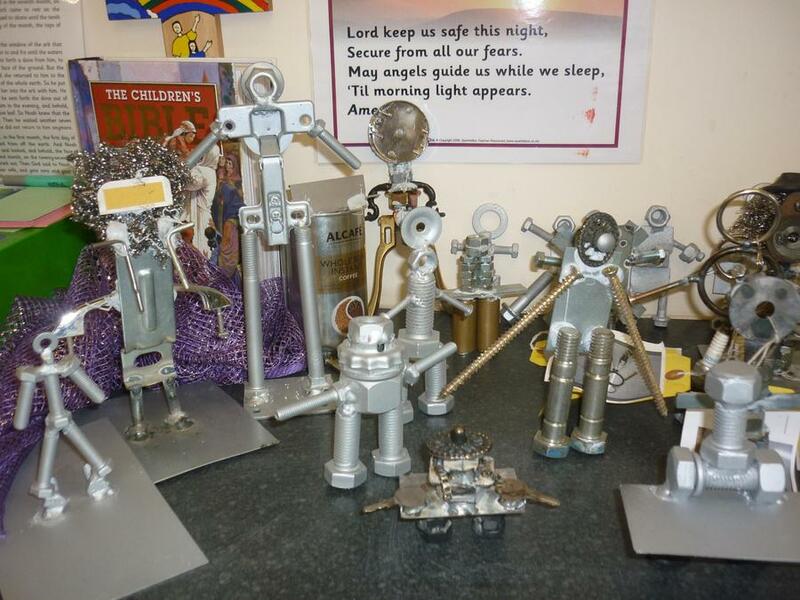 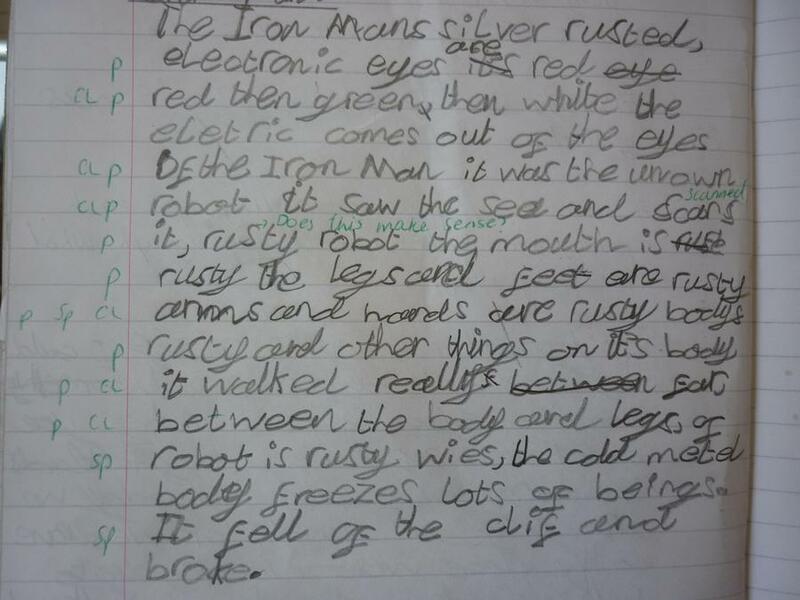 In art and design the children collected a variety of scrap metal in order to make their very own Iron Man sculpture. 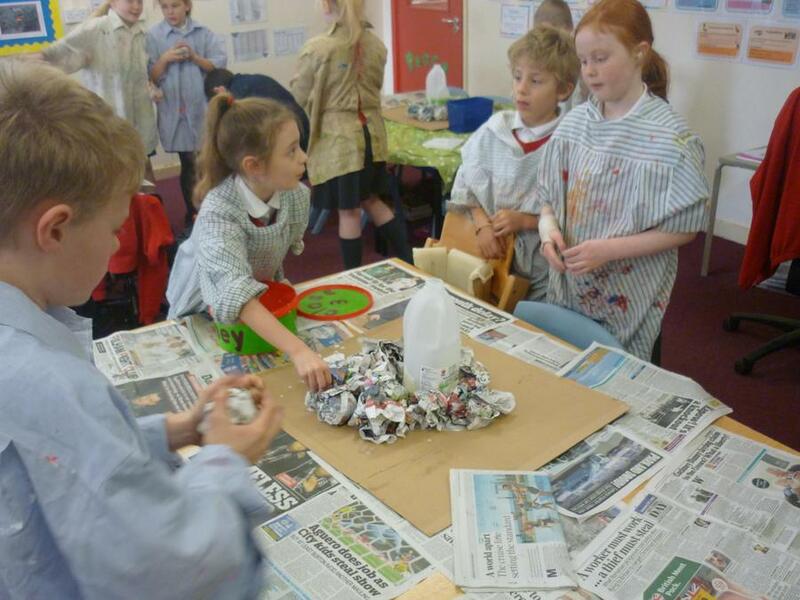 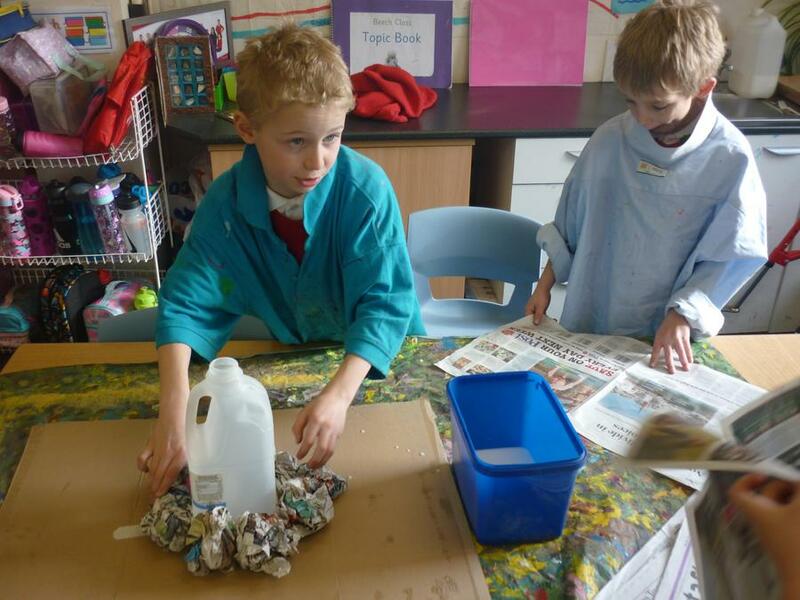 The children designed their sculptures really carefully and made them using carefully selected materials. 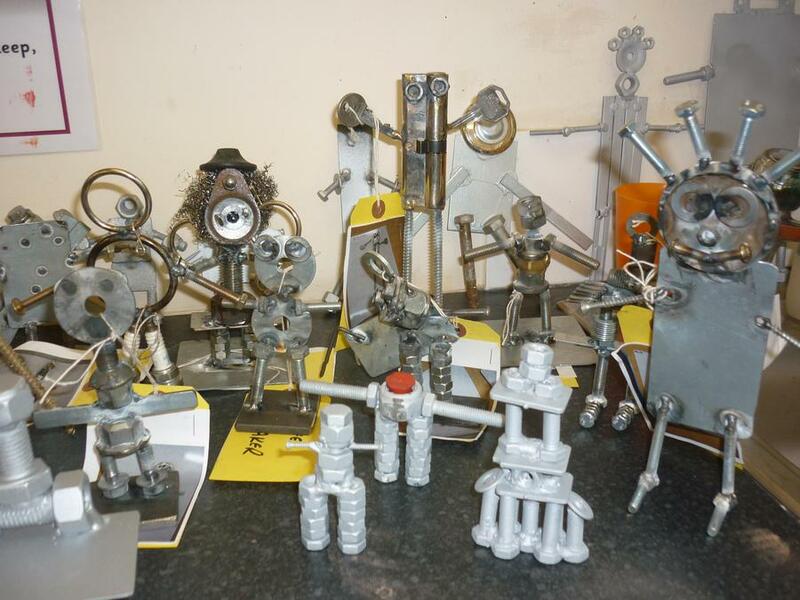 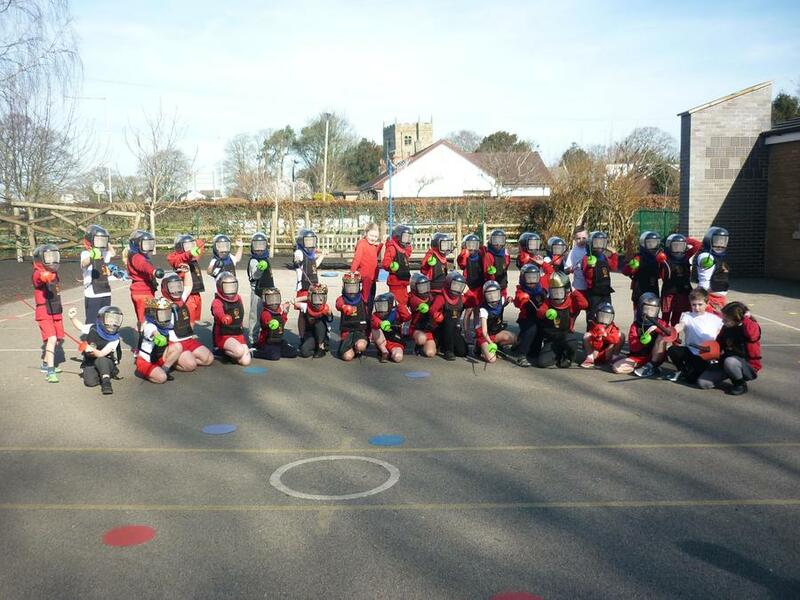 Thank you again to those parents that helped to weld them together.